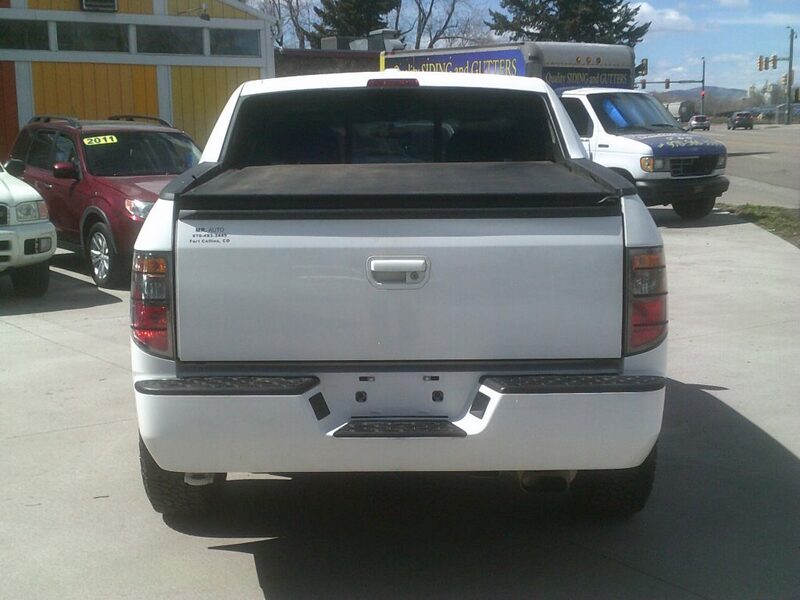 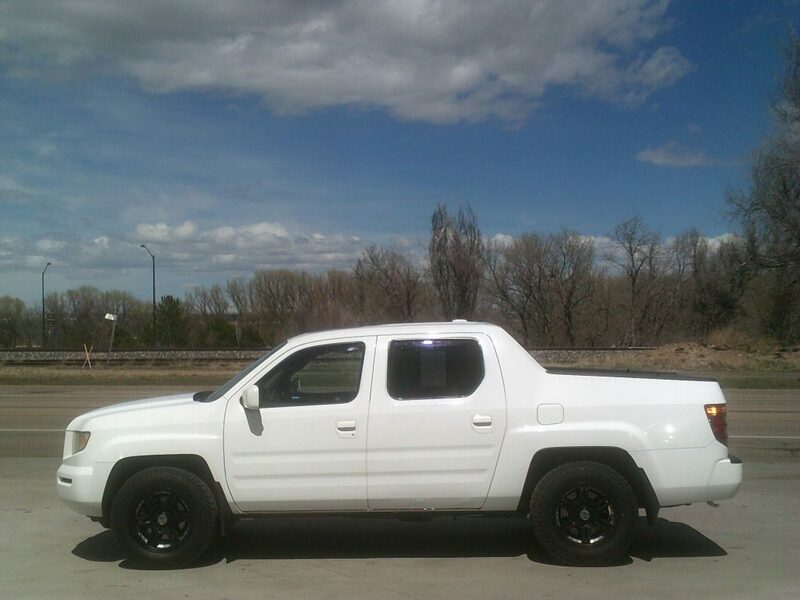 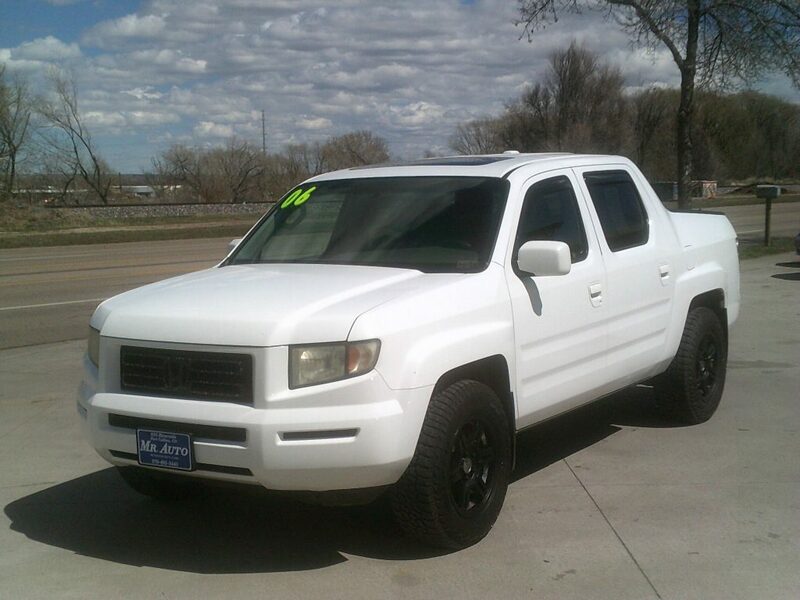 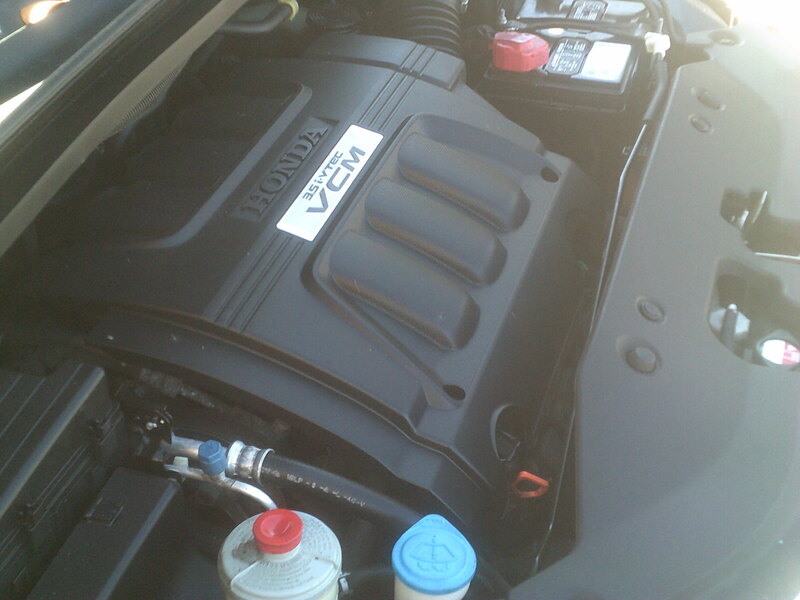 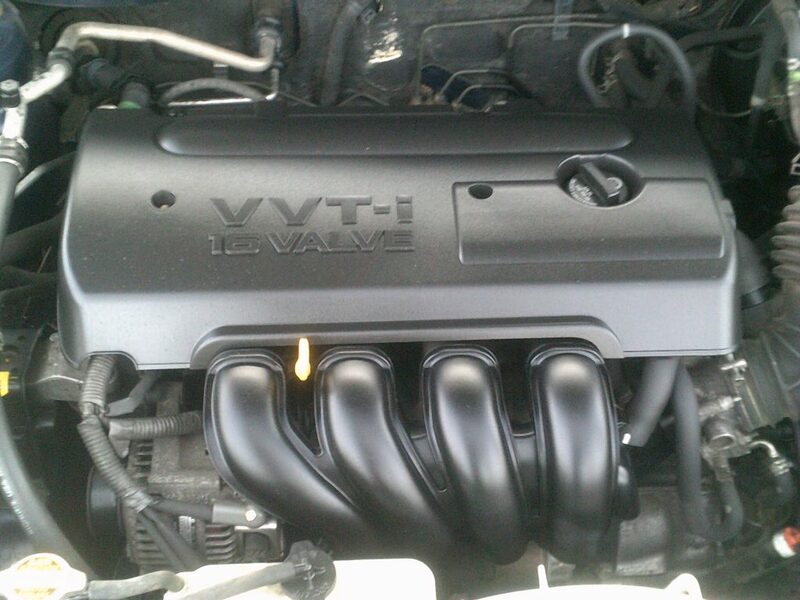 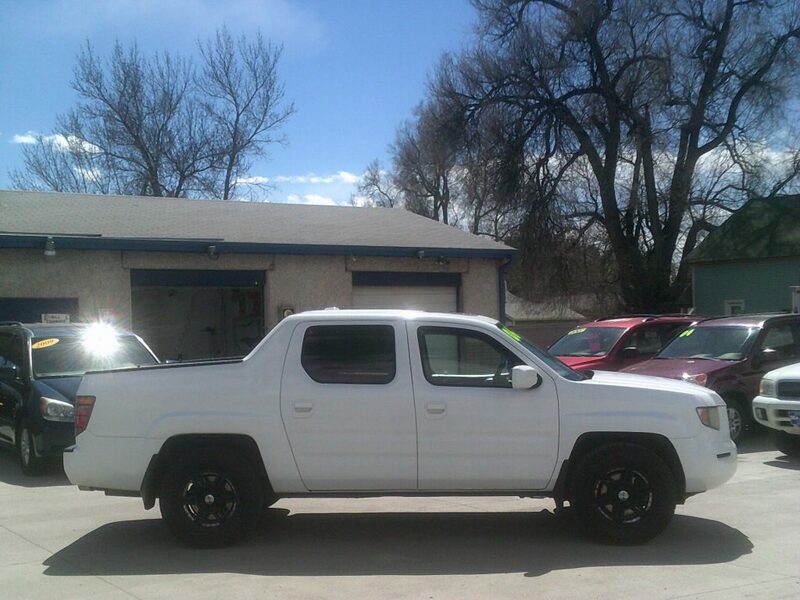 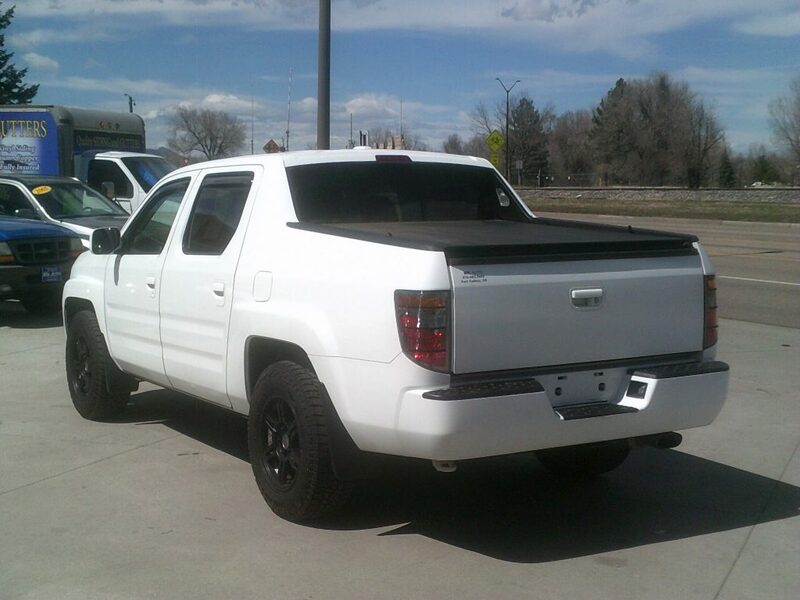 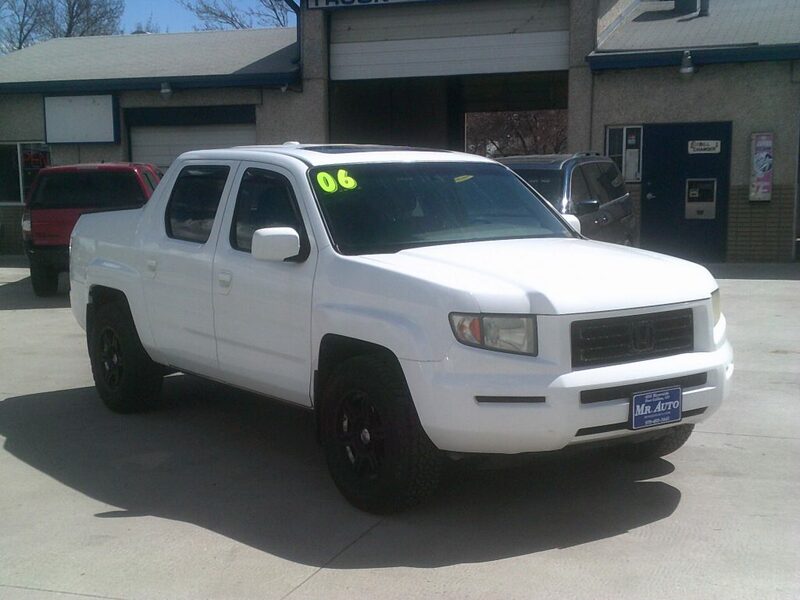 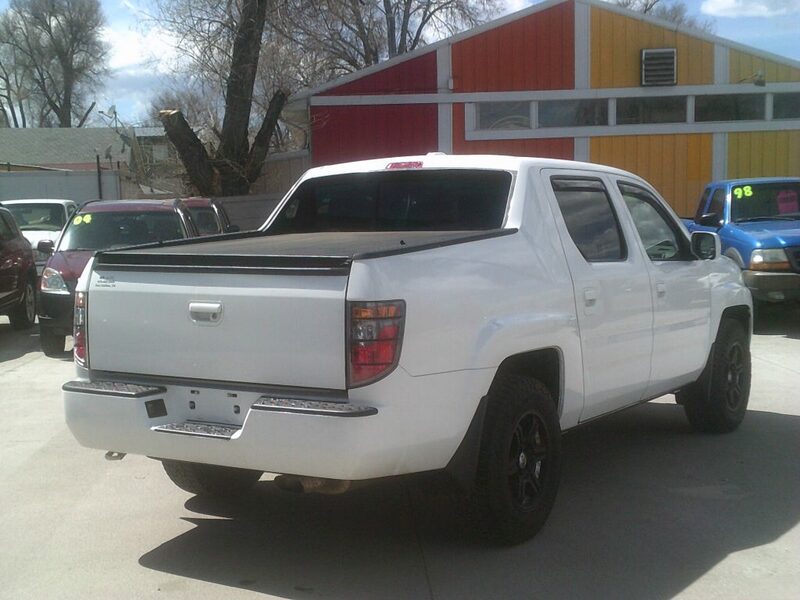 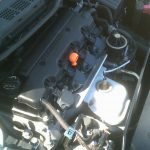 This 4WD Ridgline has a brand new catalytic converter. 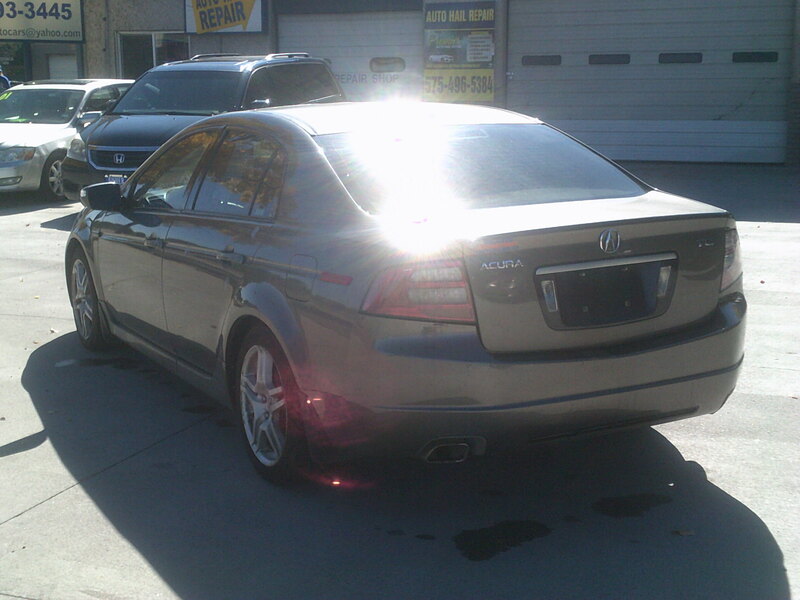 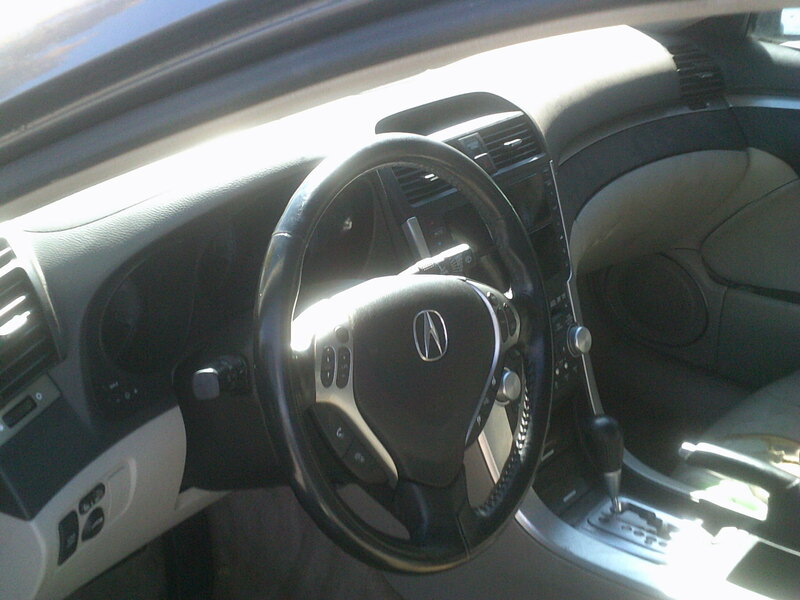 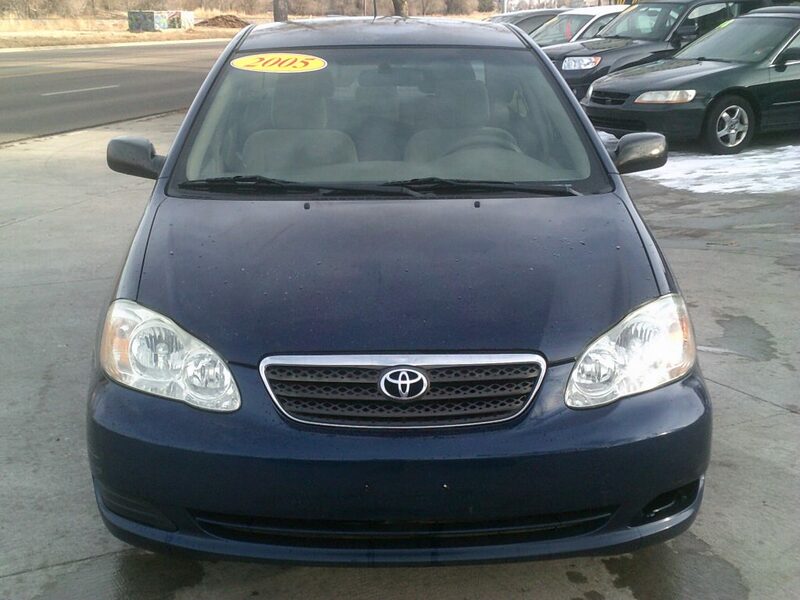 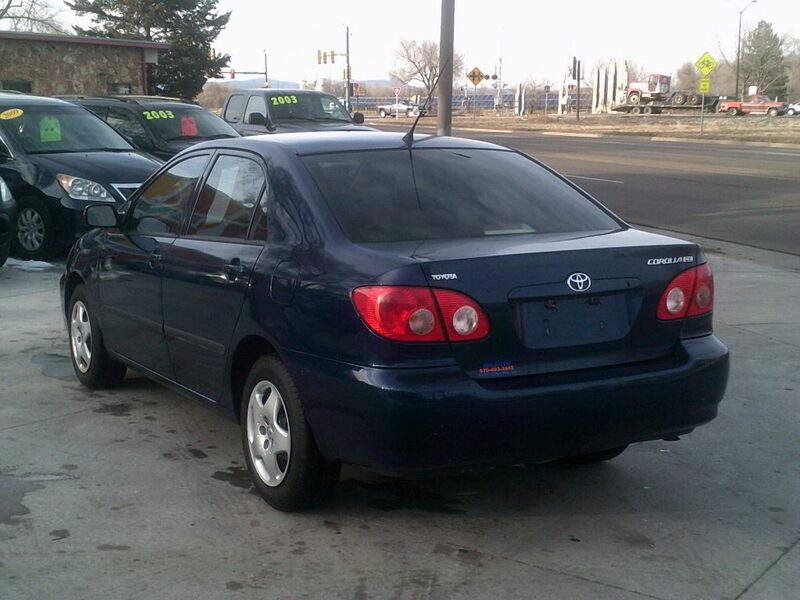 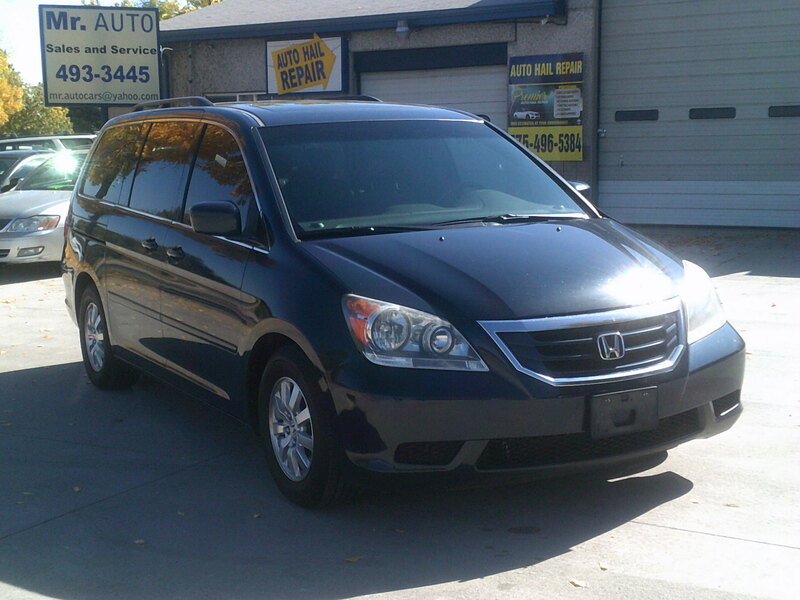 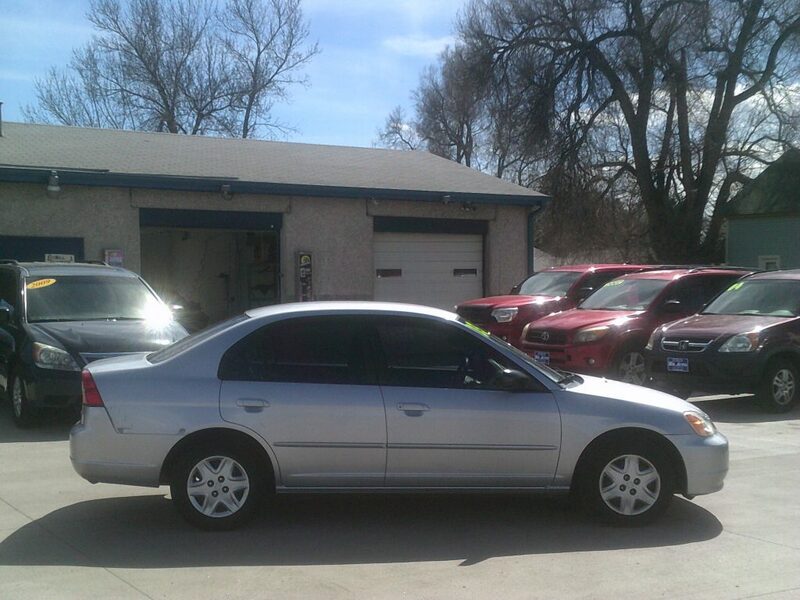 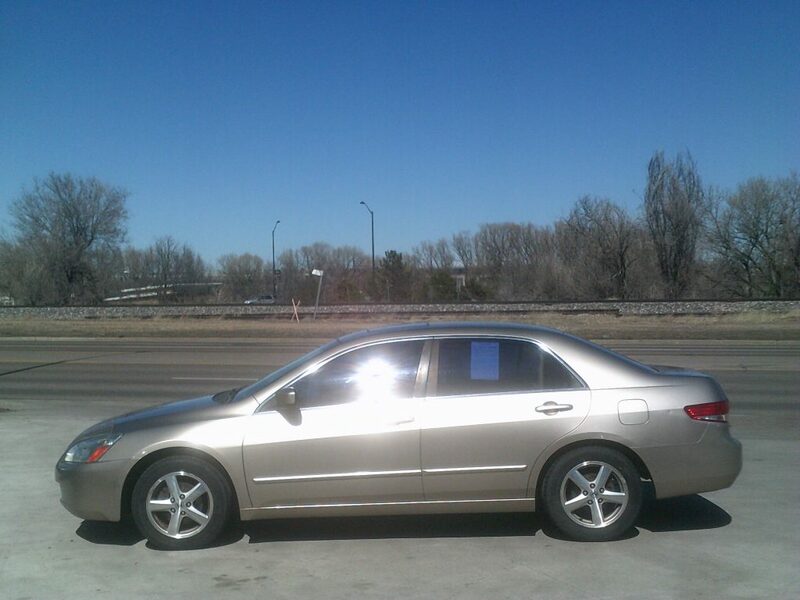 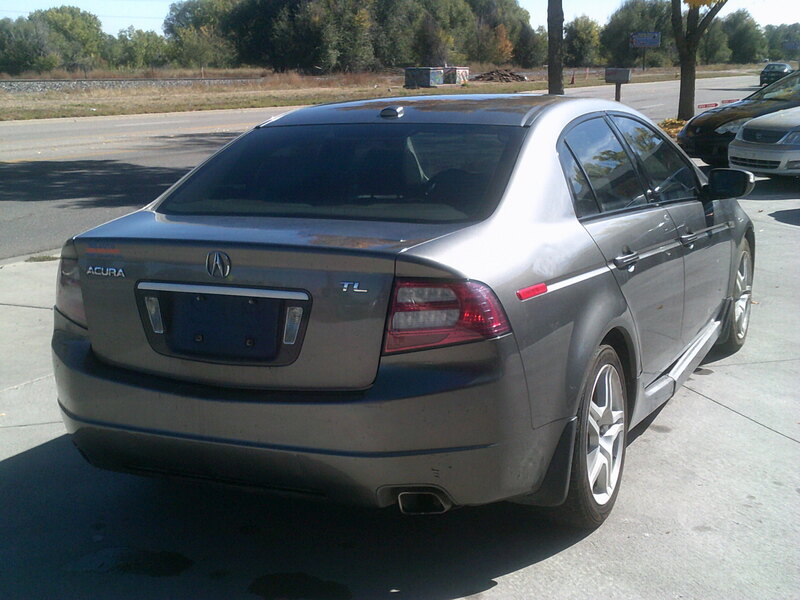 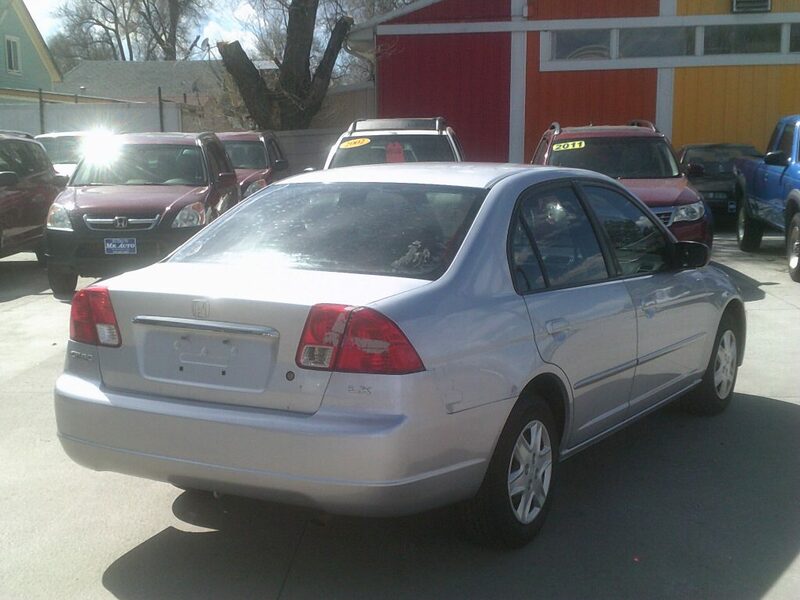 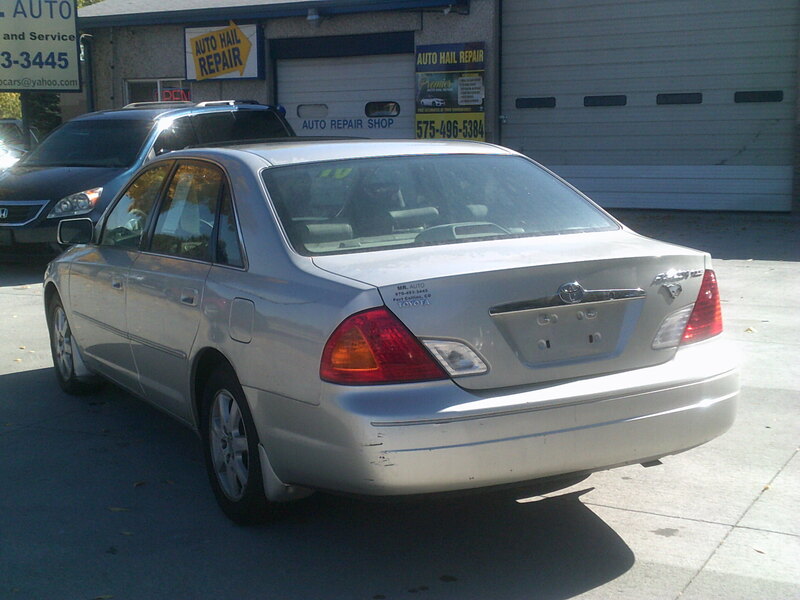 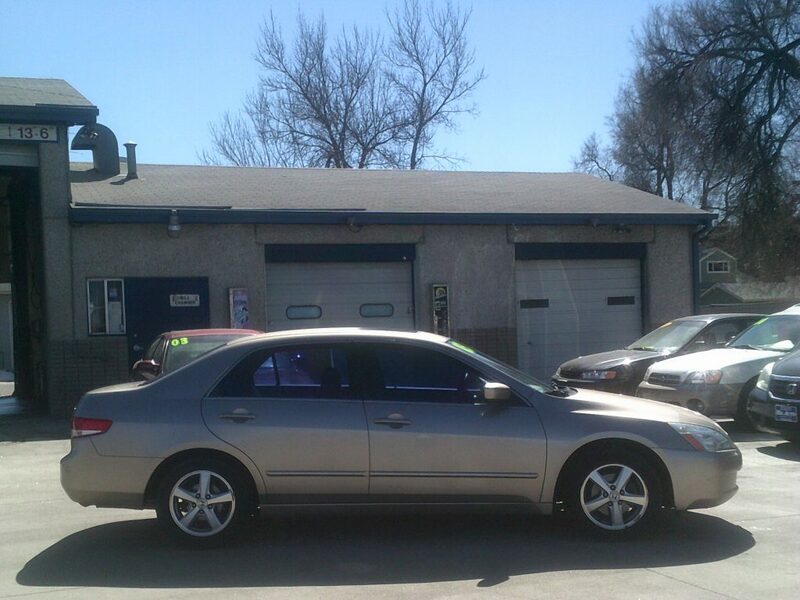 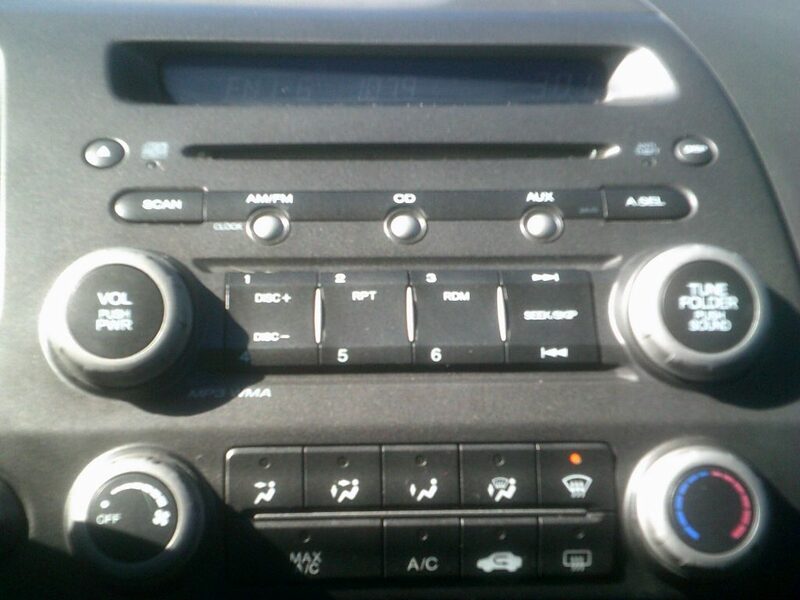 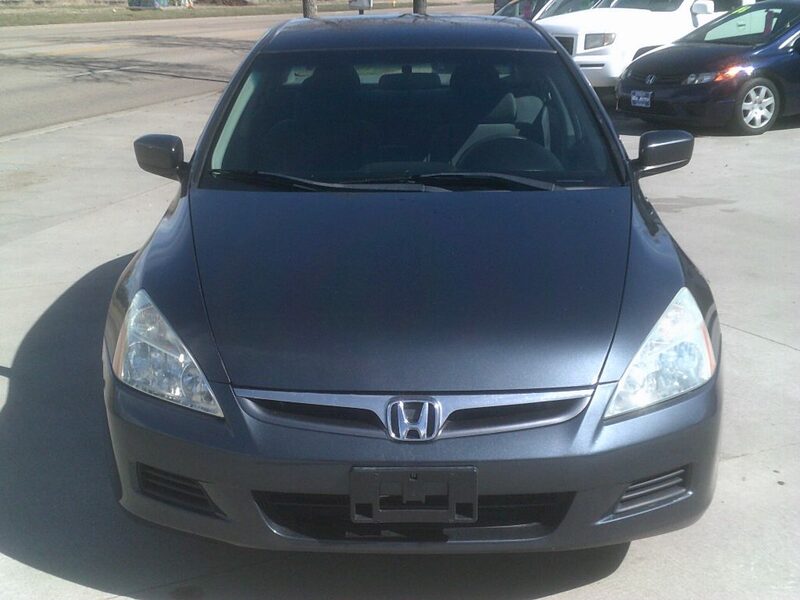 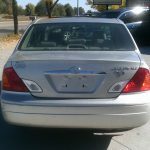 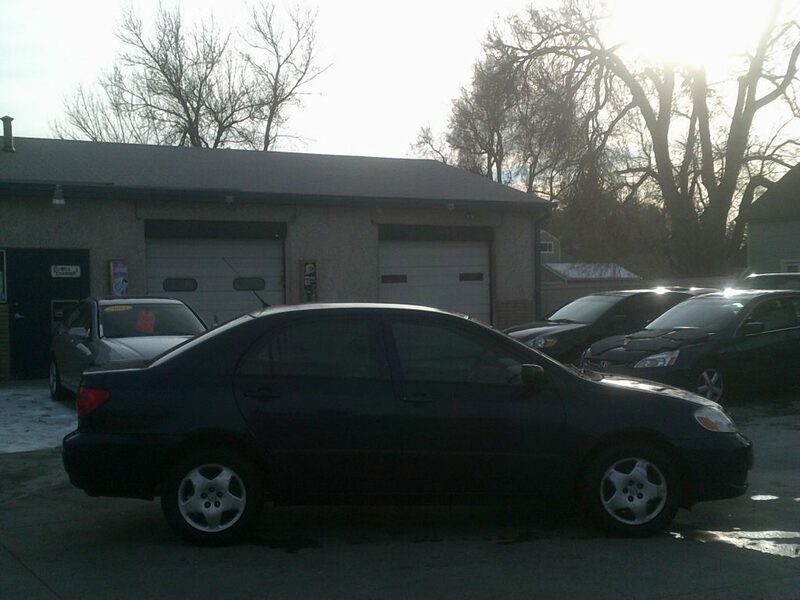 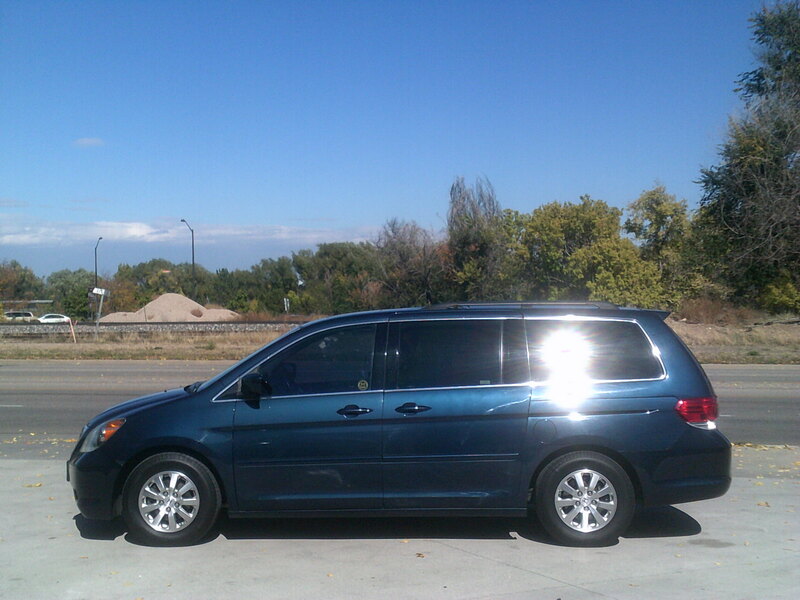 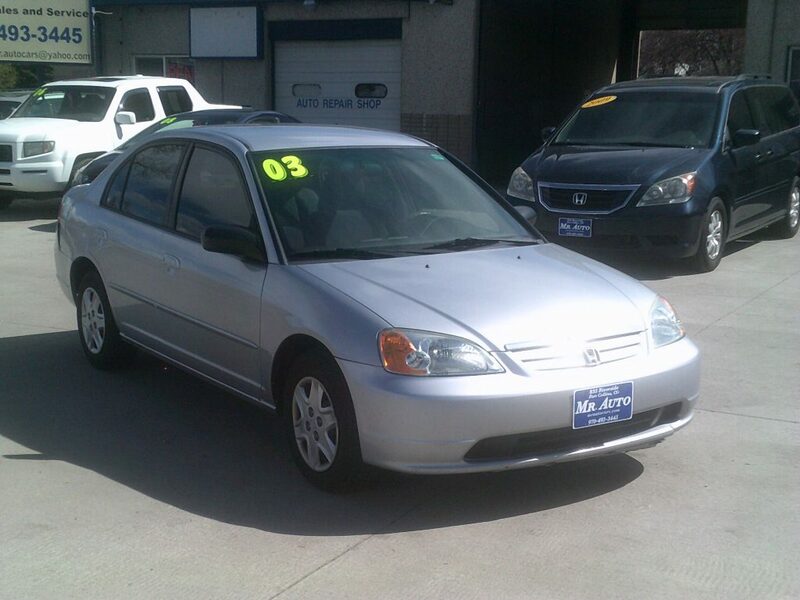 169K, Automatic, AC, Heated Leather Seats, Sunroof, CD Player, Auxiliary Input. 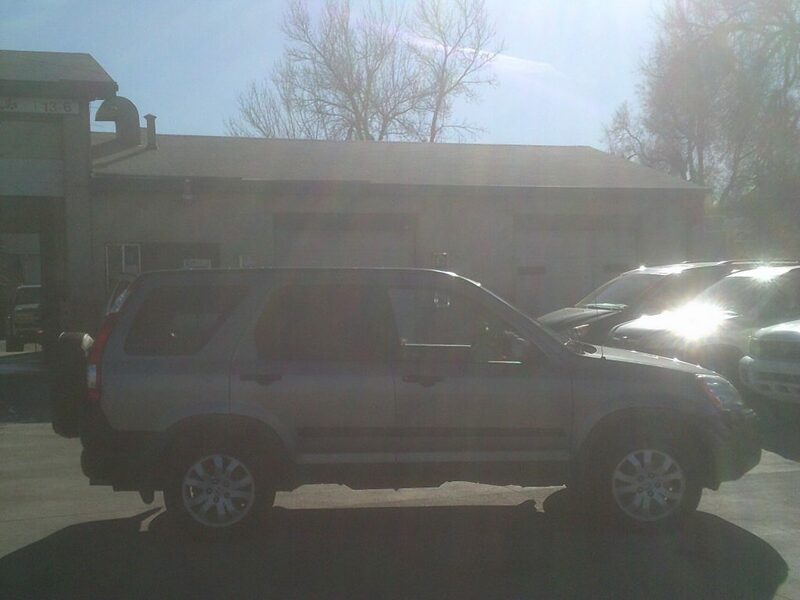 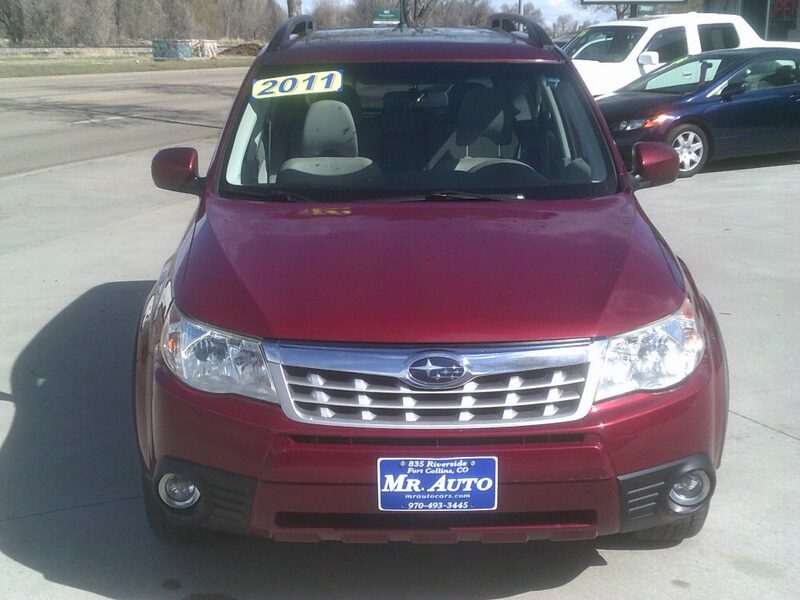 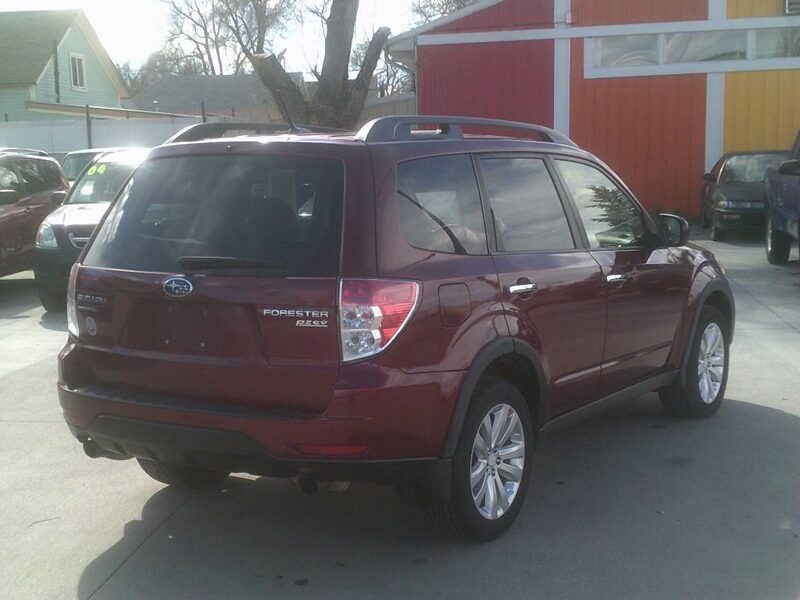 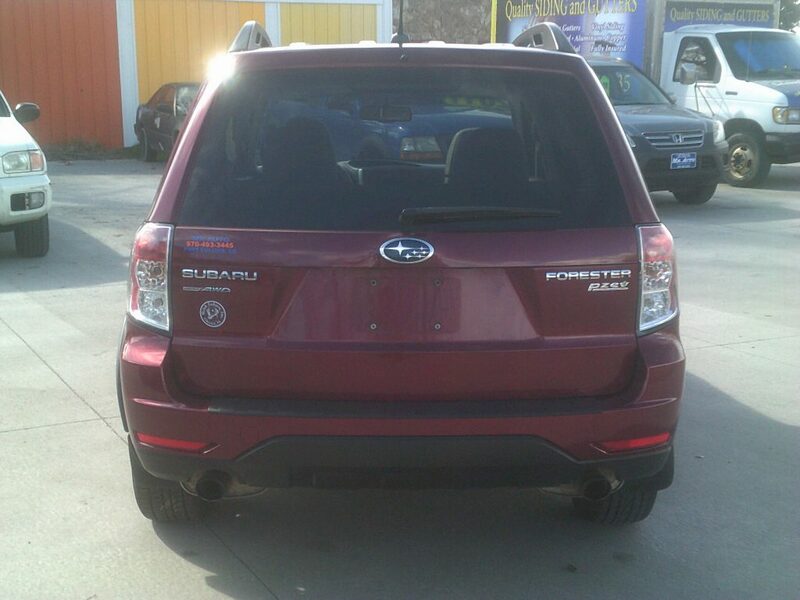 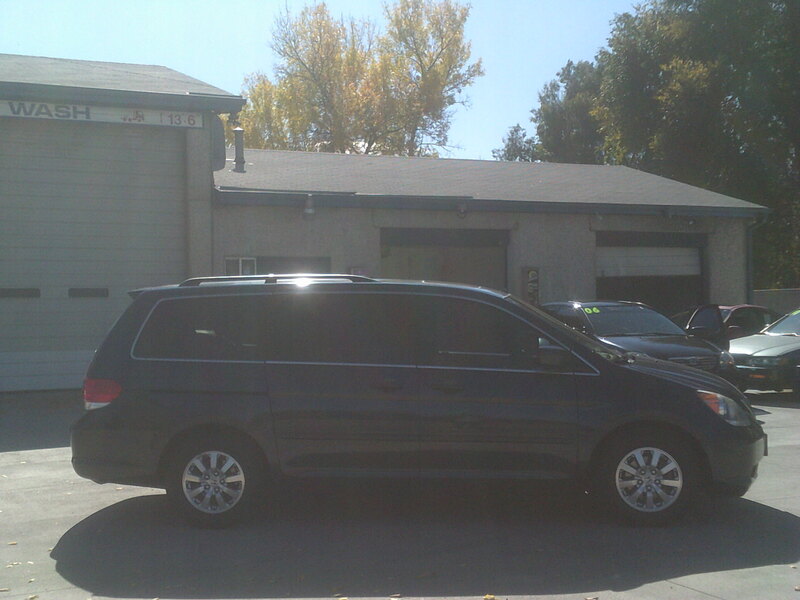 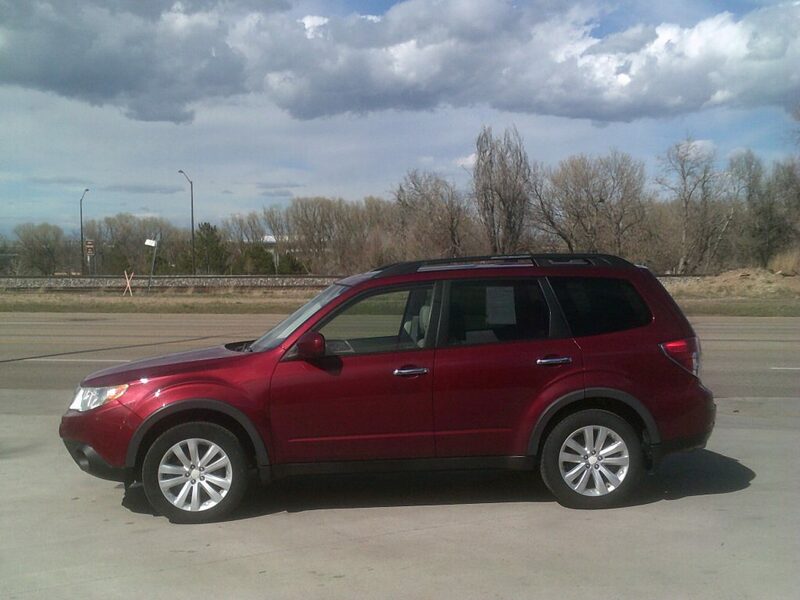 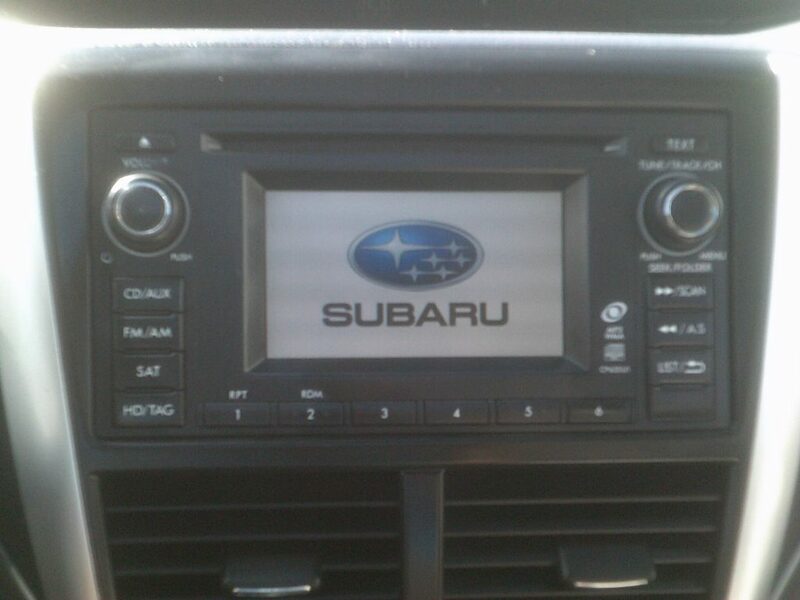 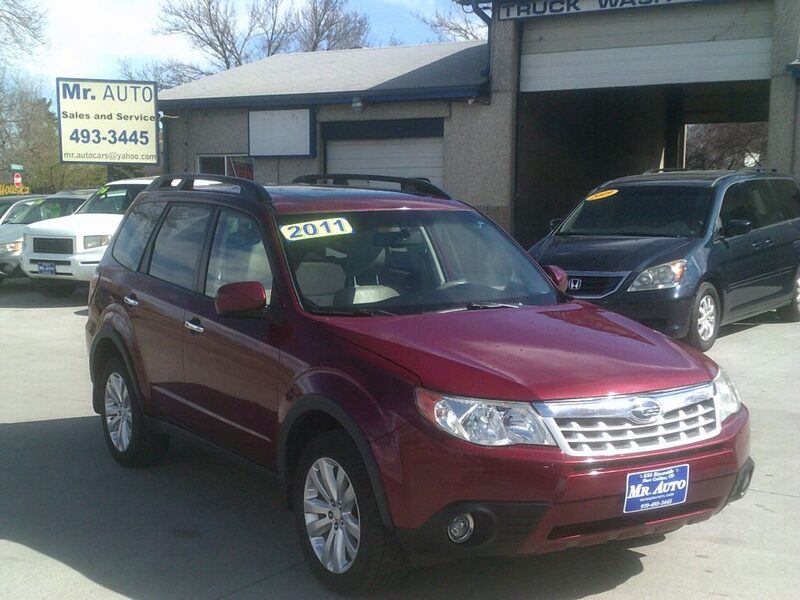 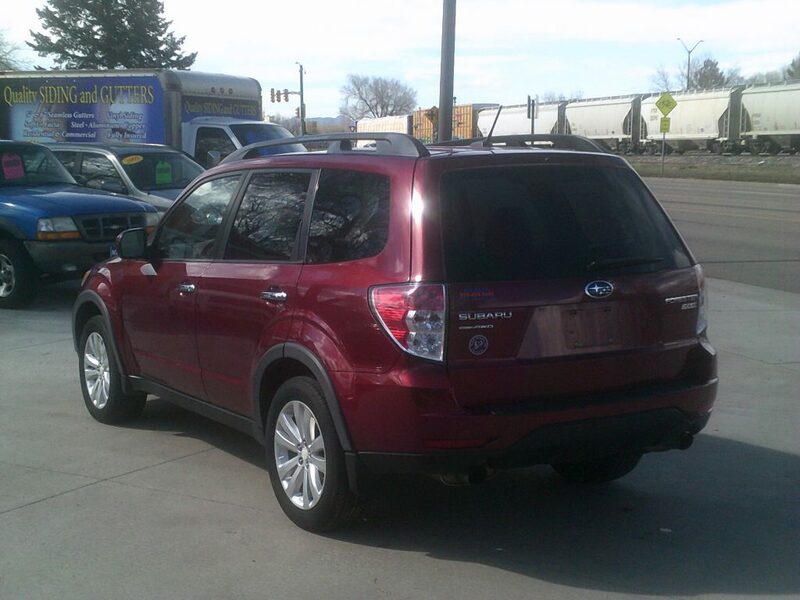 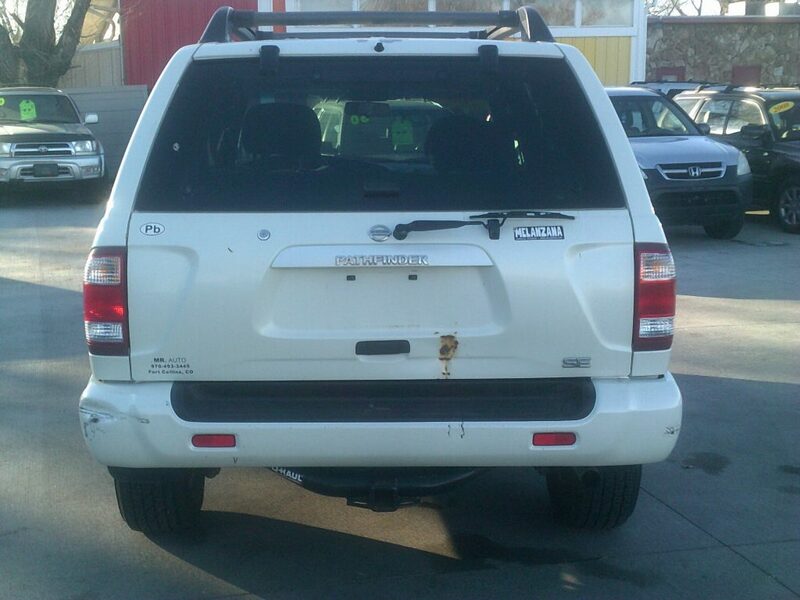 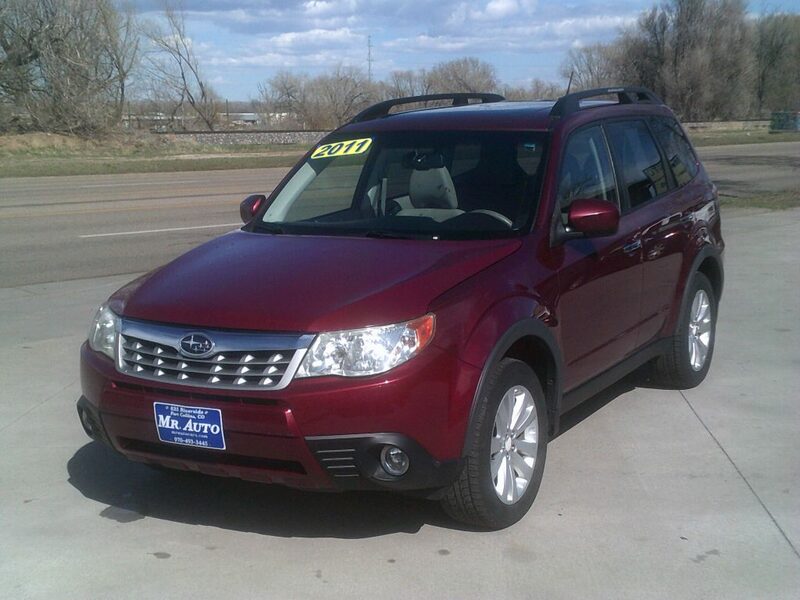 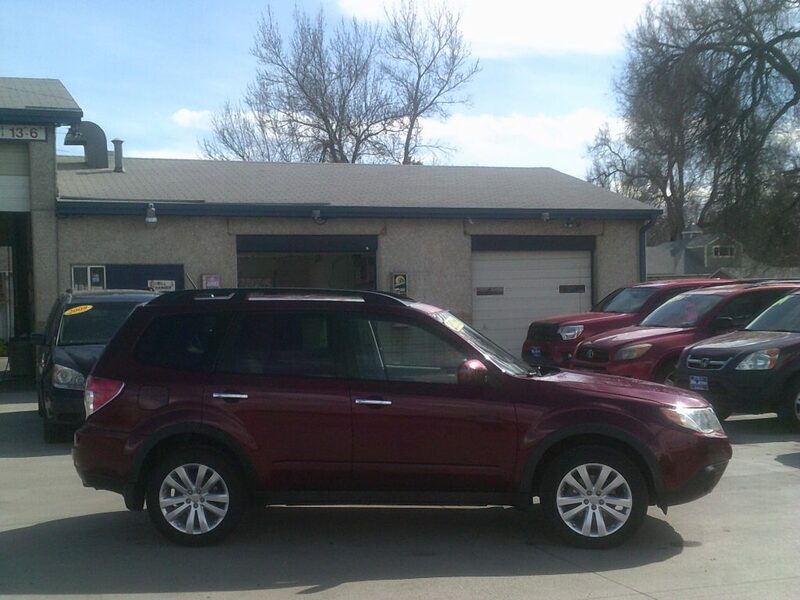 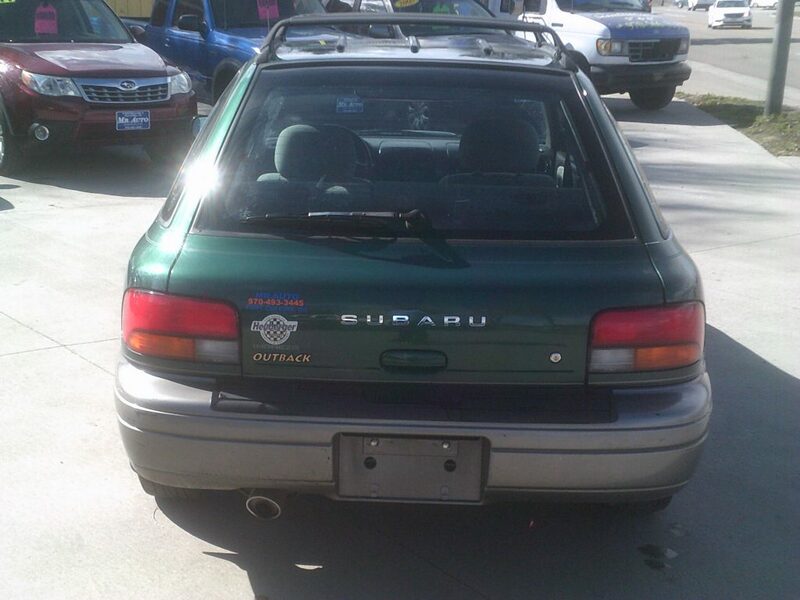 This 1 owner all wheel drive Forester is priced $1300 below the NADA blue book value. 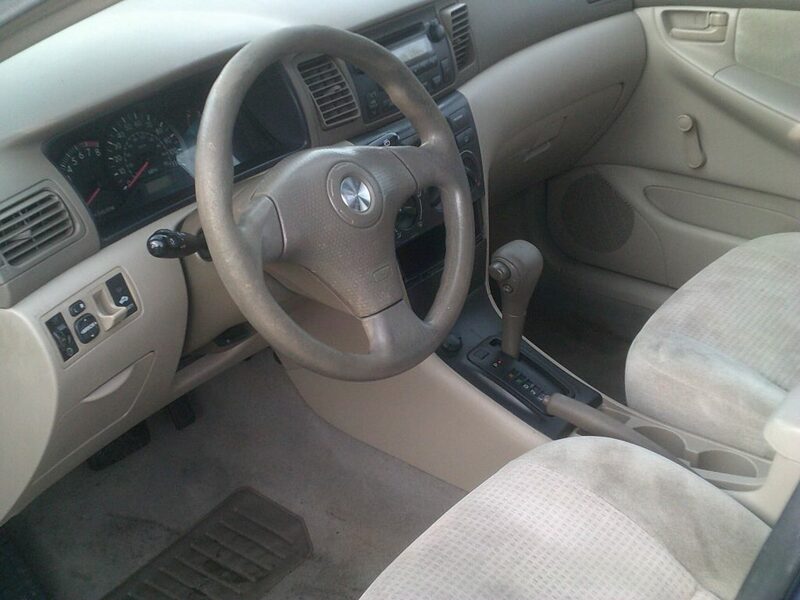 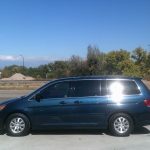 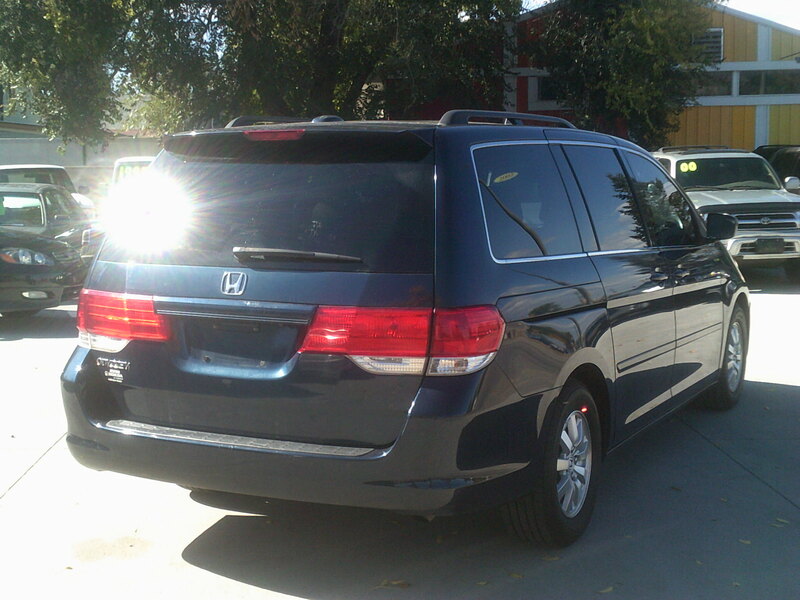 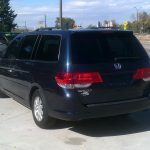 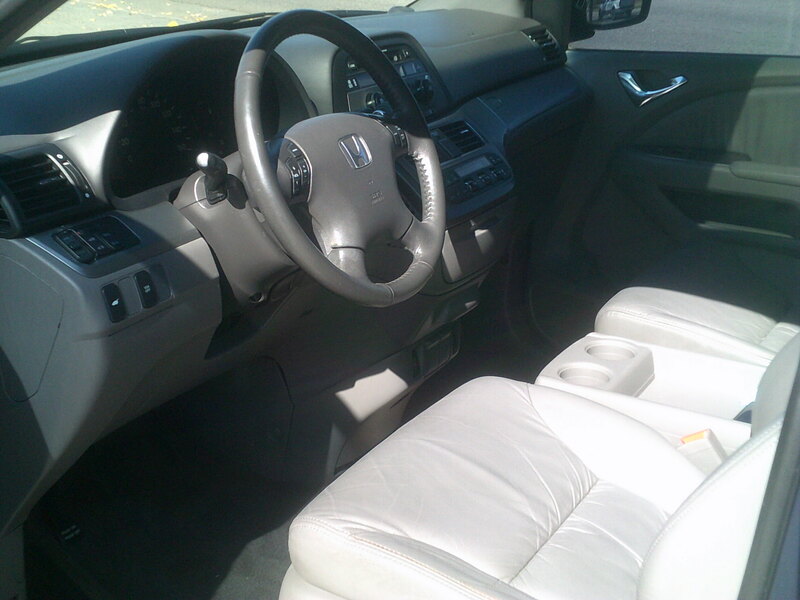 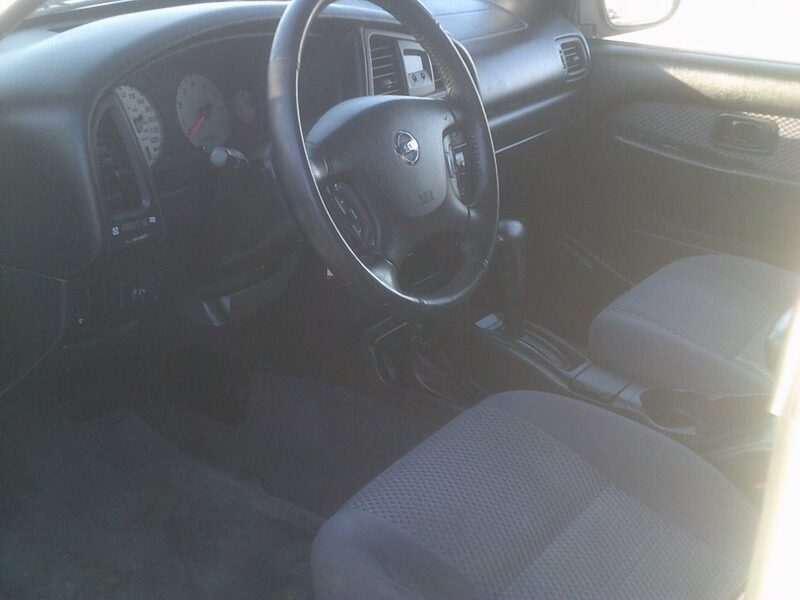 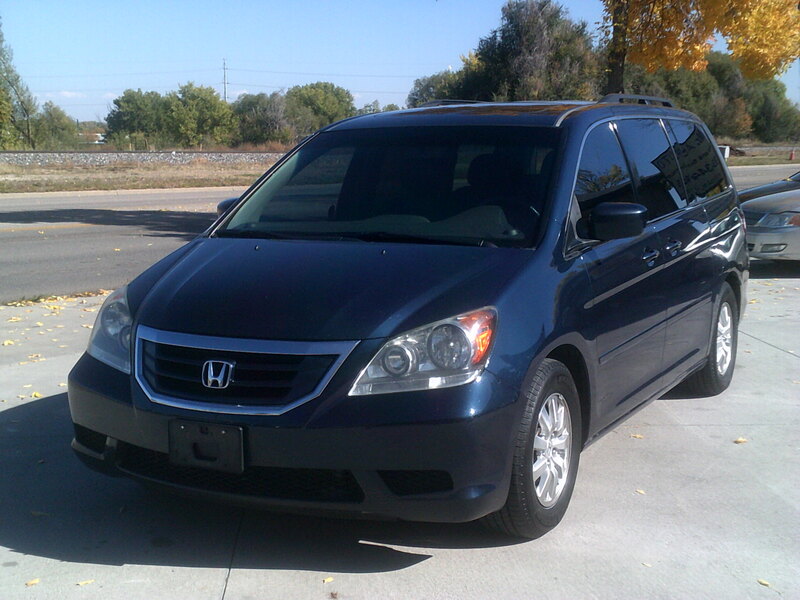 127K, Automatic, Heated Leather Seats, Sunroof, AC, CD Player, Auxiliary Input. 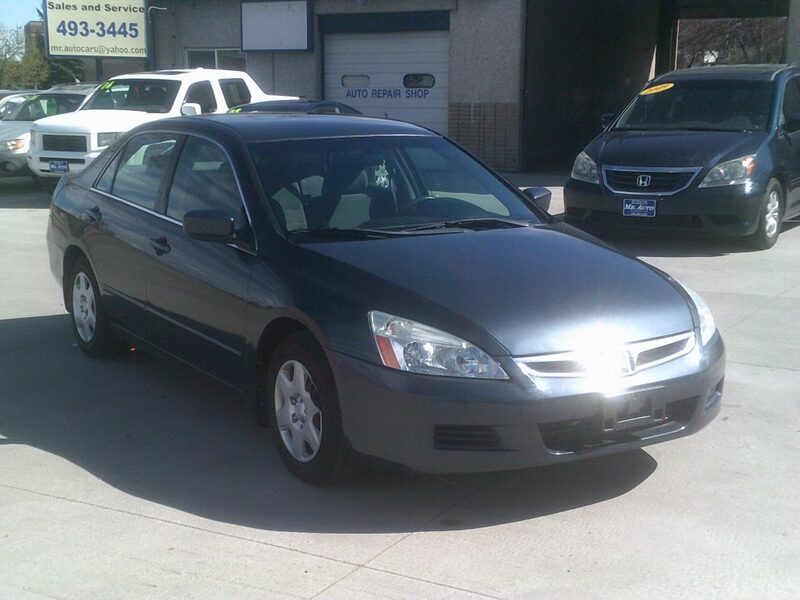 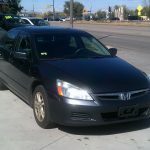 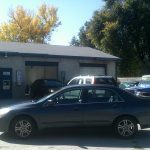 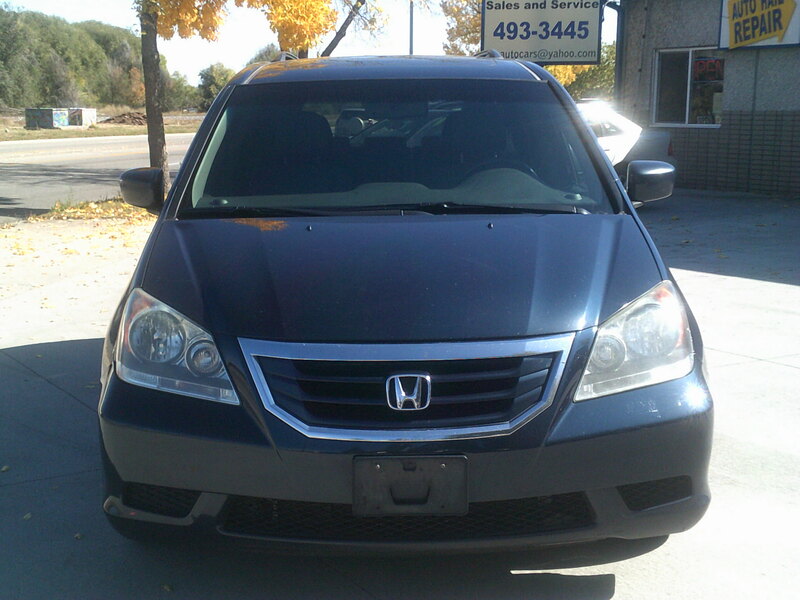 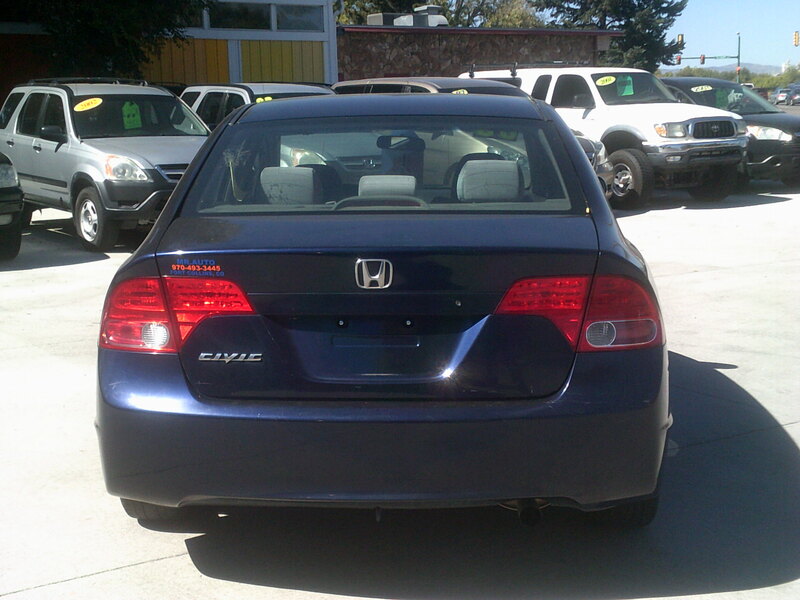 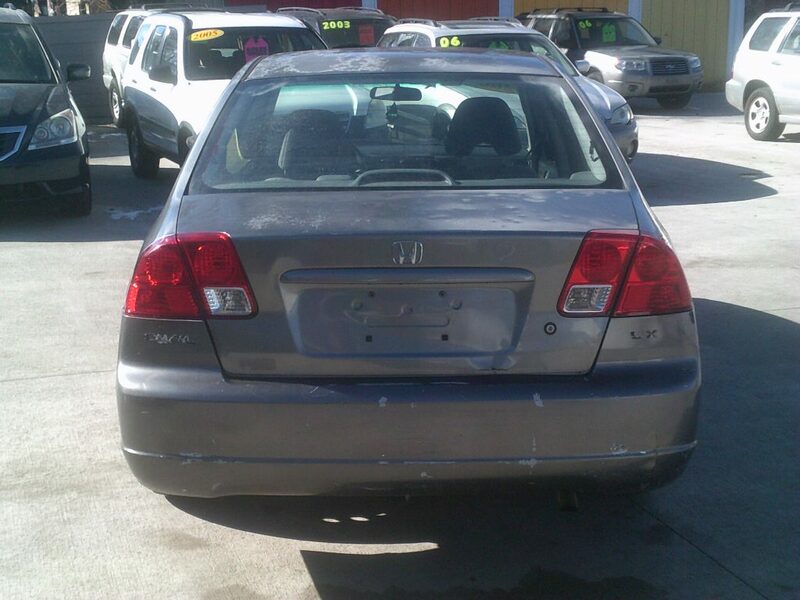 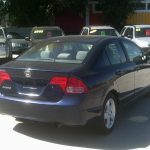 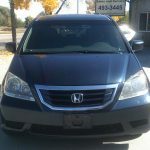 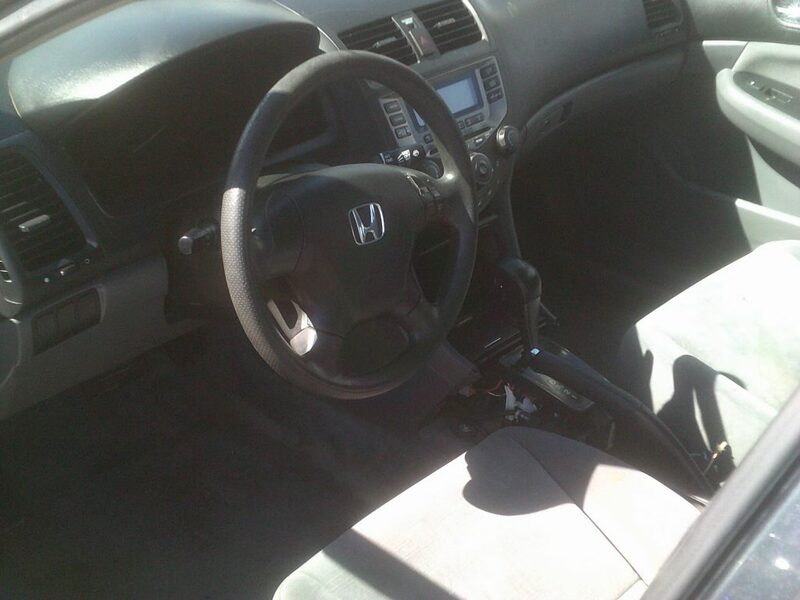 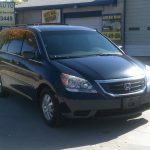 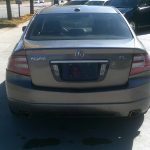 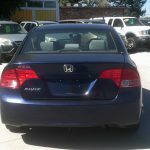 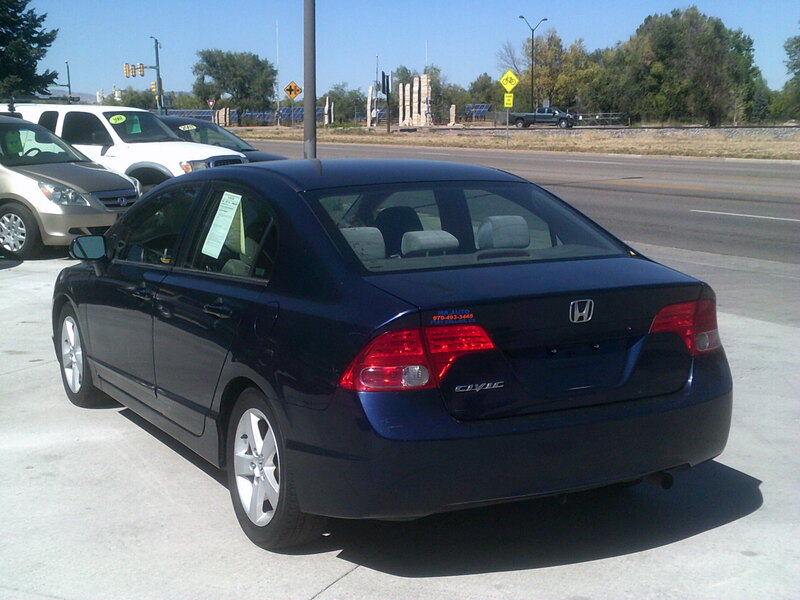 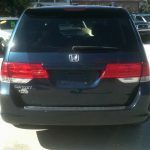 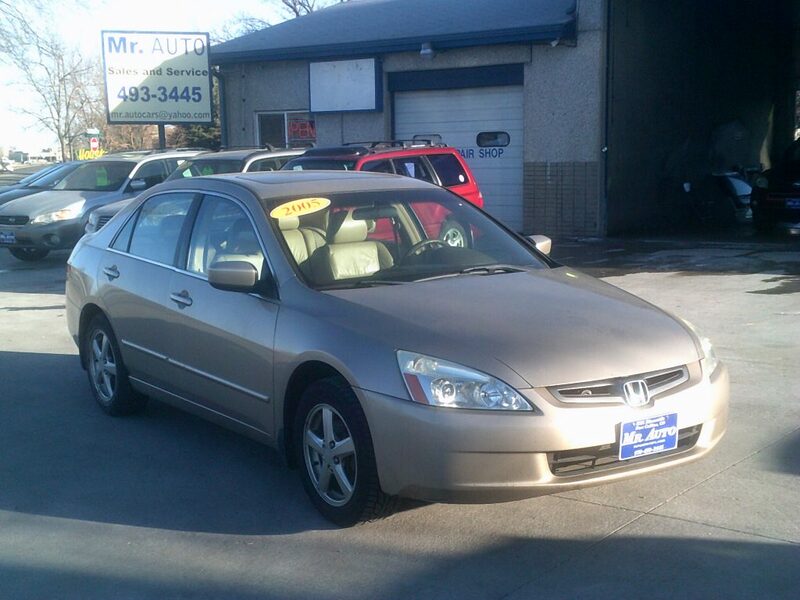 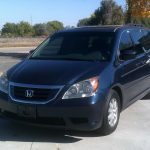 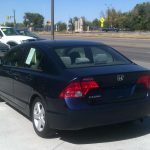 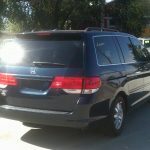 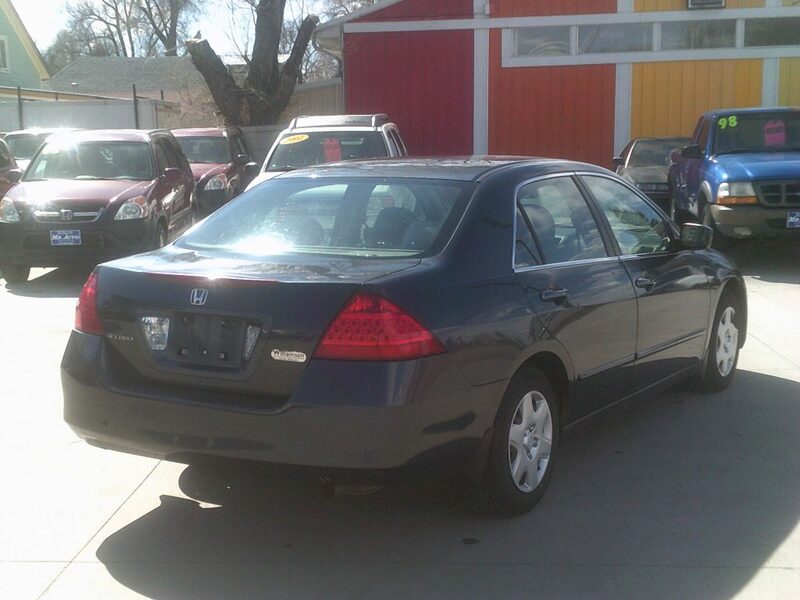 This Accord is priced $500 below the NADA blue book value. 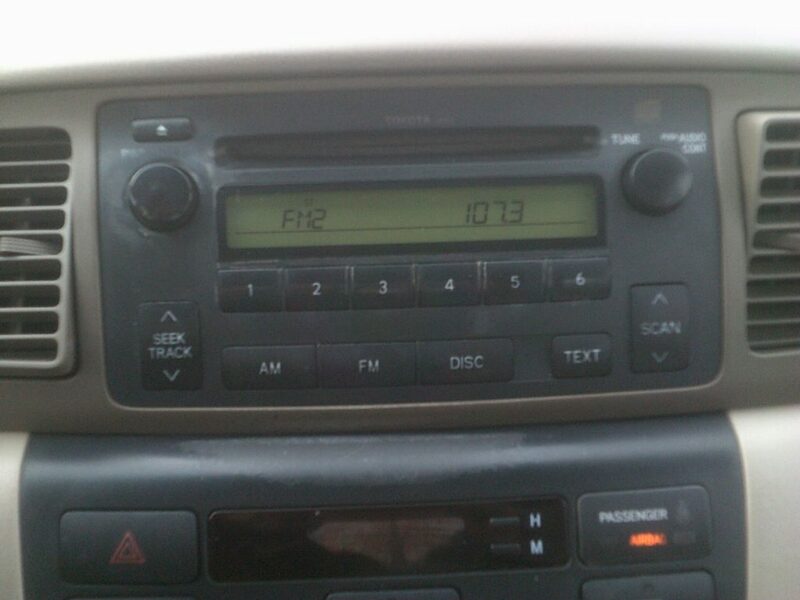 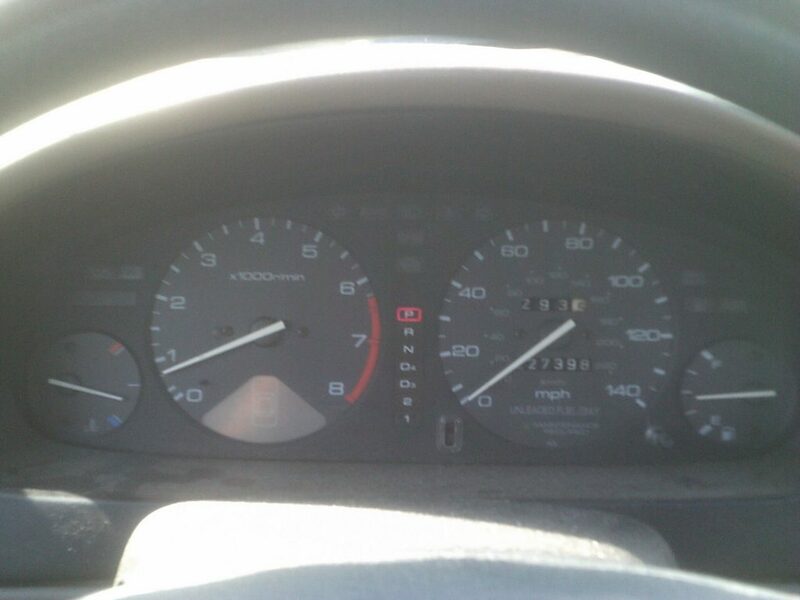 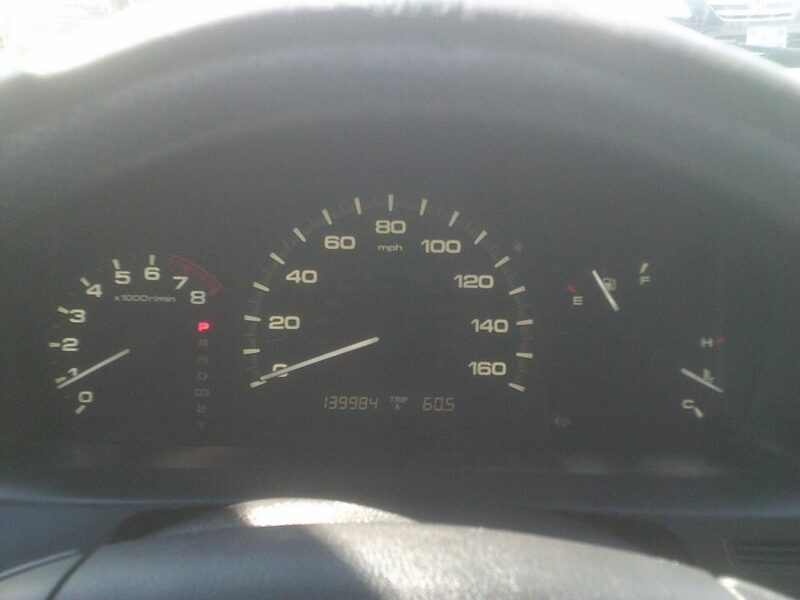 139K, Automatic, AC, CD Player. 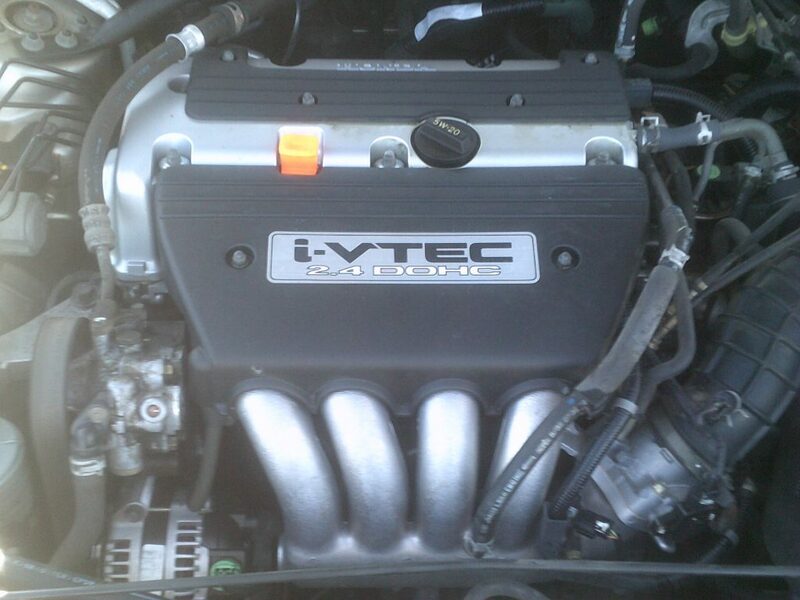 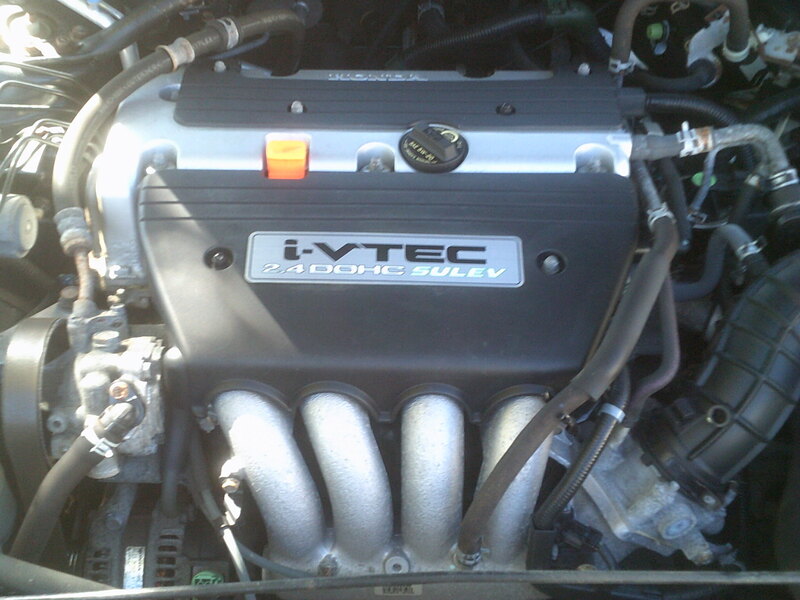 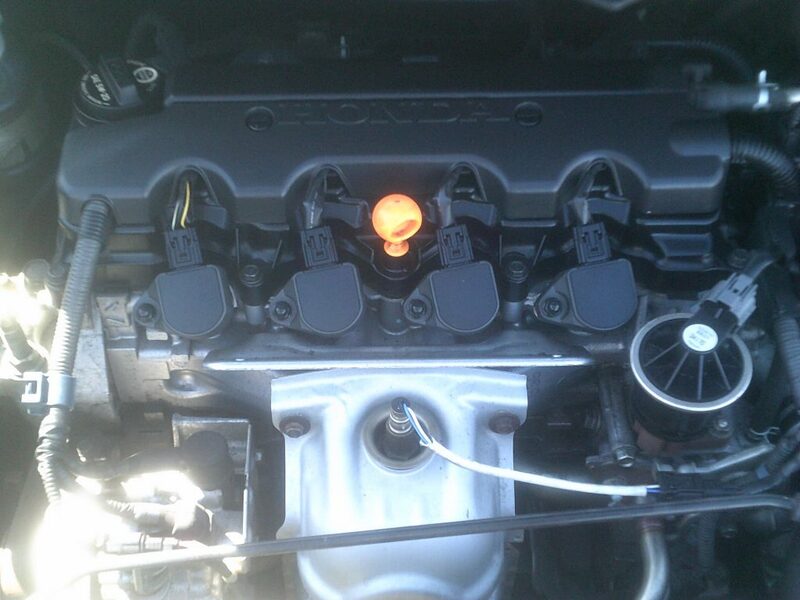 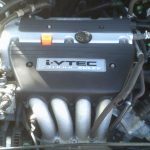 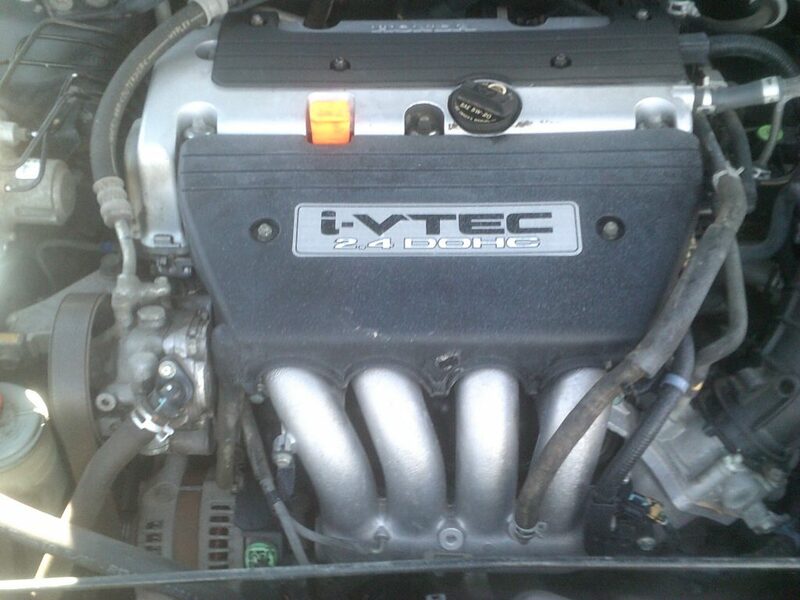 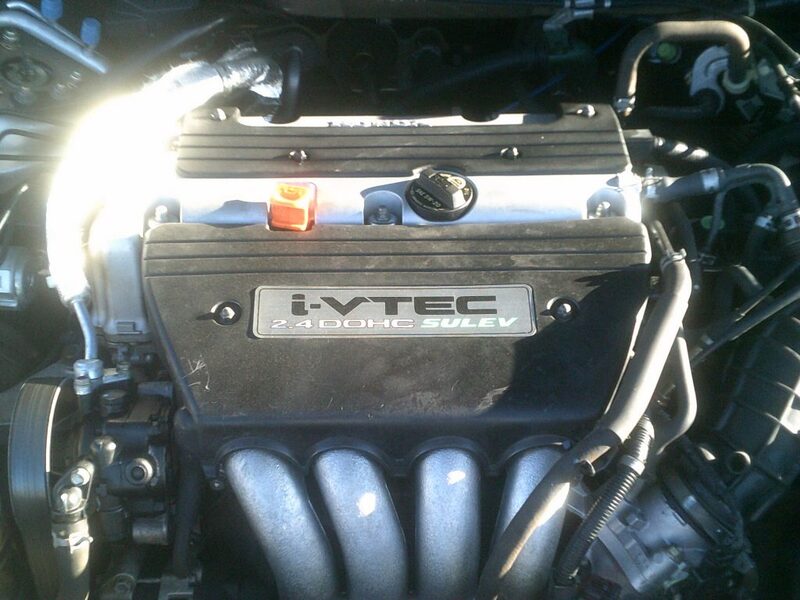 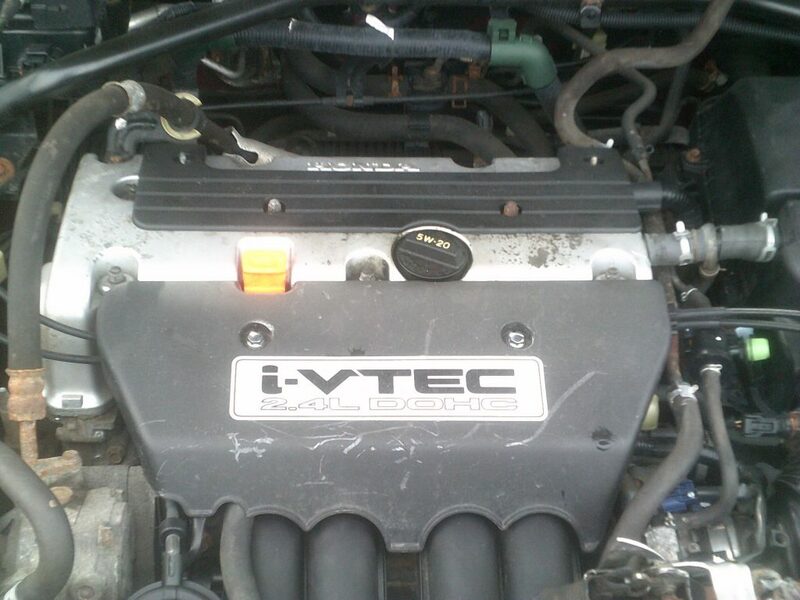 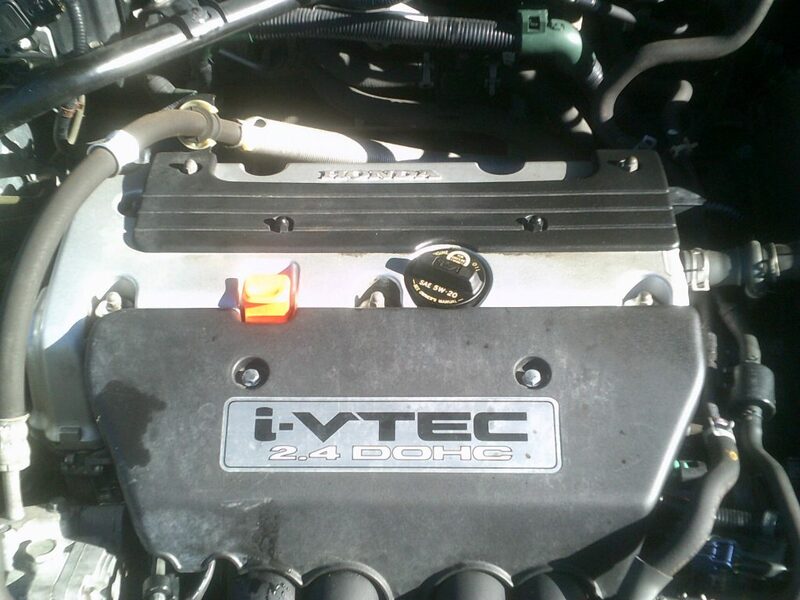 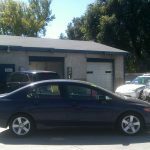 This Civic runs great and drives excellent. 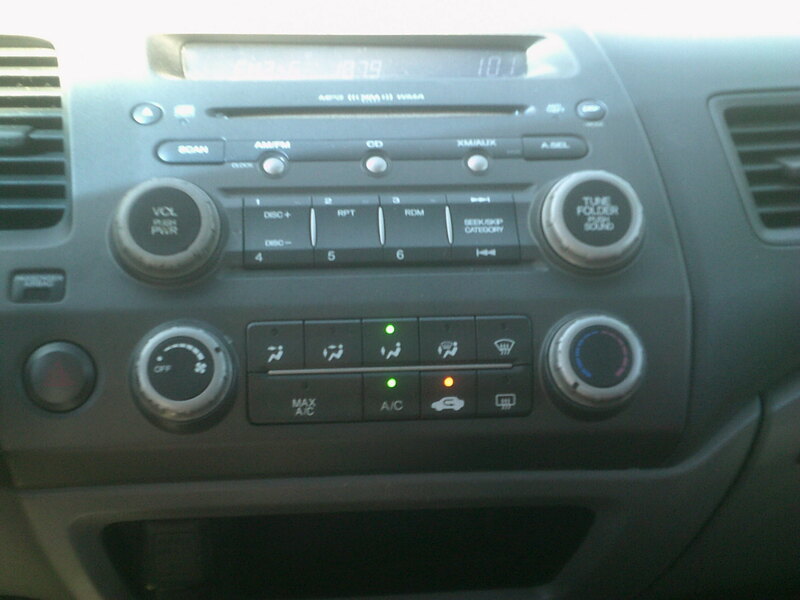 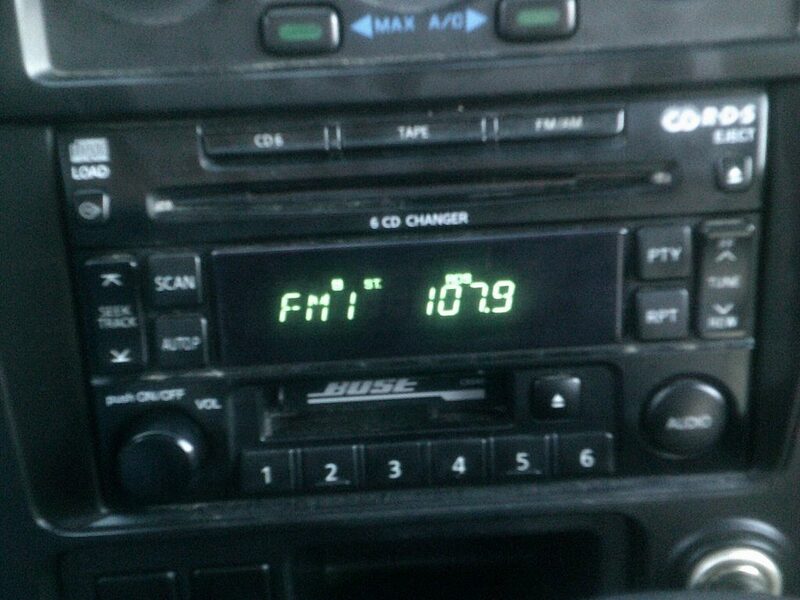 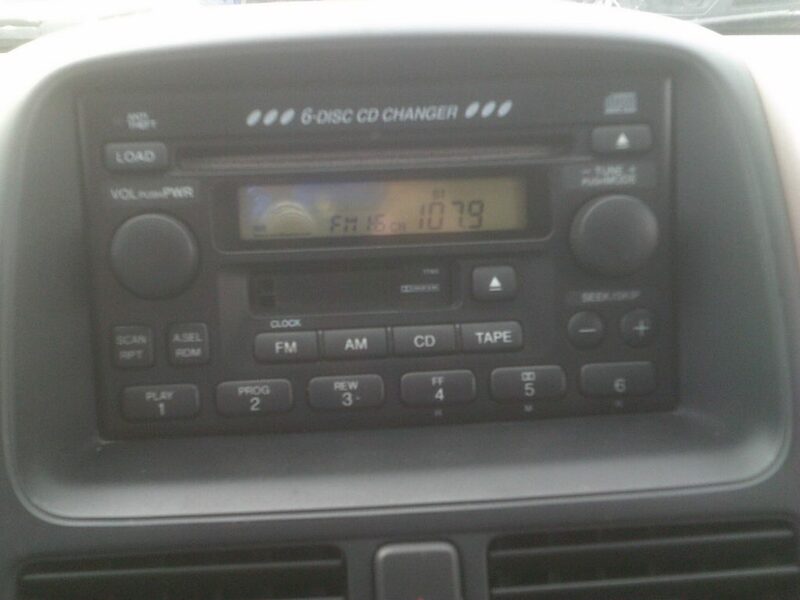 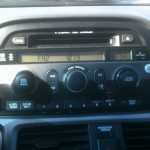 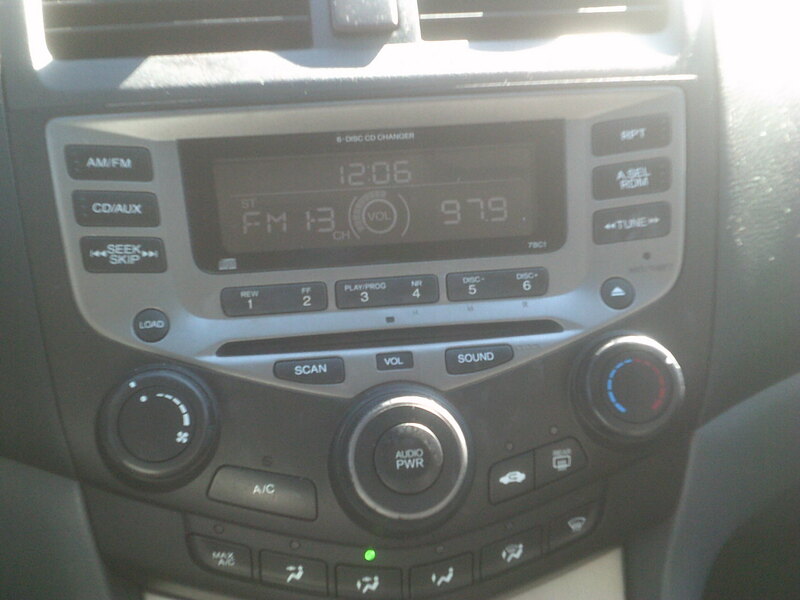 194K, Automatic, AC, CD Player. 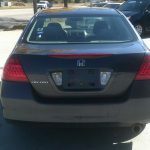 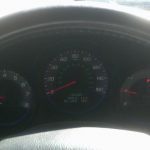 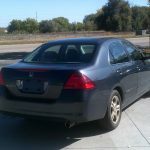 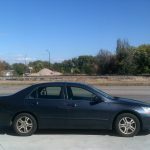 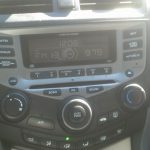 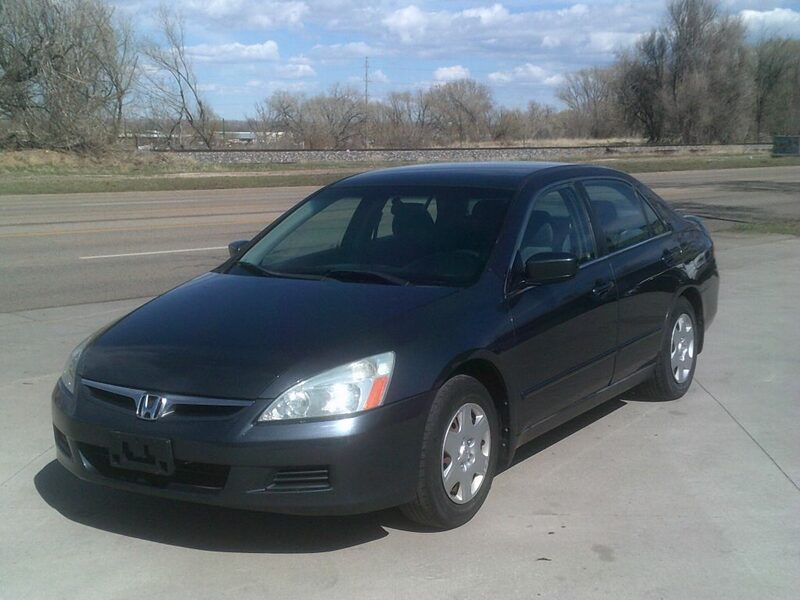 This Accord is a good running car at an affordable price. 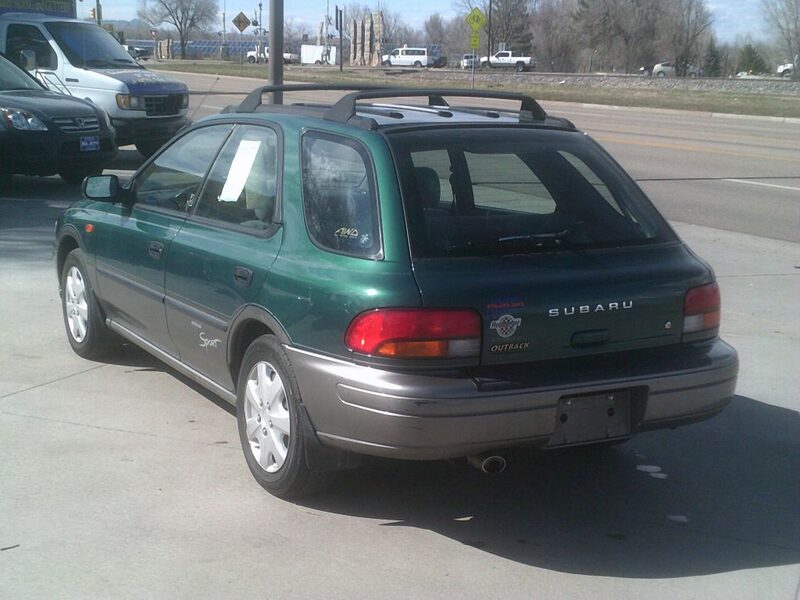 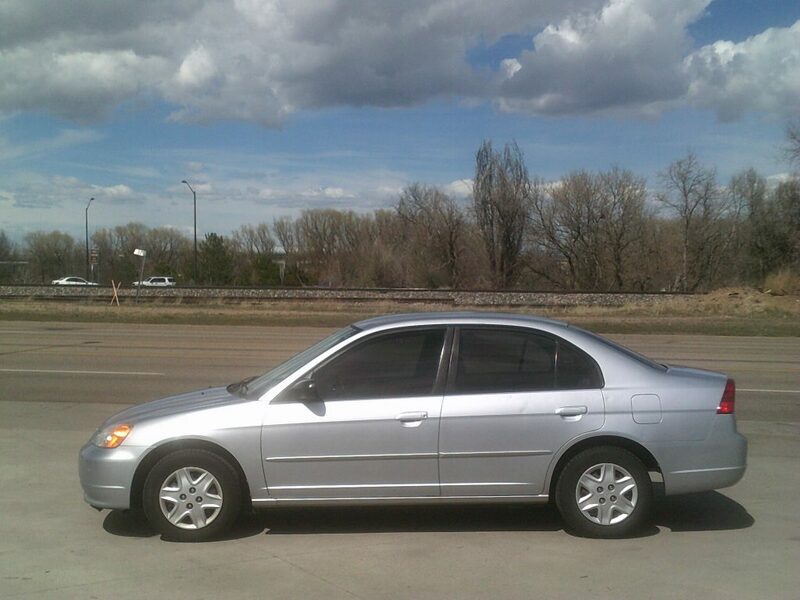 227K, Automatic, Sunroof, CD Player. 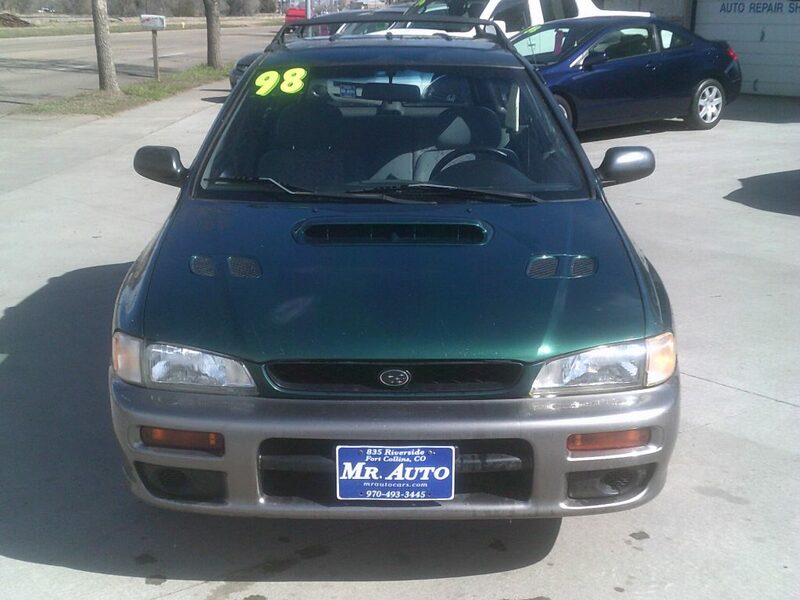 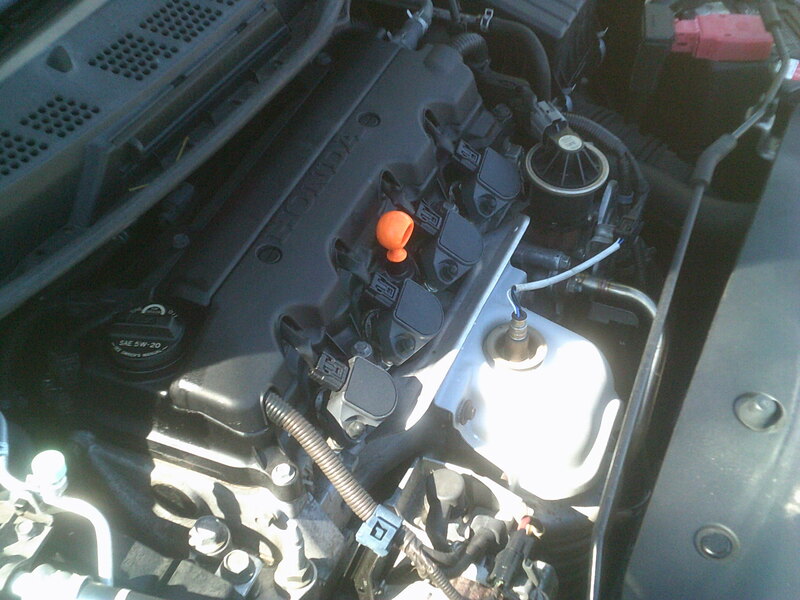 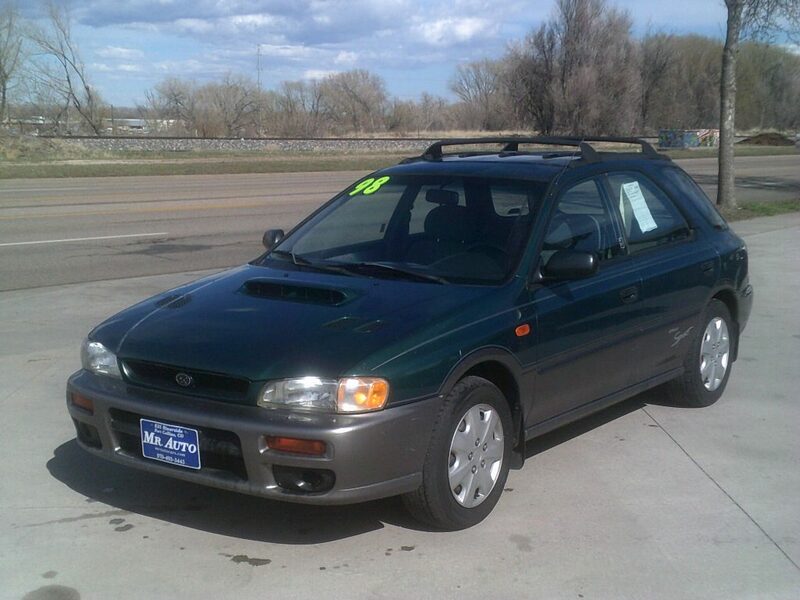 This all wheel drive Impreza has the reliable 2.2 liter 4 cylinder engine. 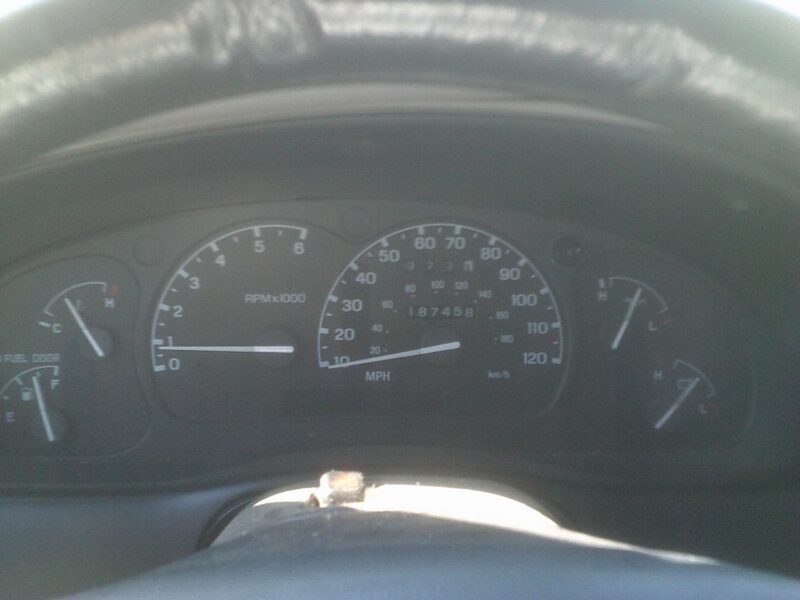 148K, Automatic, AC. 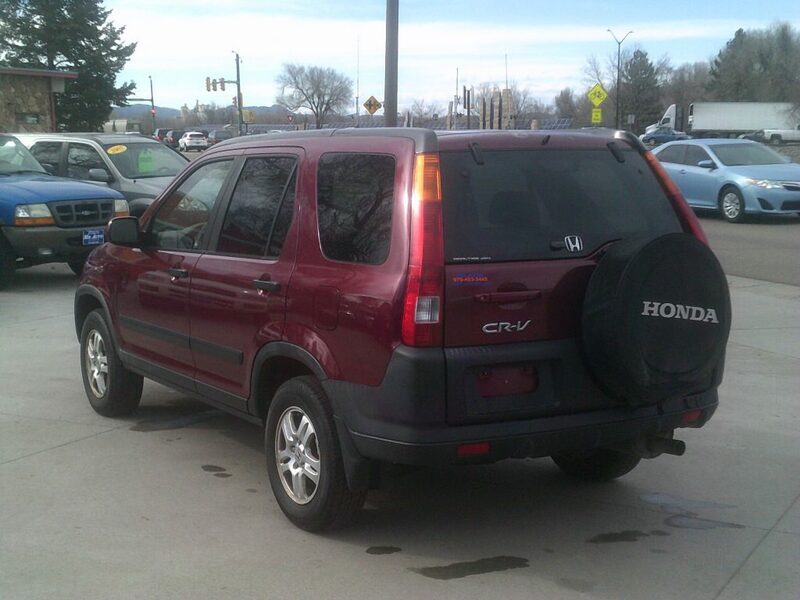 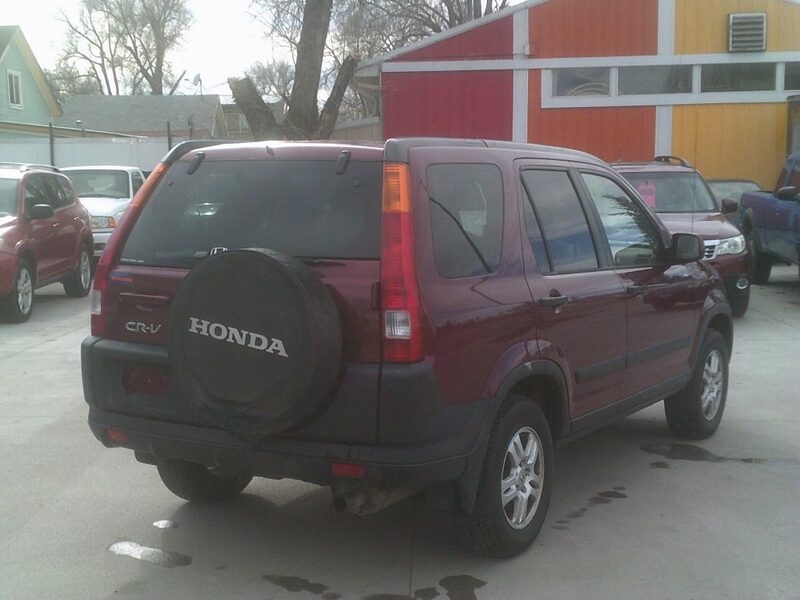 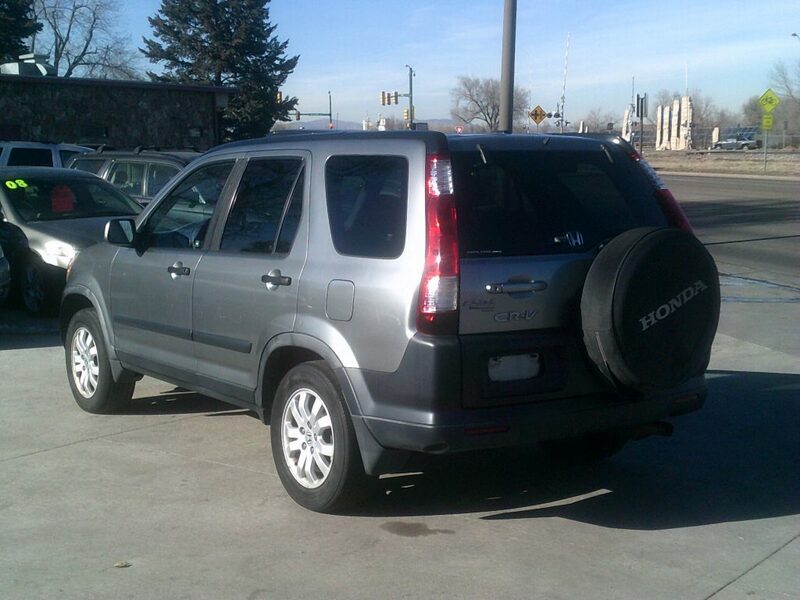 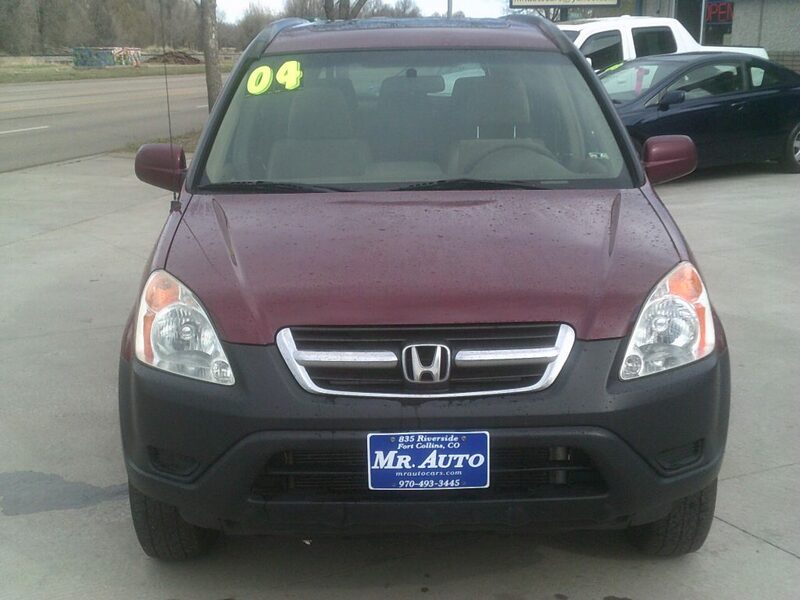 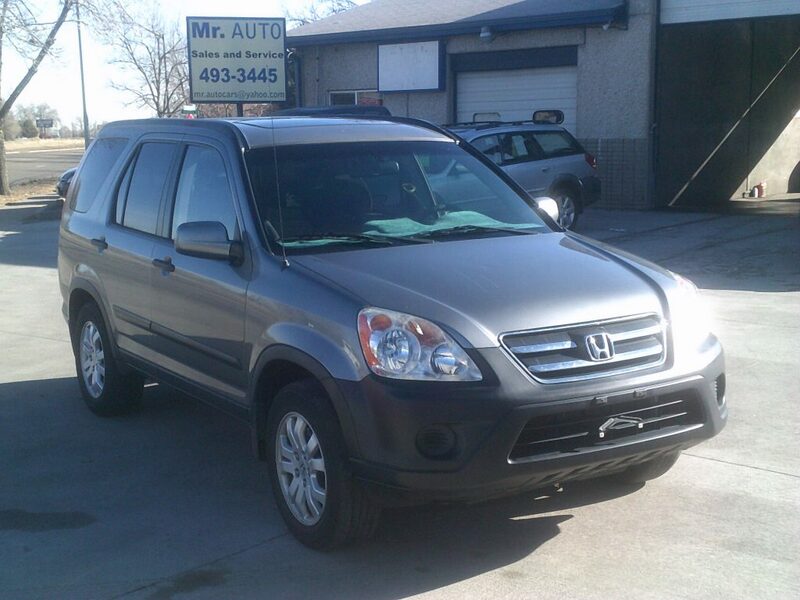 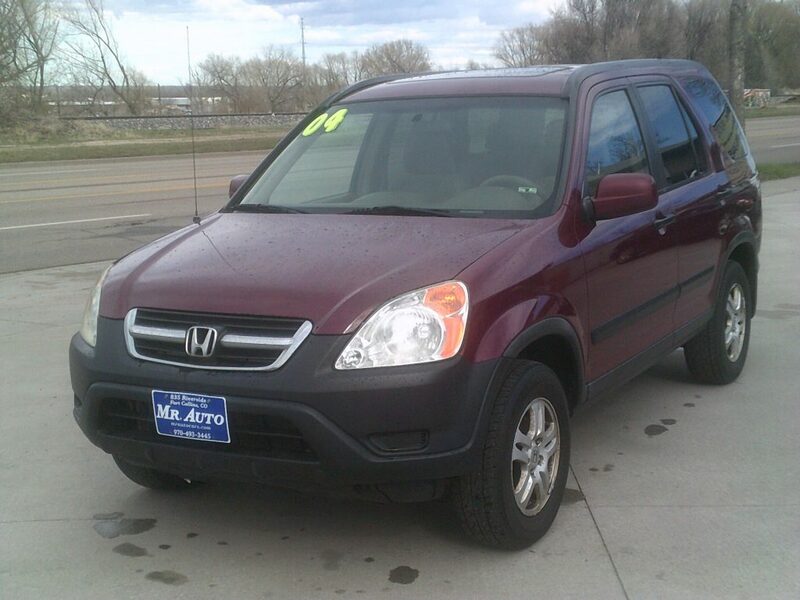 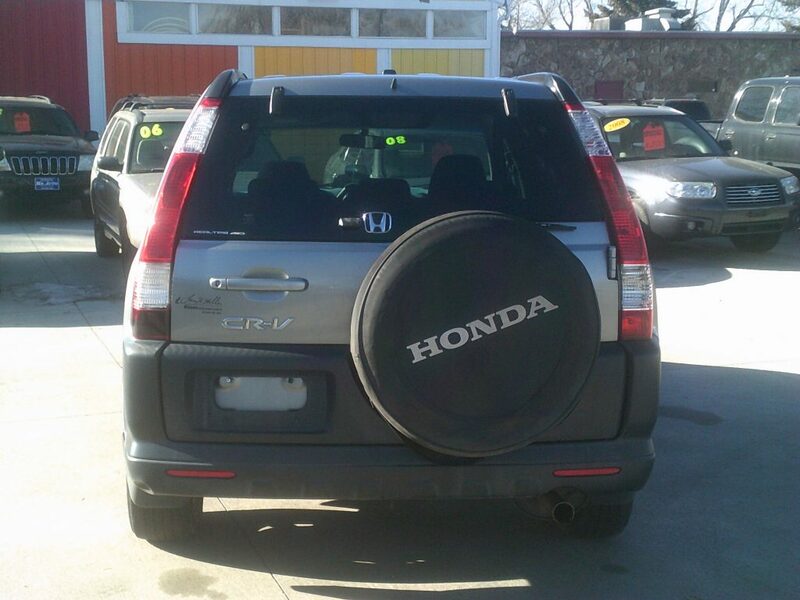 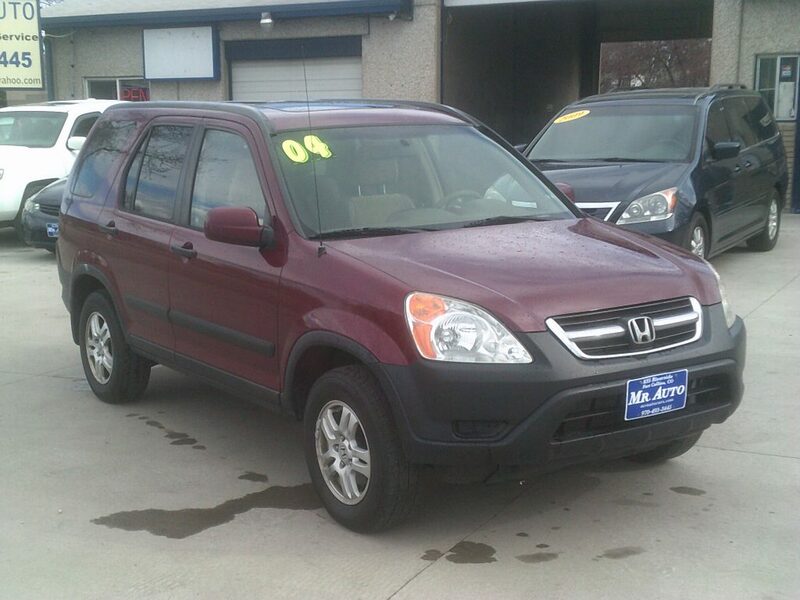 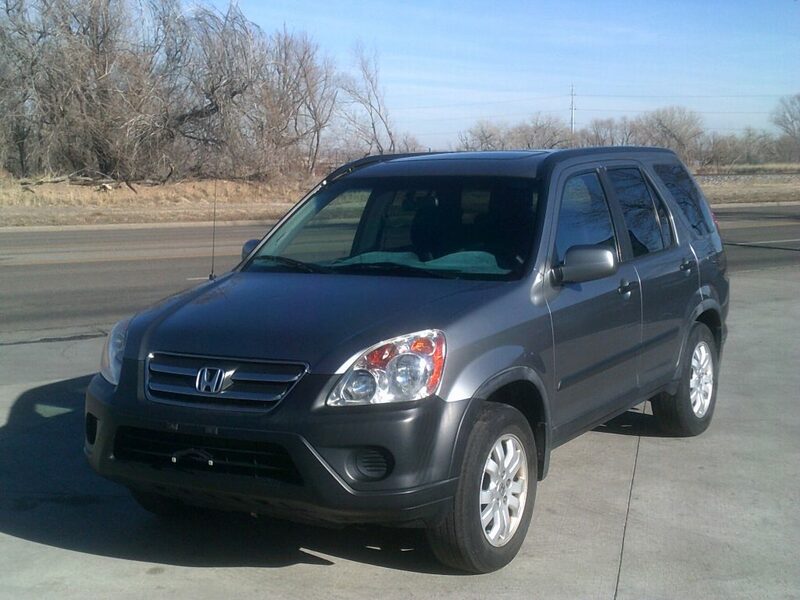 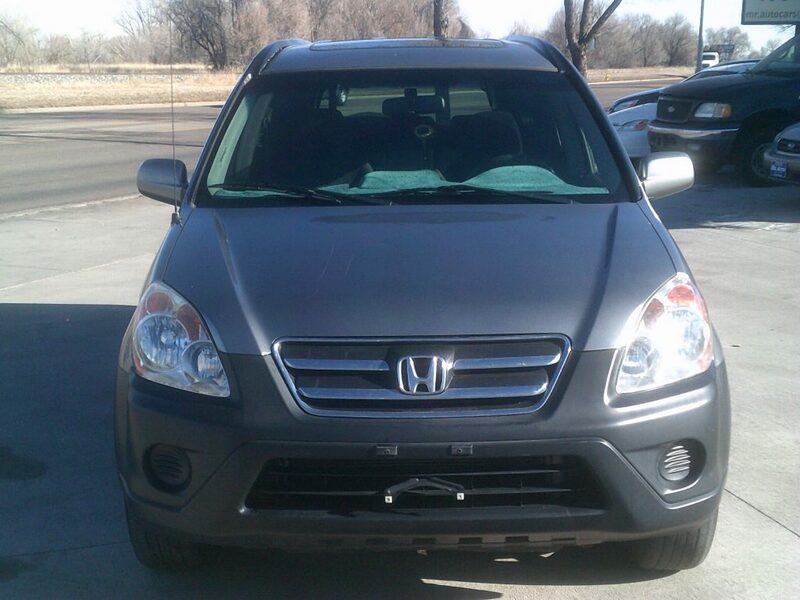 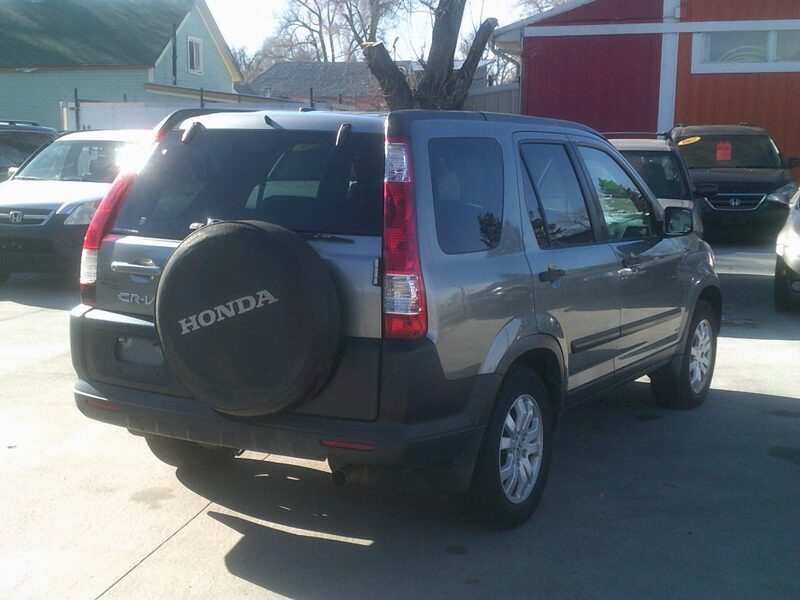 This all wheel drive CRV is the perfect vehicle for all of your Colorado driving needs. 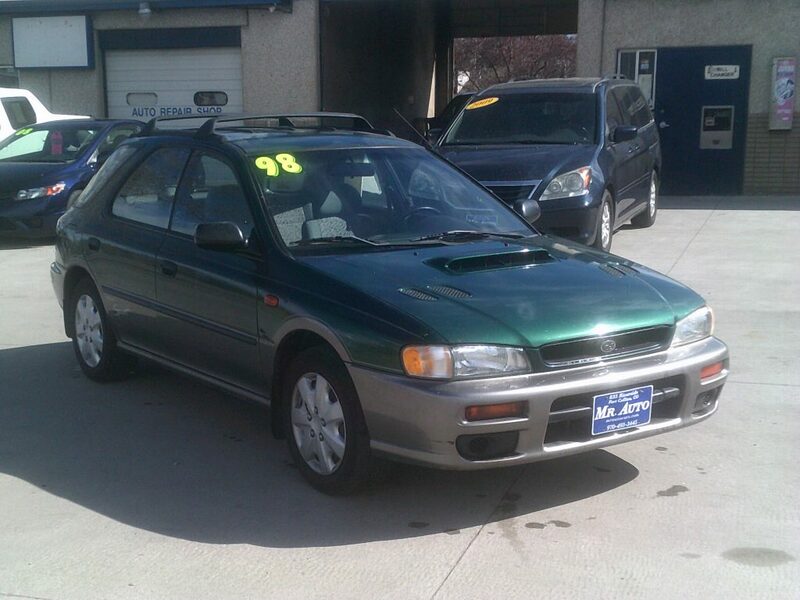 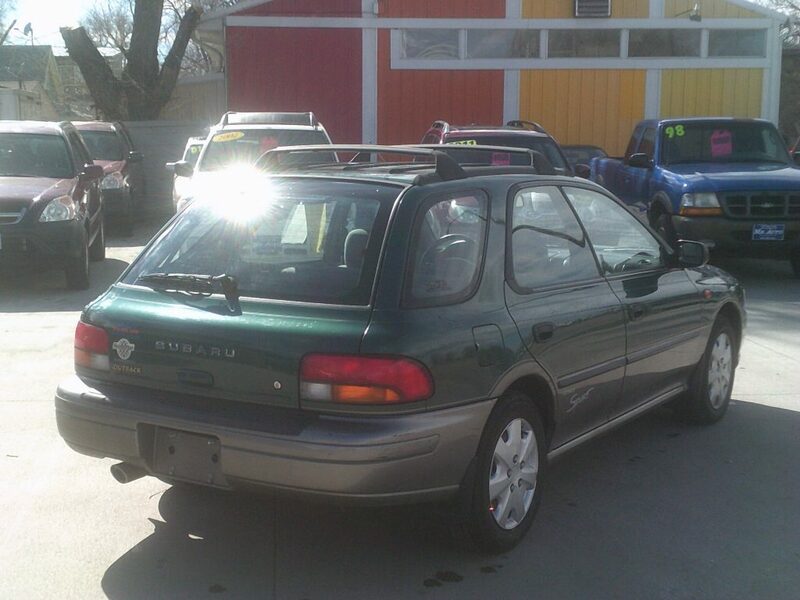 192K, 5 Speed Manual, AC, Sunroof, CD Player. 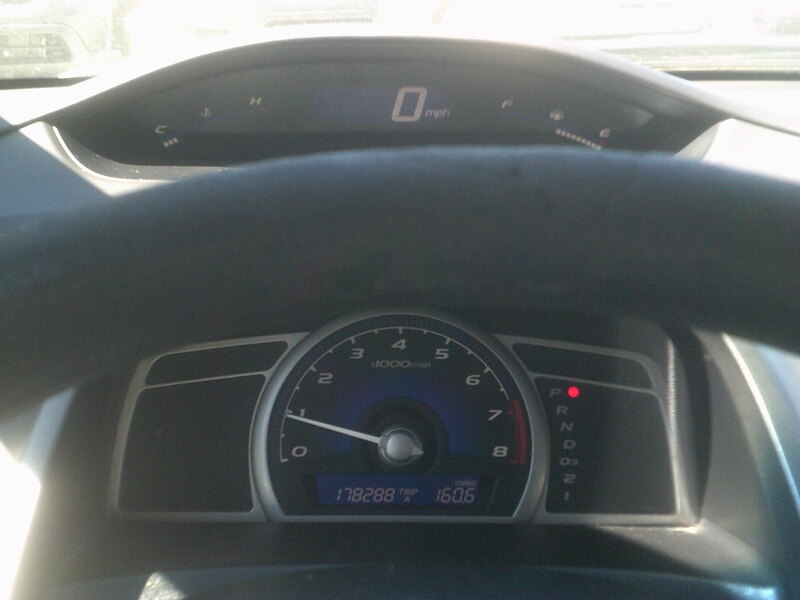 This Civic gets 26 miles per gallon in the city and 34 mpg on the highway. 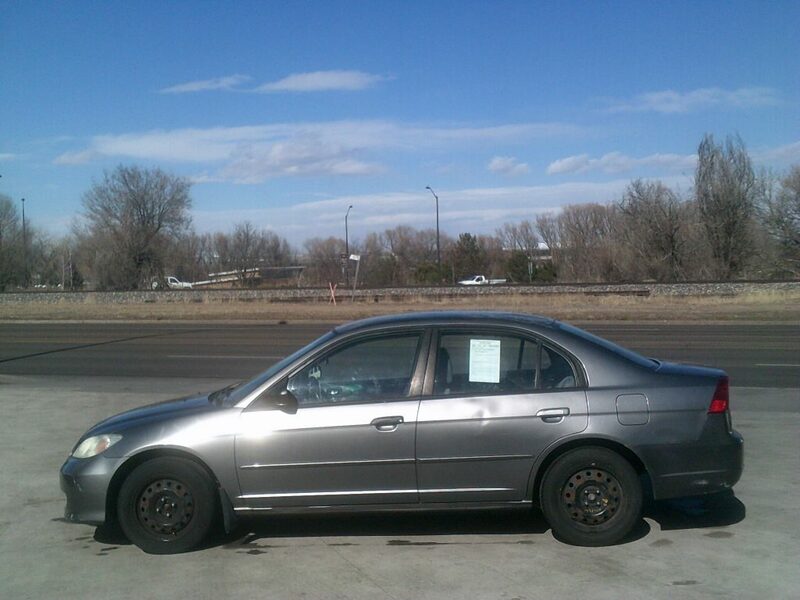 130K, 5 Speed Manual, AC, CD Player. 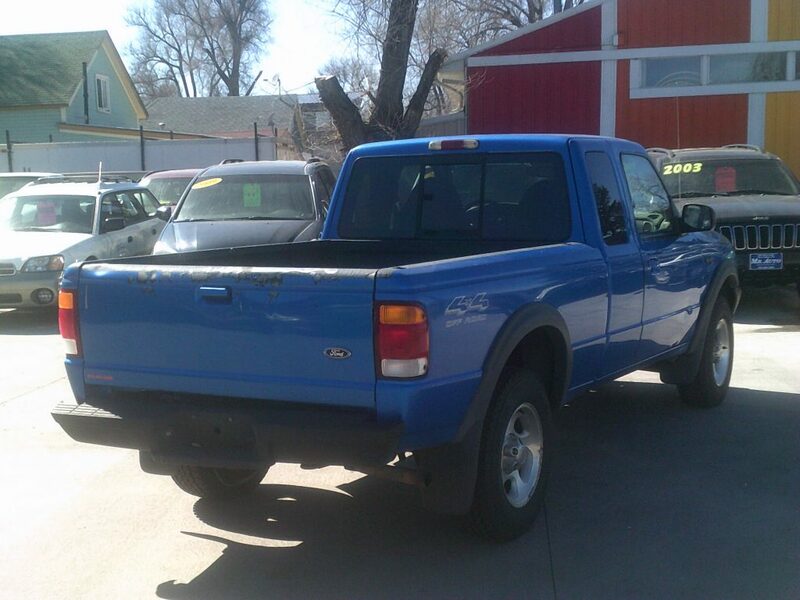 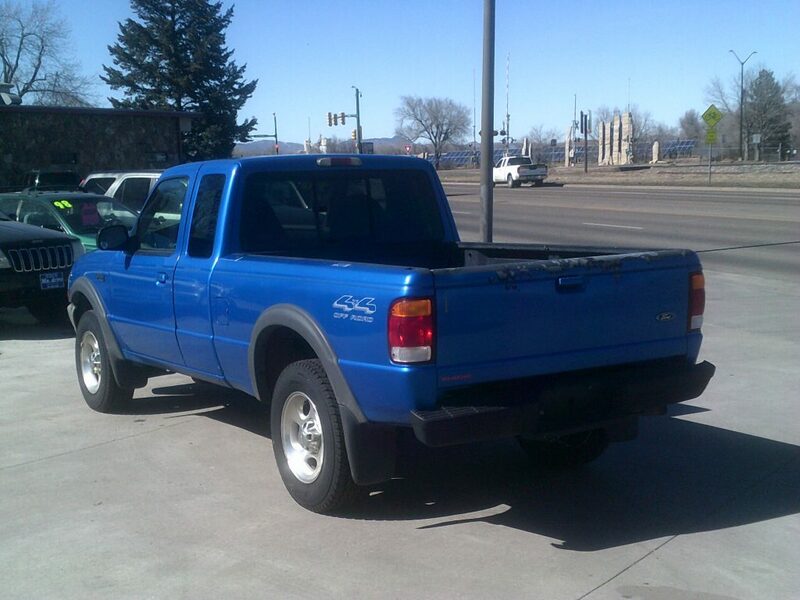 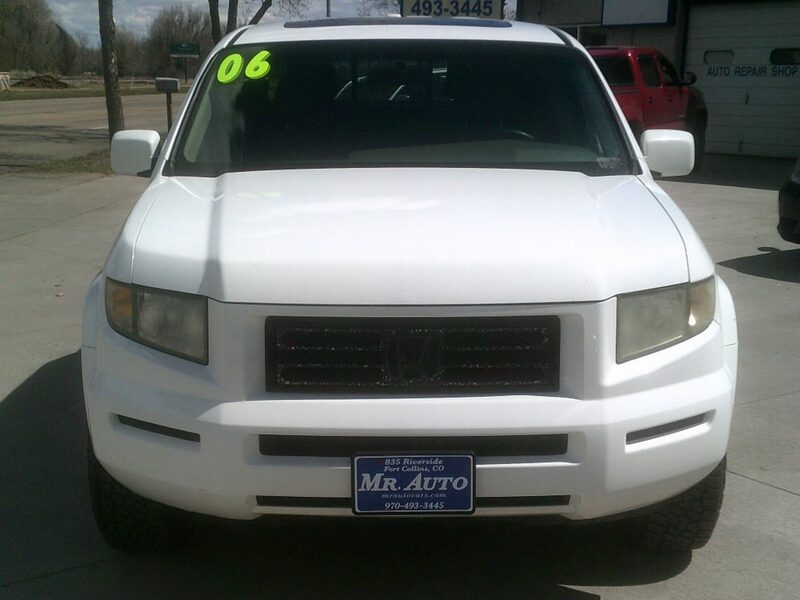 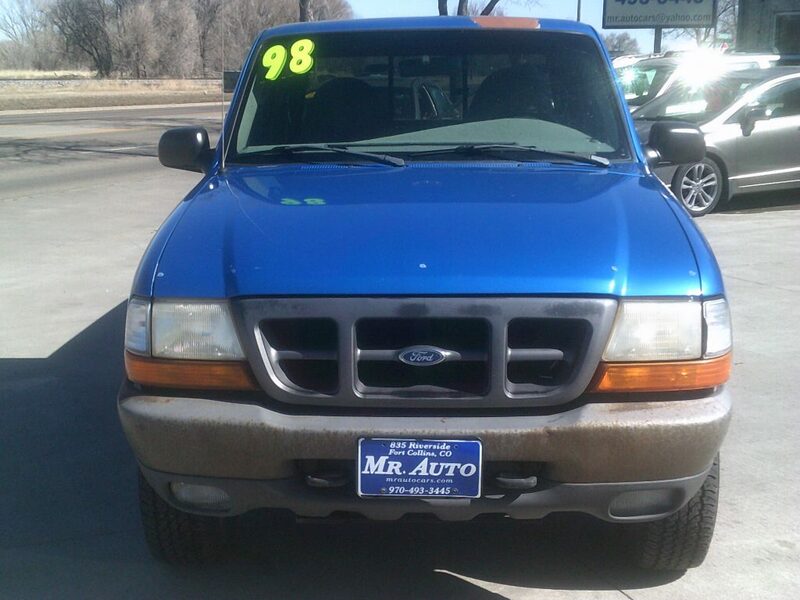 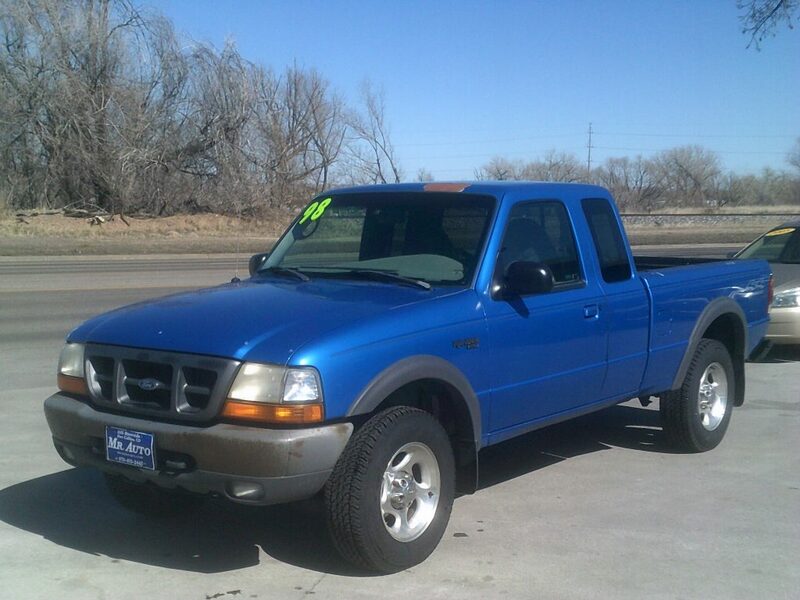 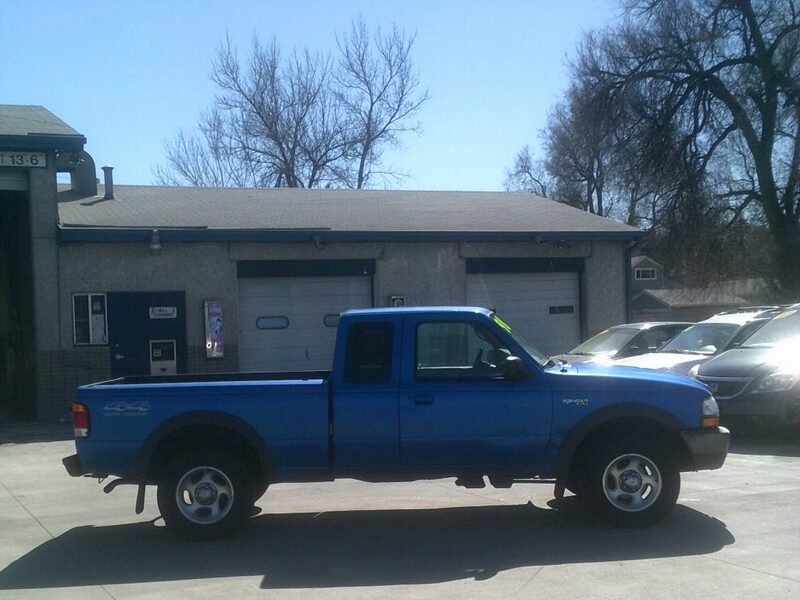 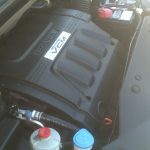 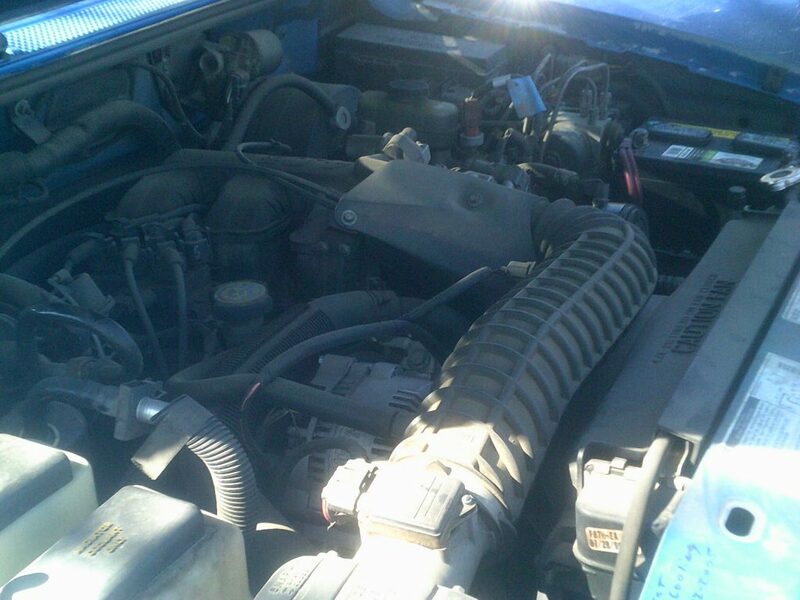 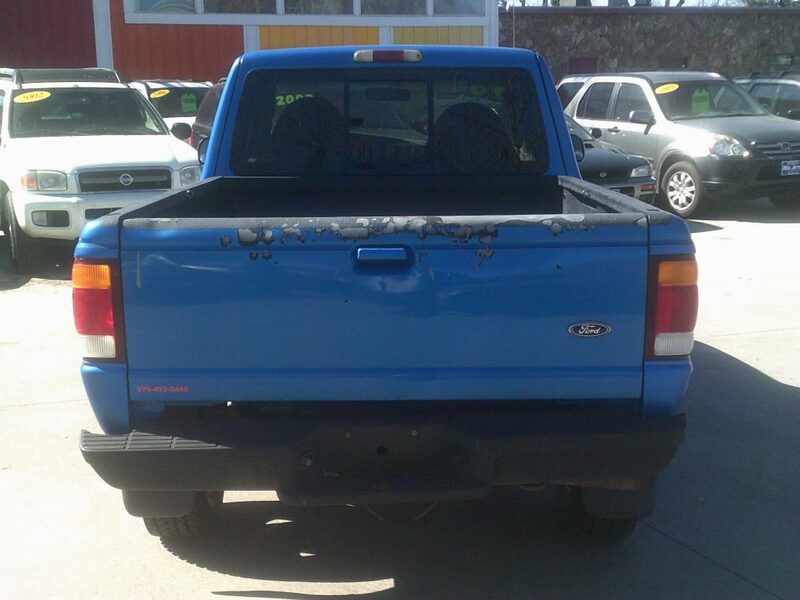 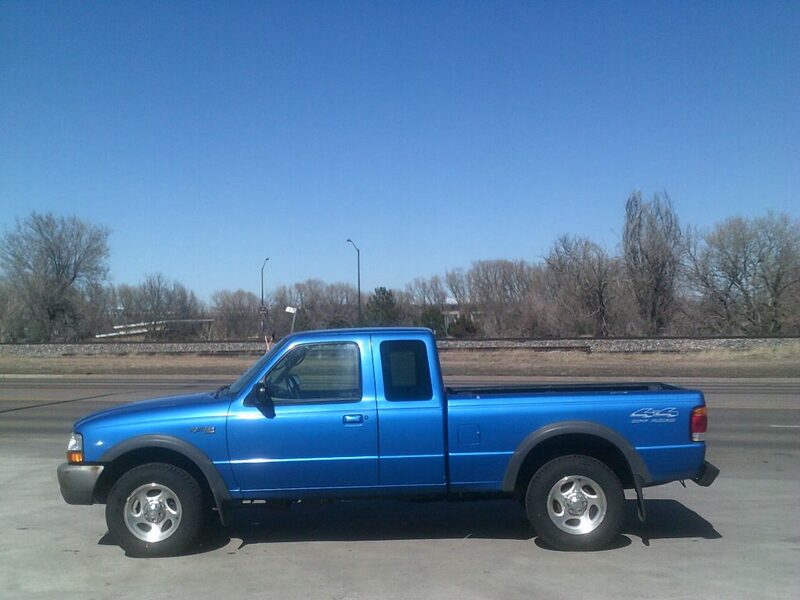 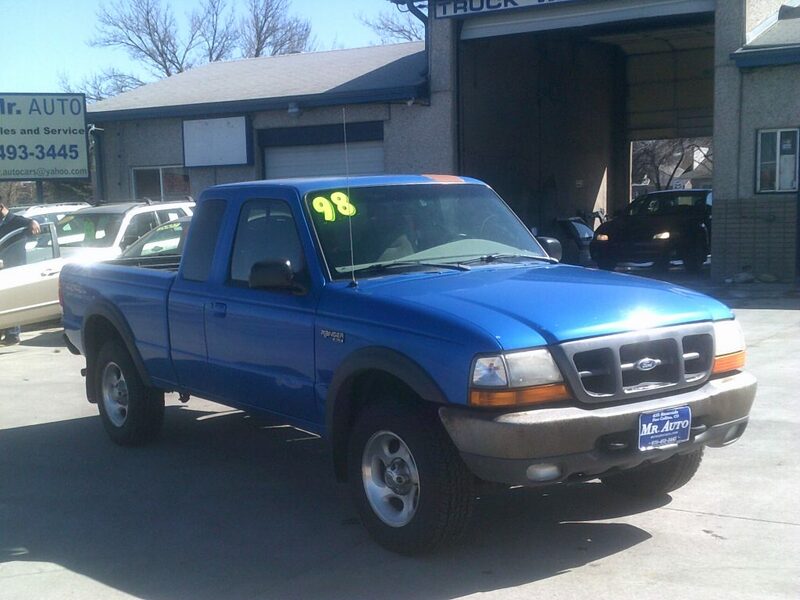 This Ranger has the reliable 4.0 liter V6 engine. 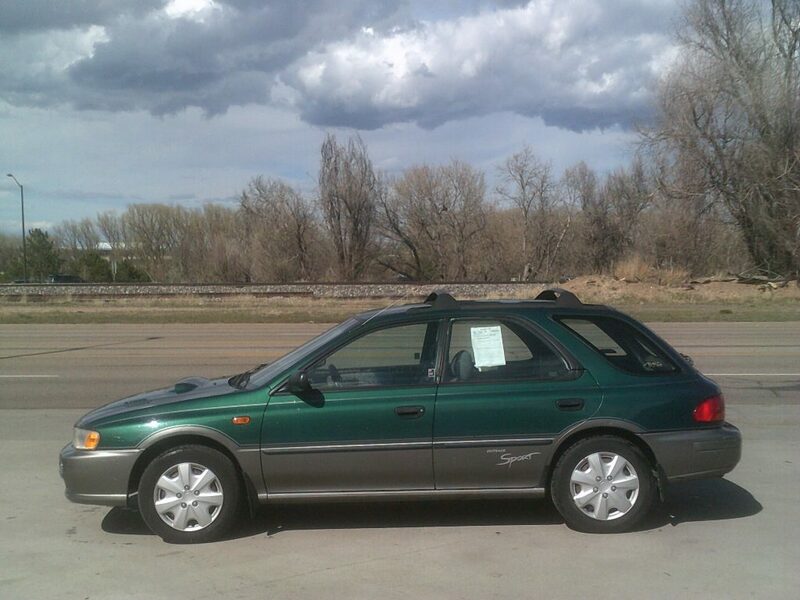 187K, 5 Speed Manual, AC, CD Player. 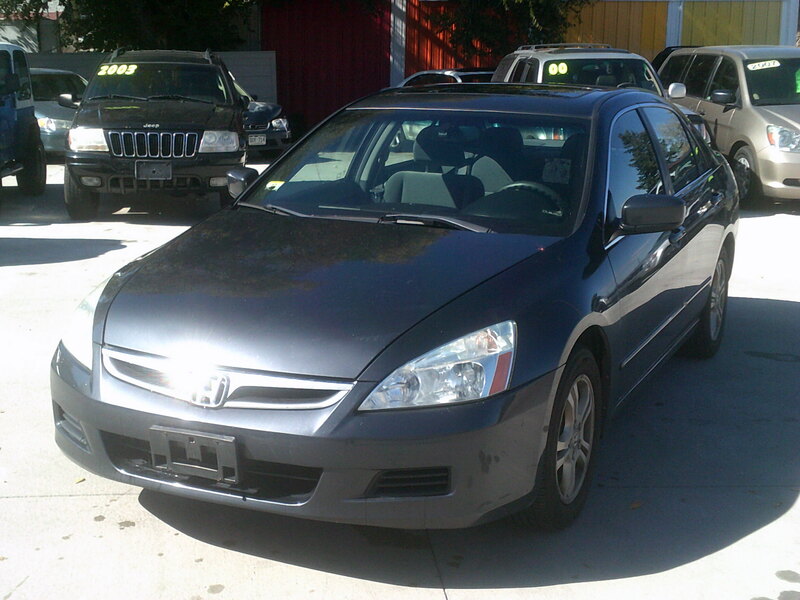 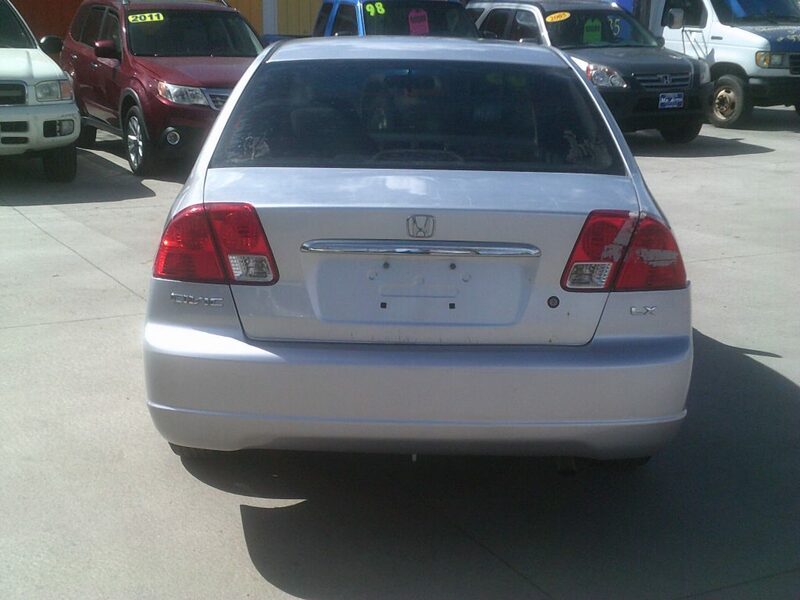 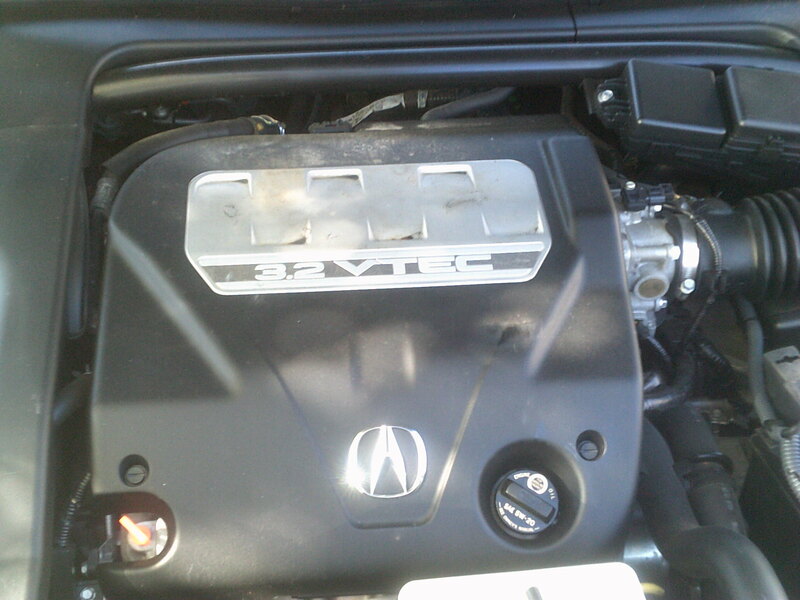 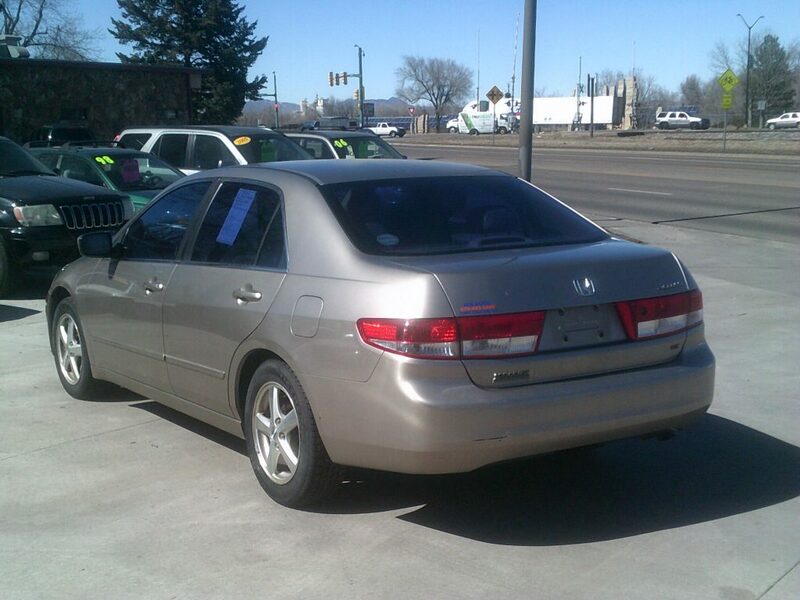 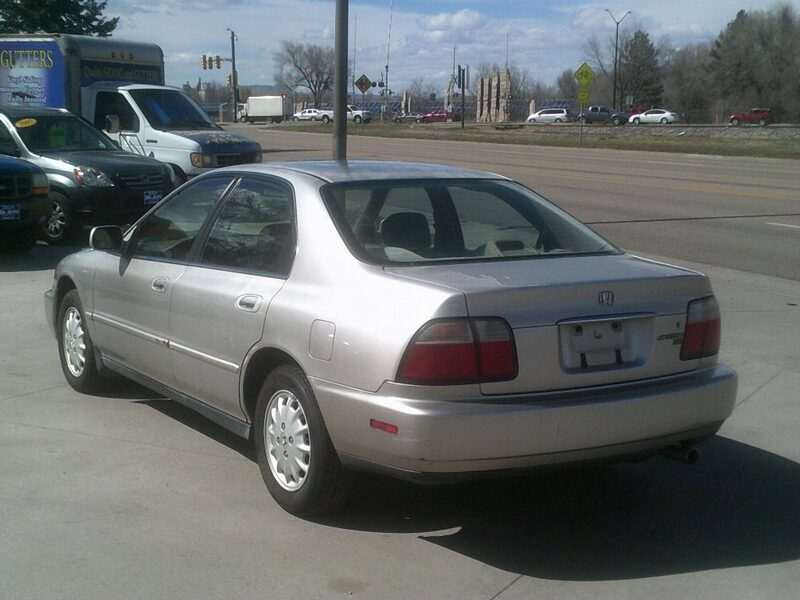 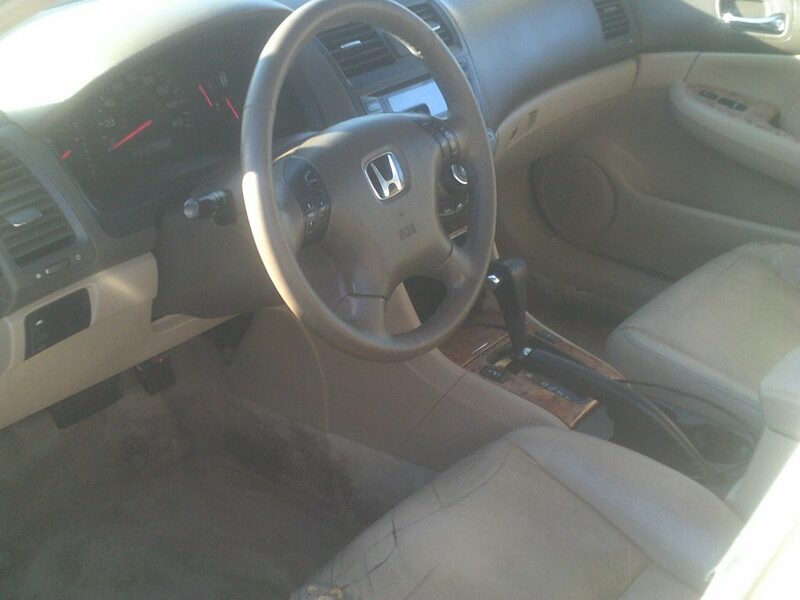 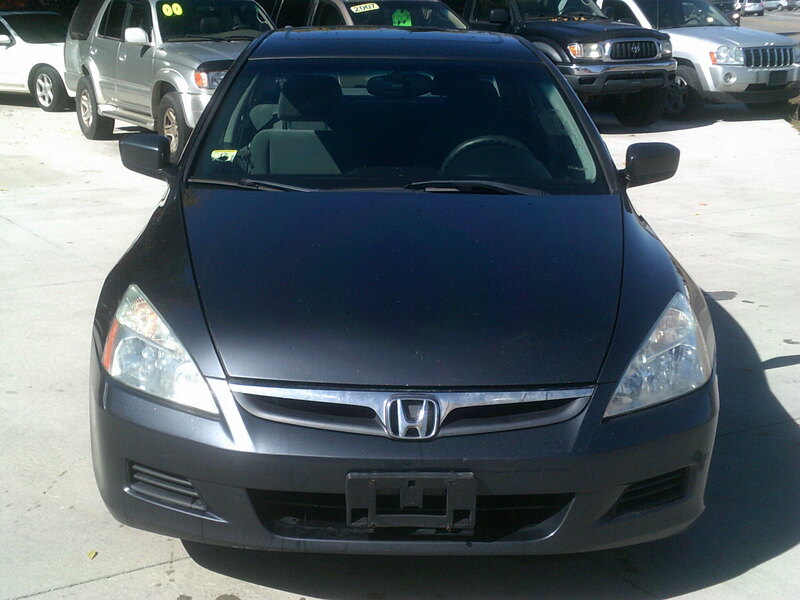 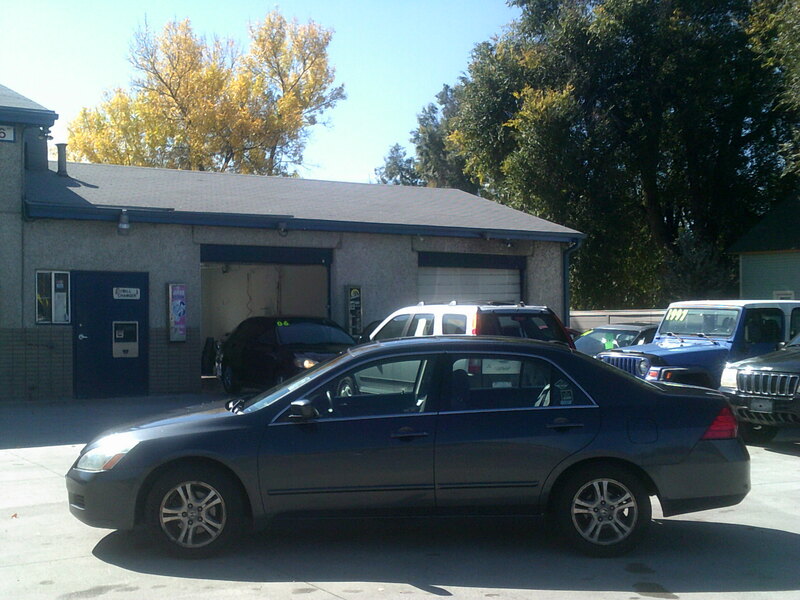 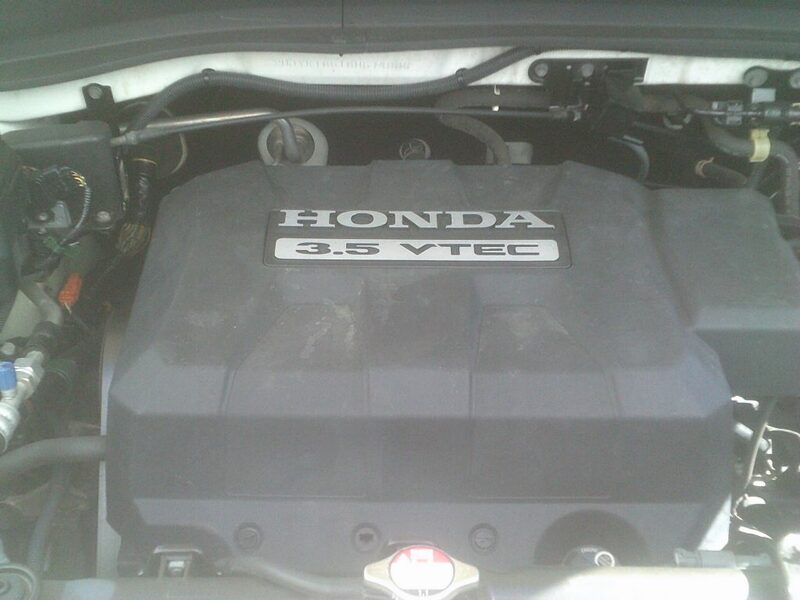 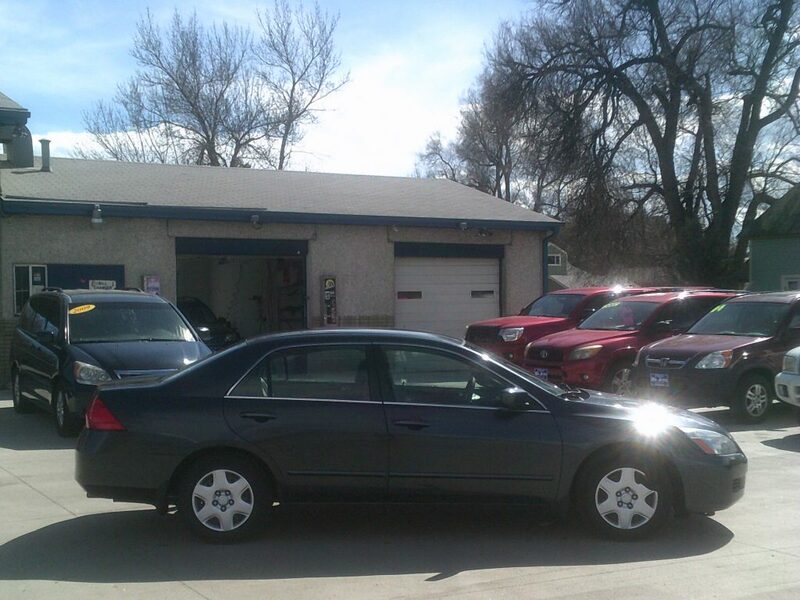 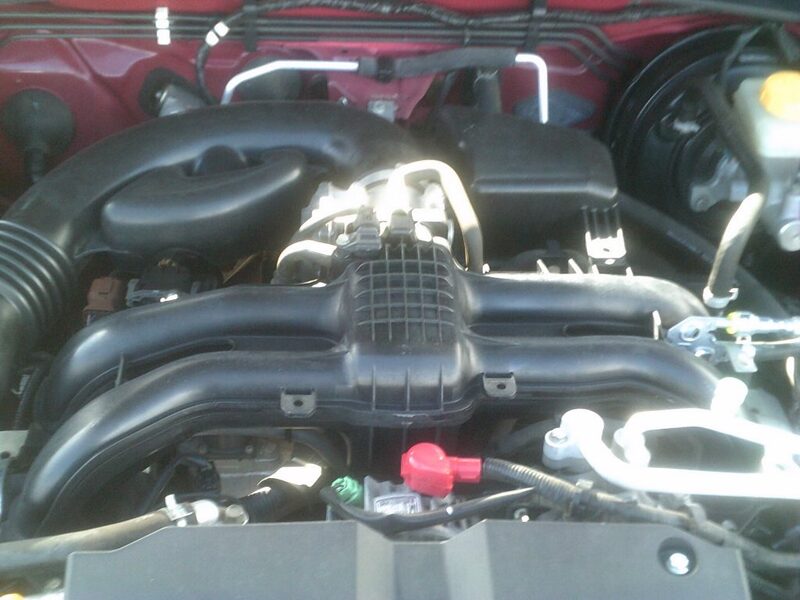 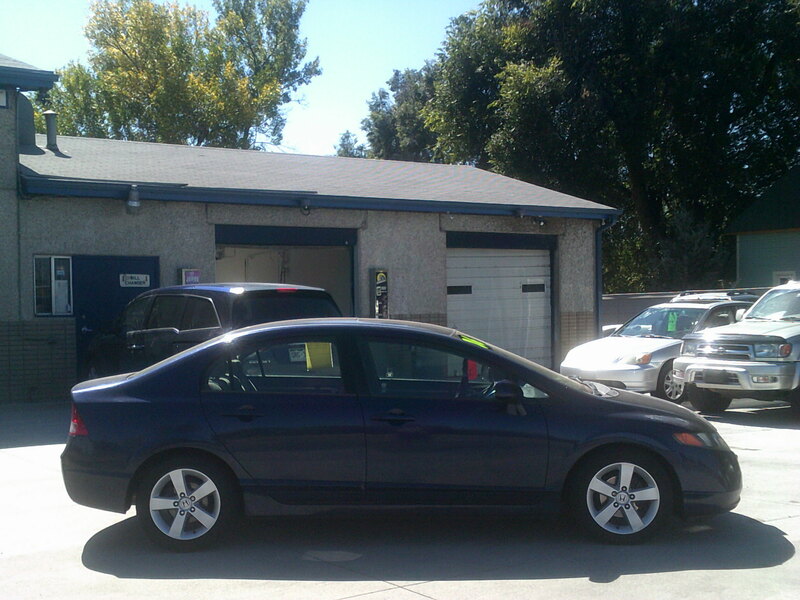 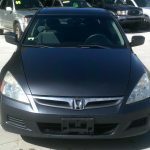 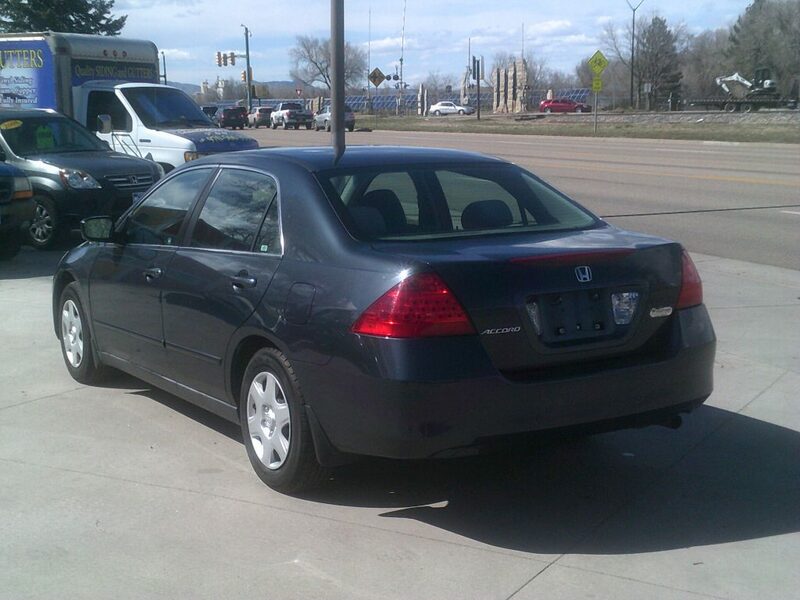 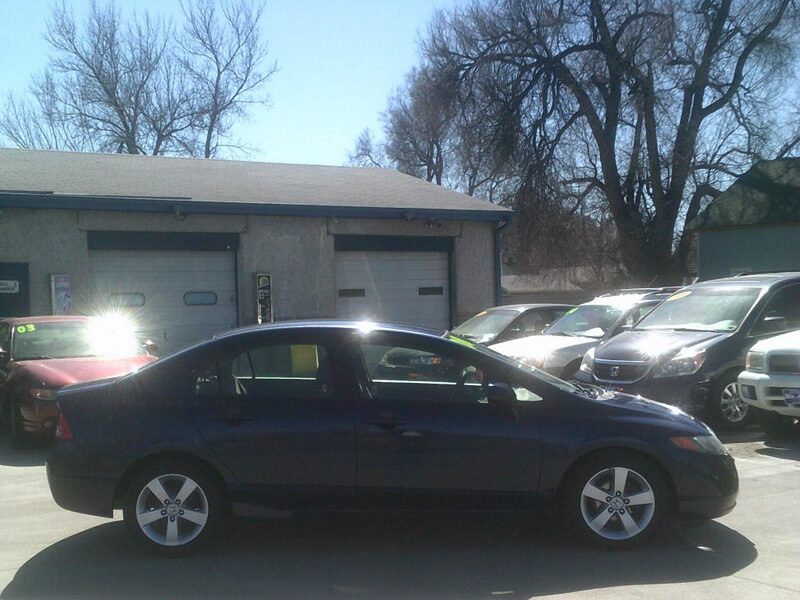 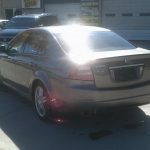 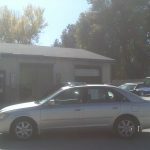 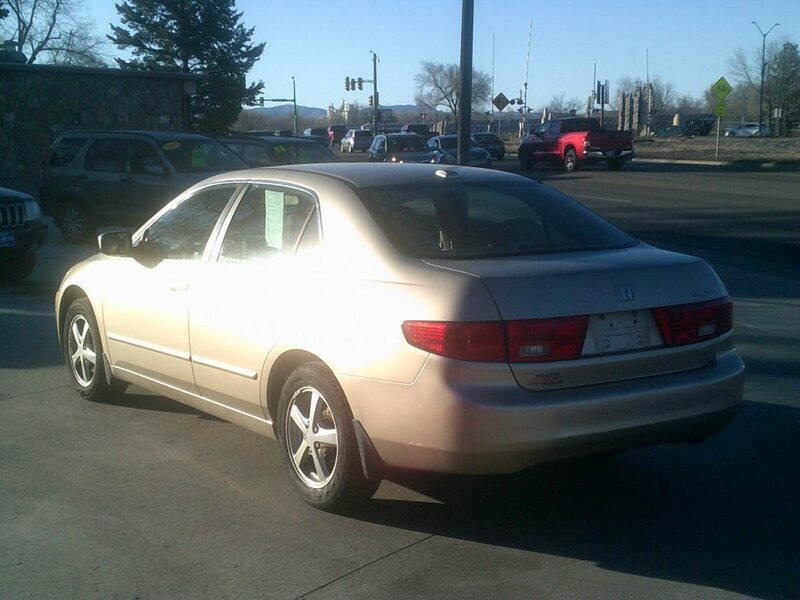 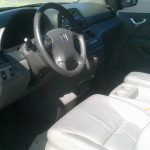 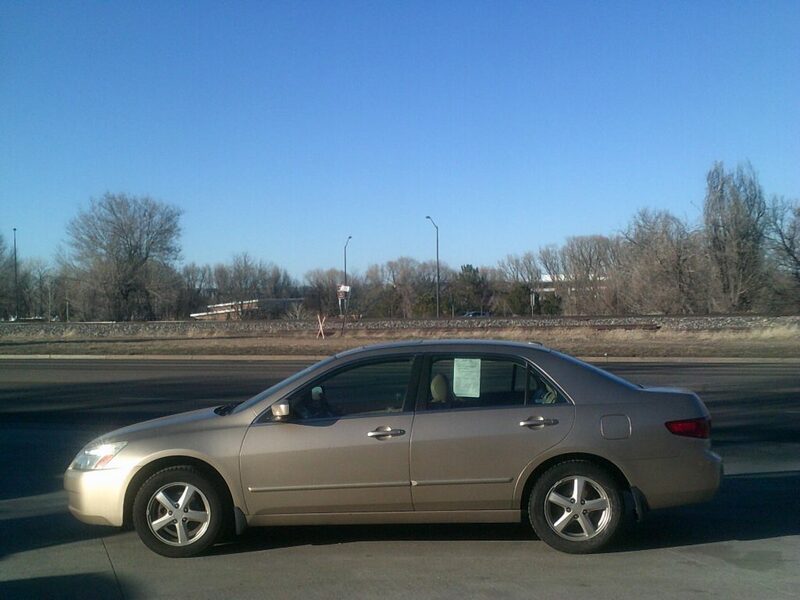 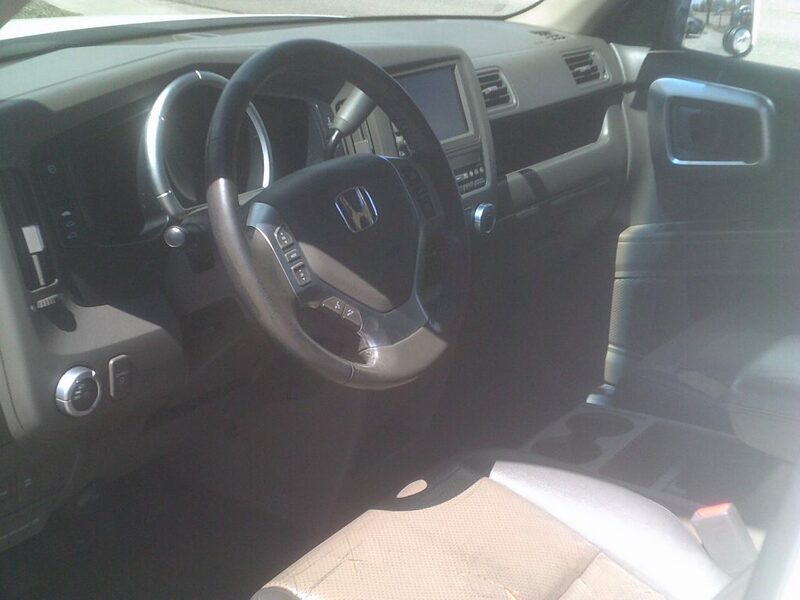 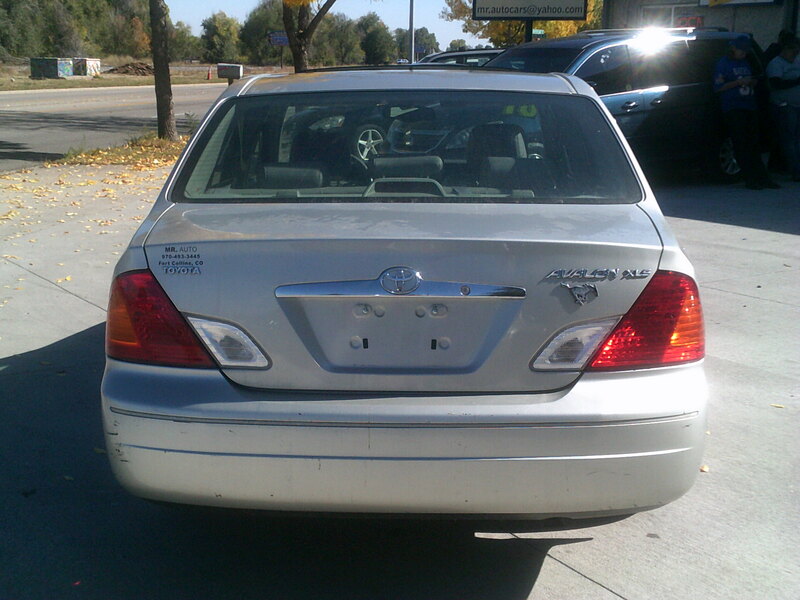 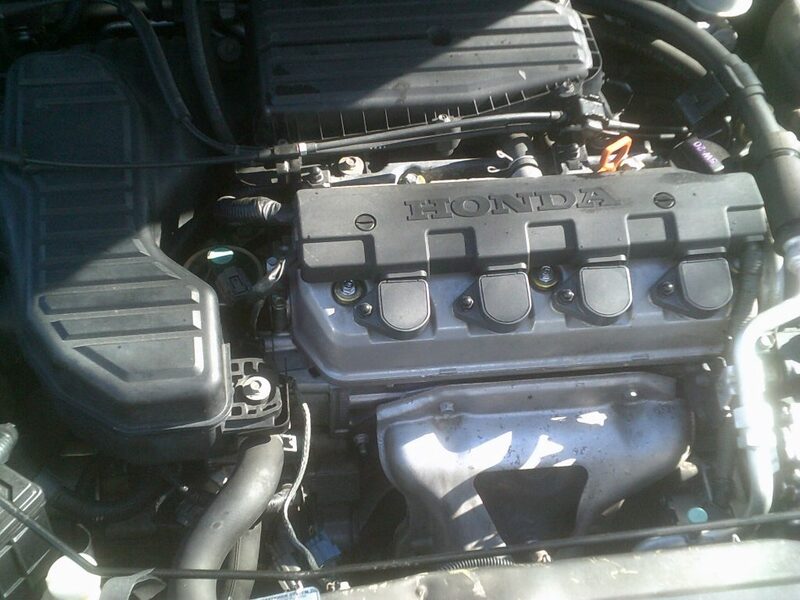 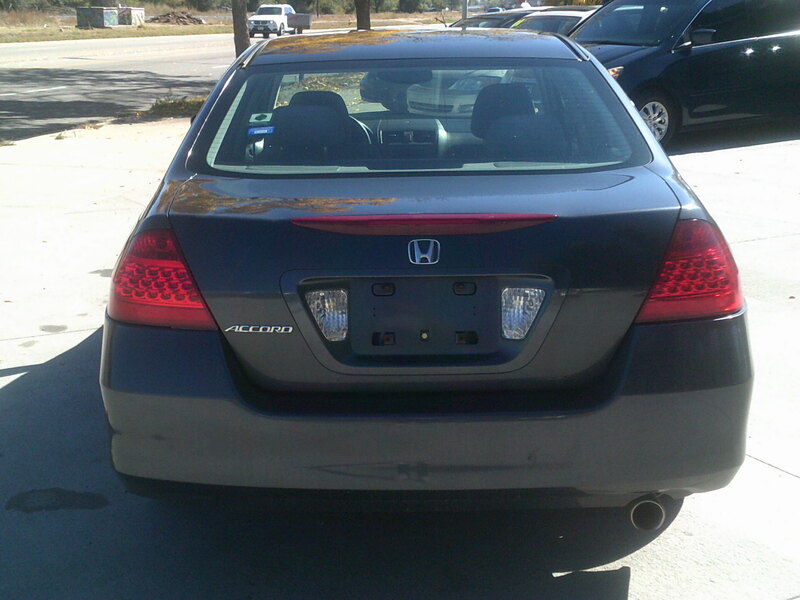 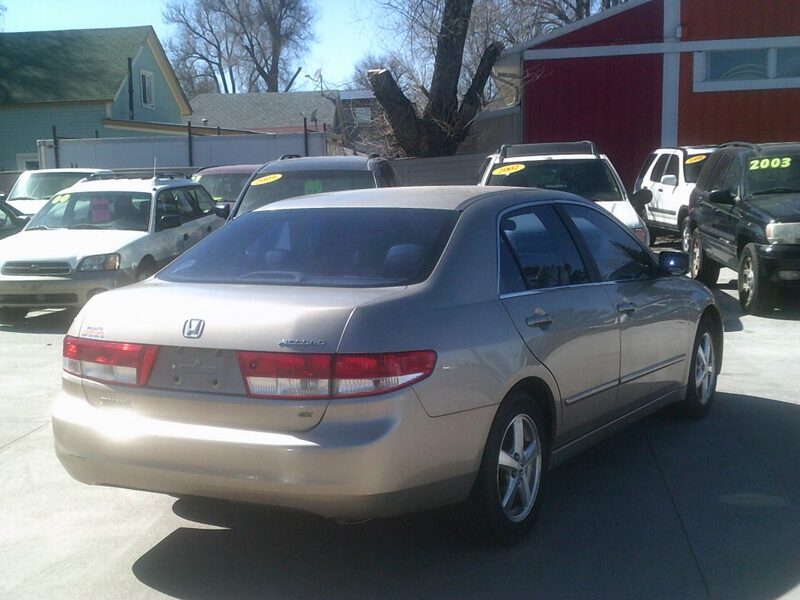 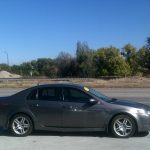 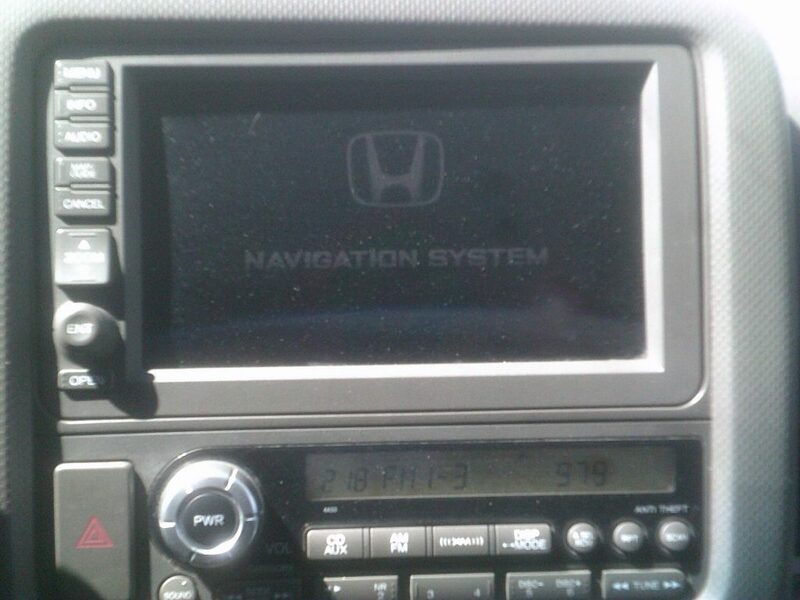 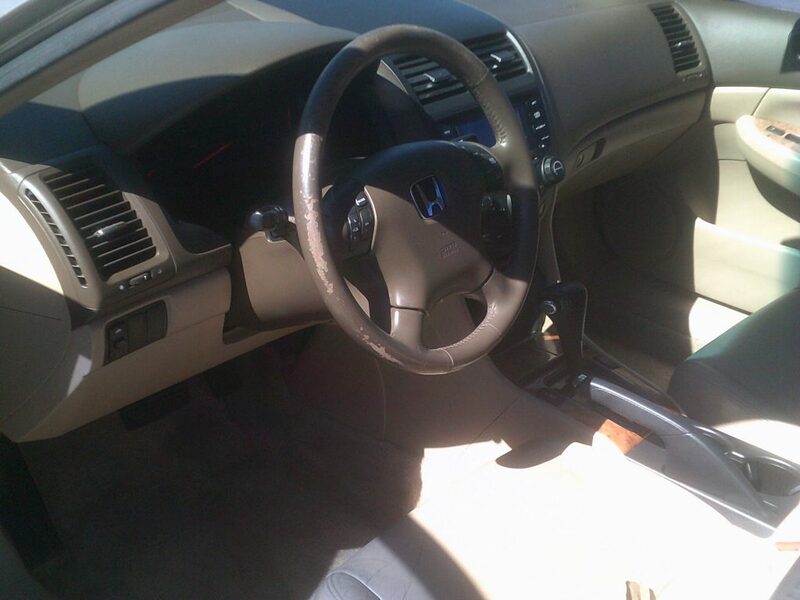 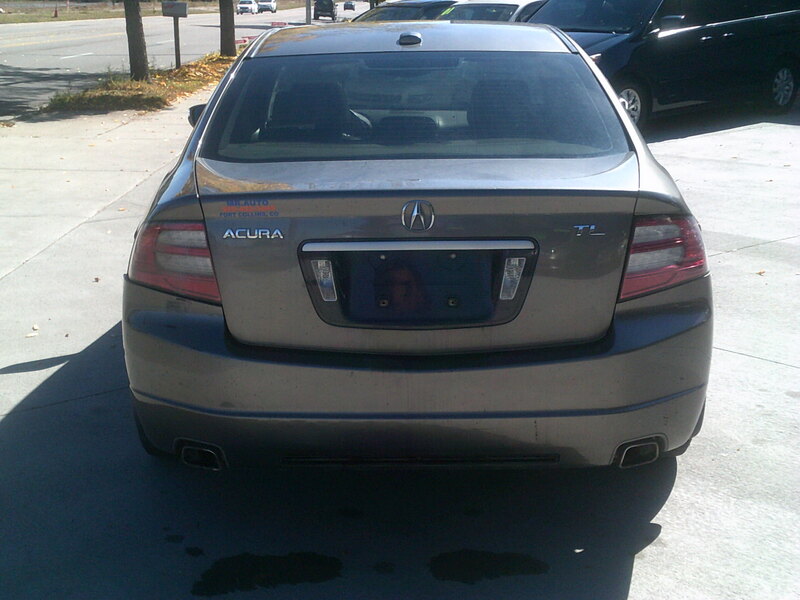 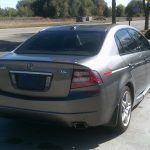 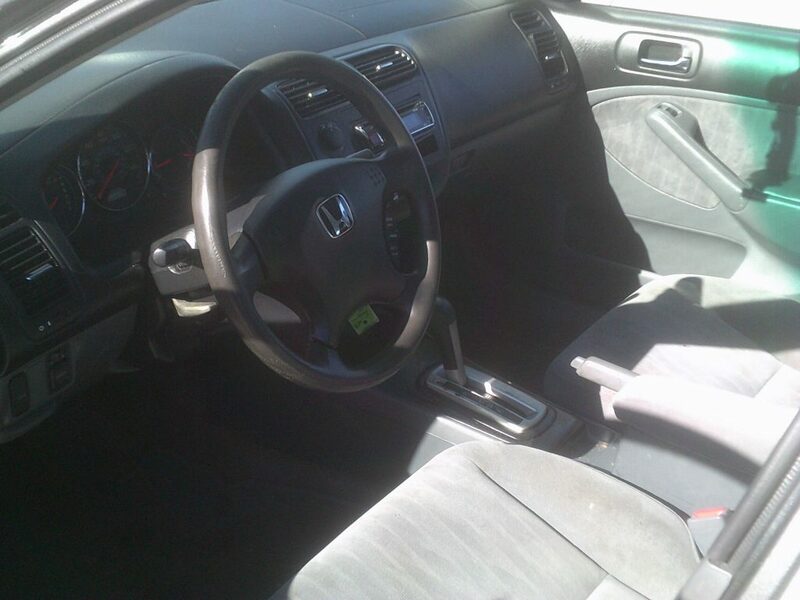 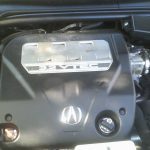 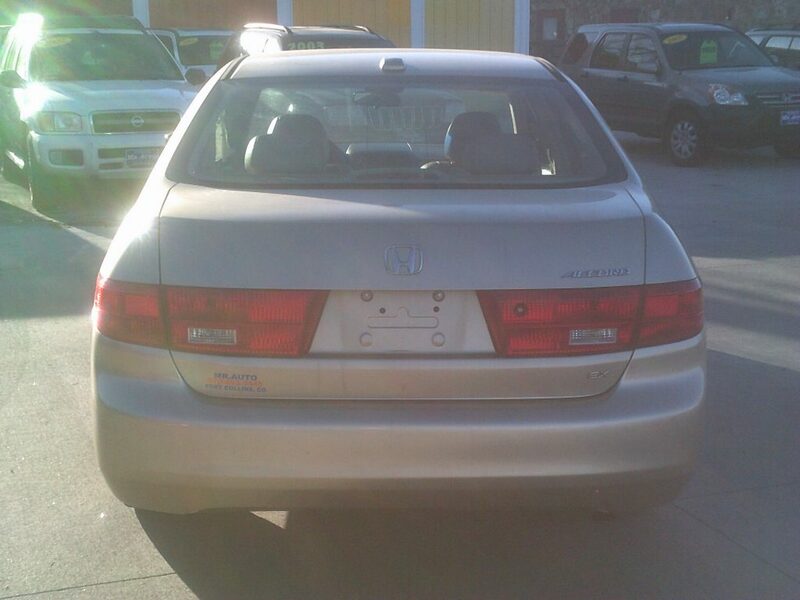 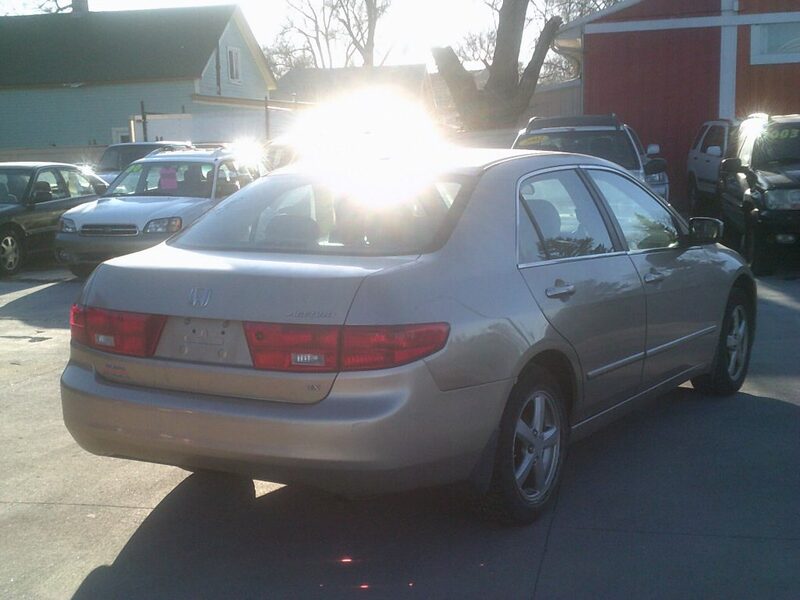 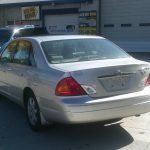 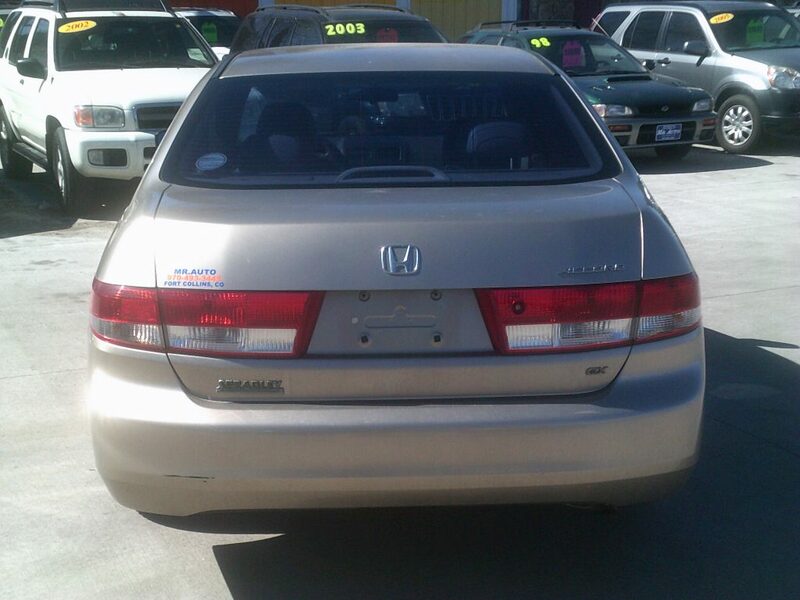 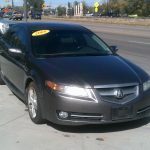 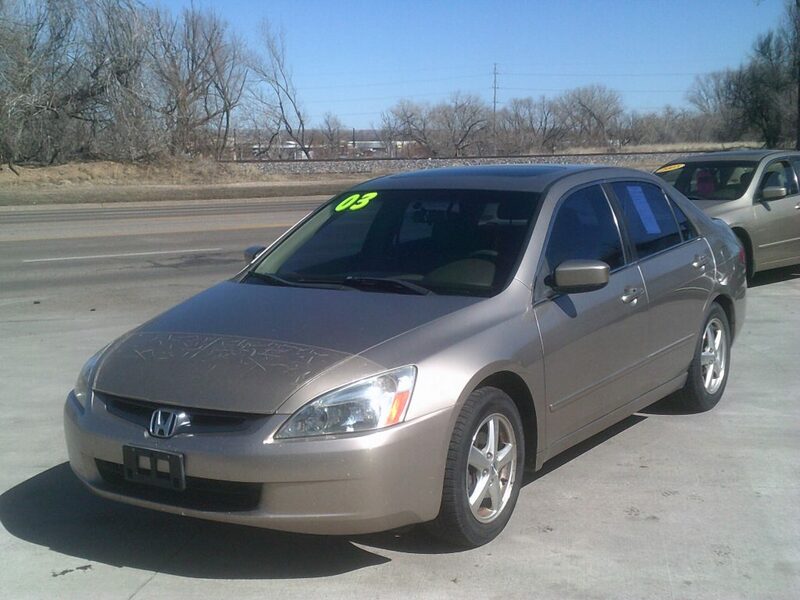 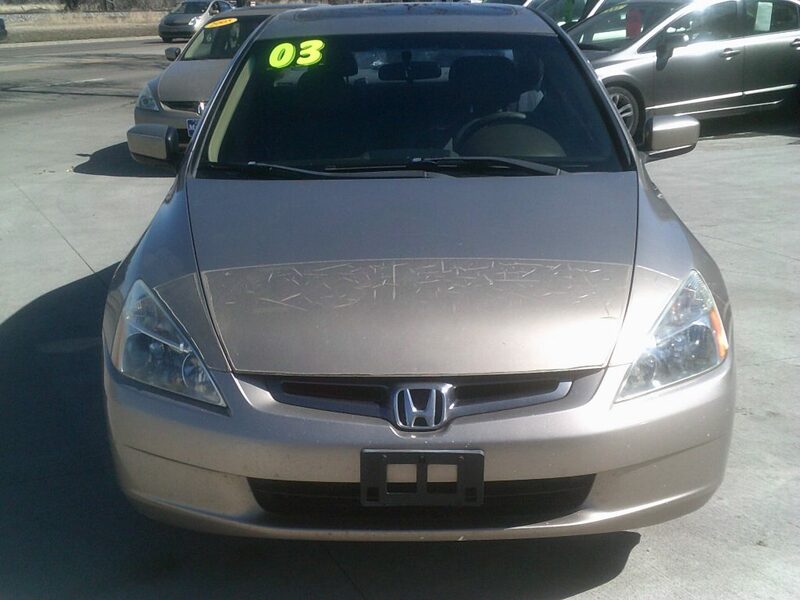 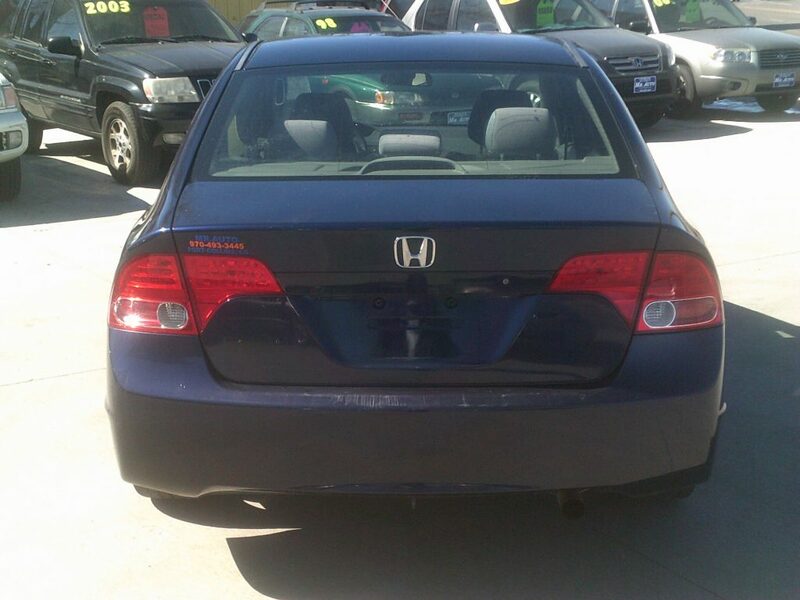 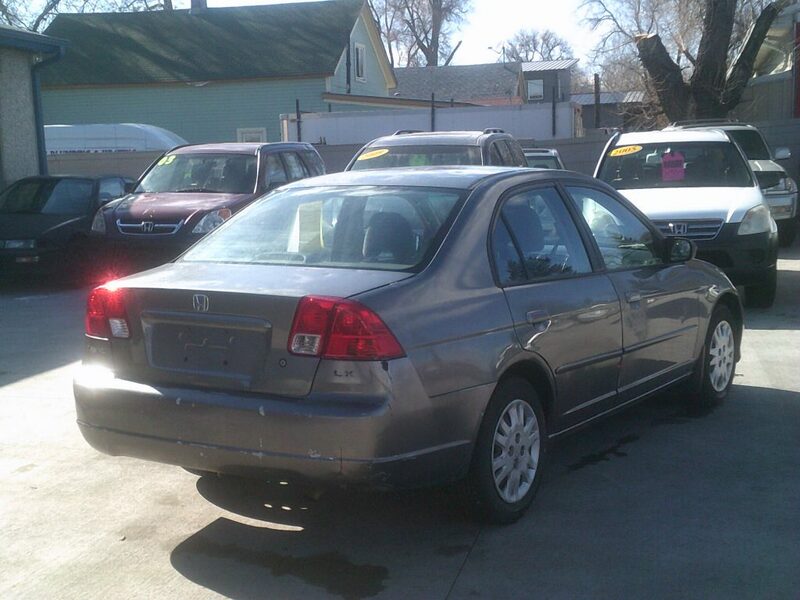 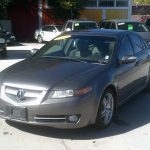 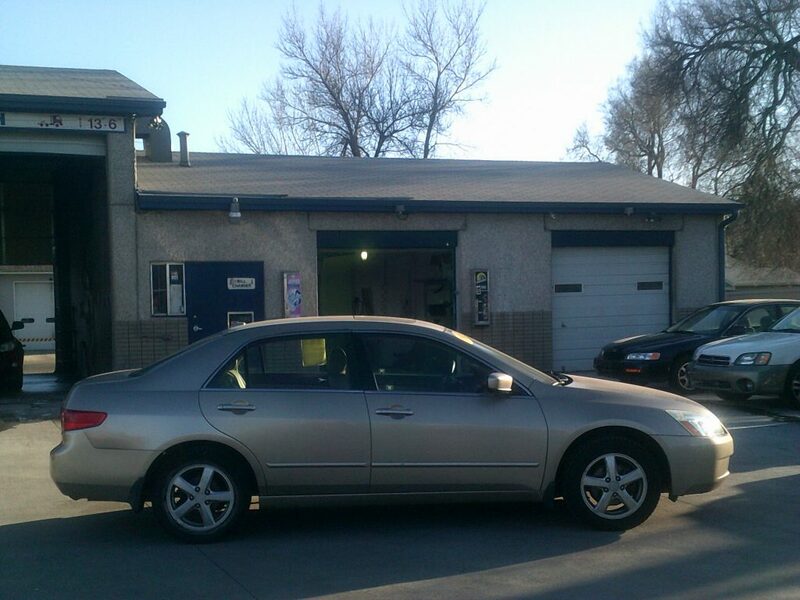 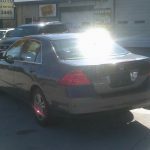 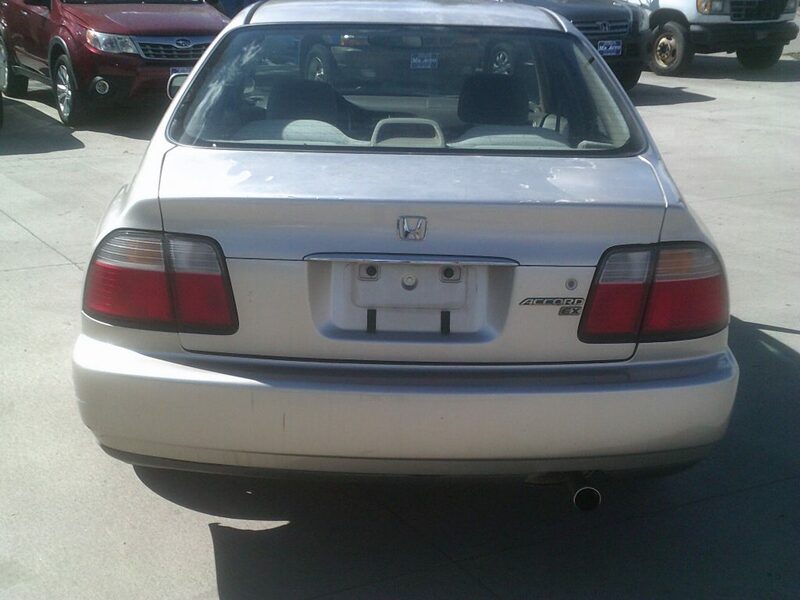 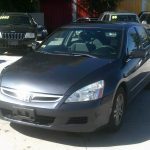 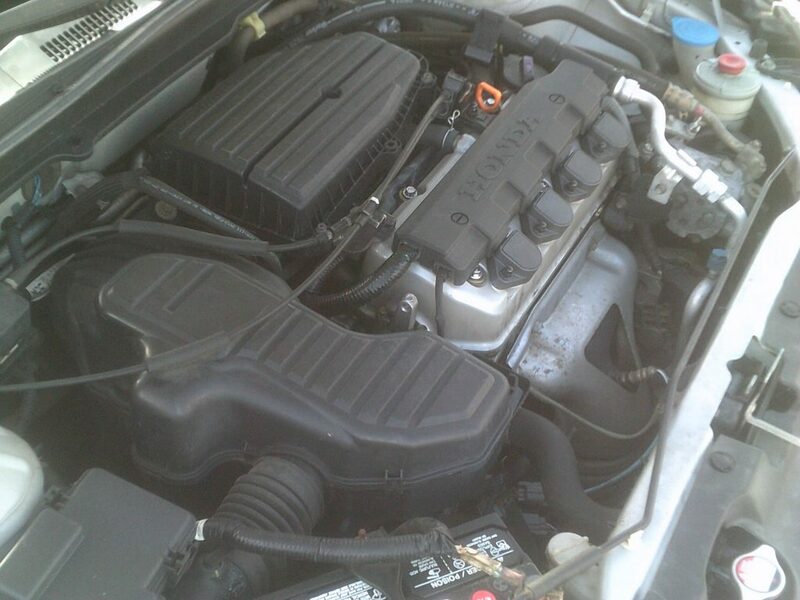 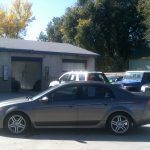 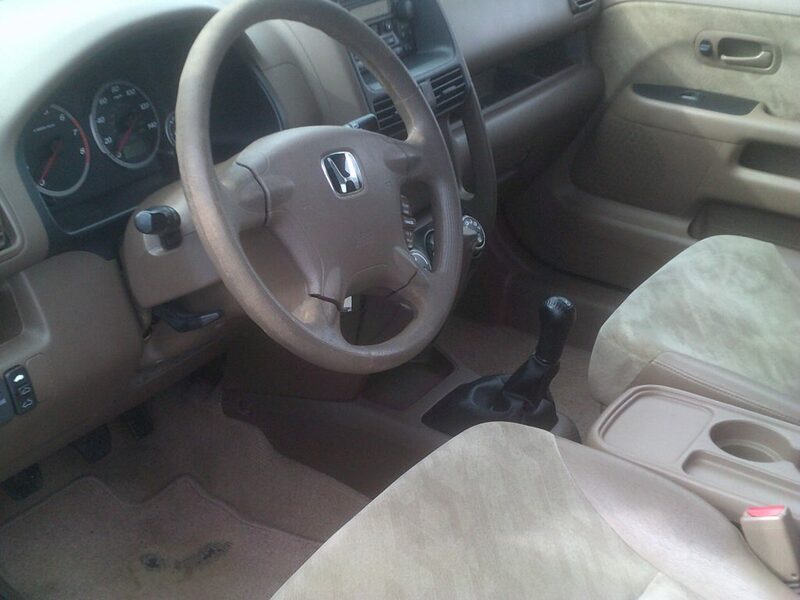 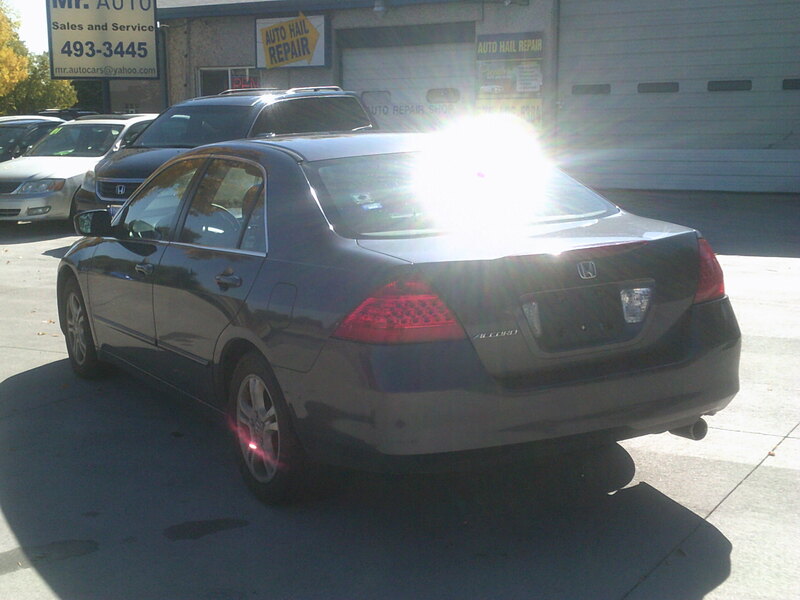 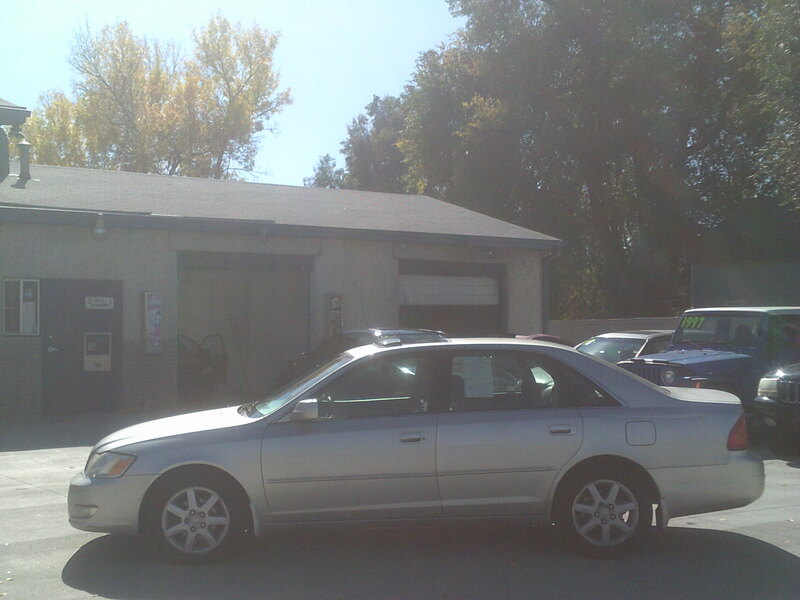 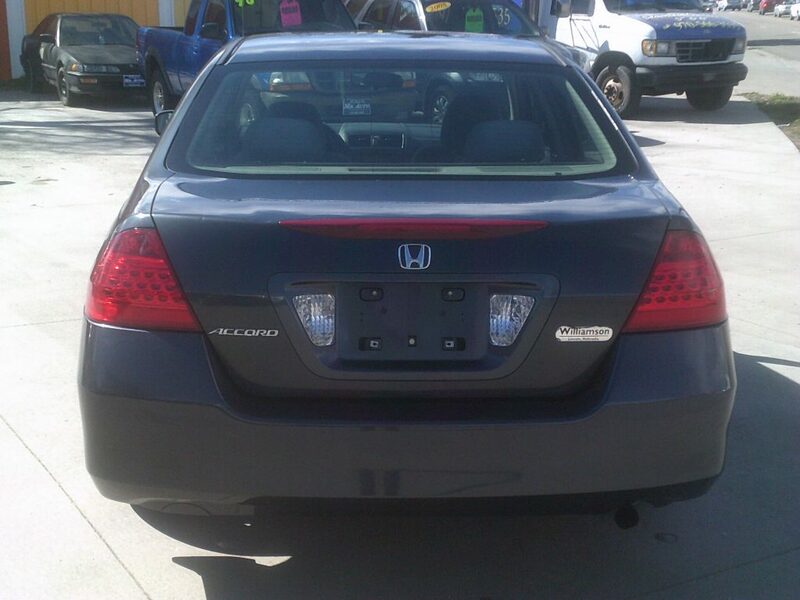 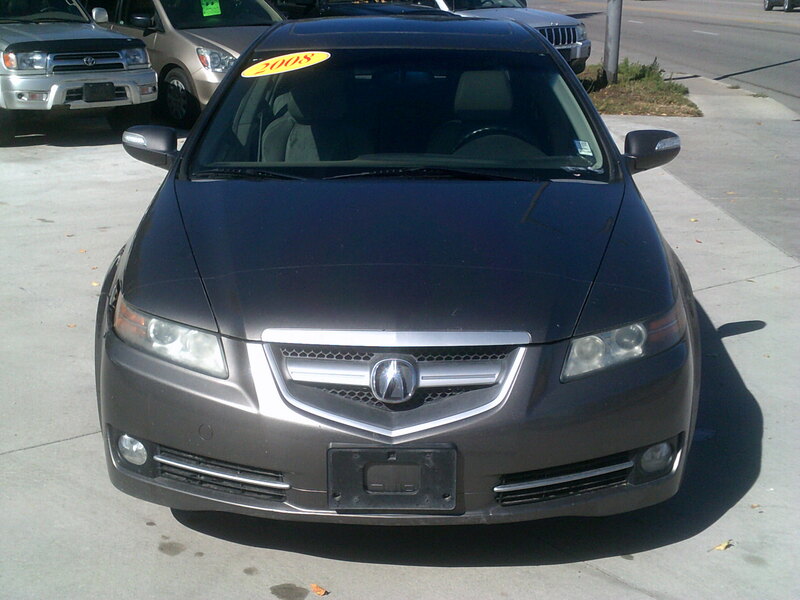 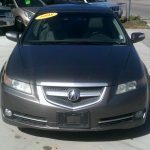 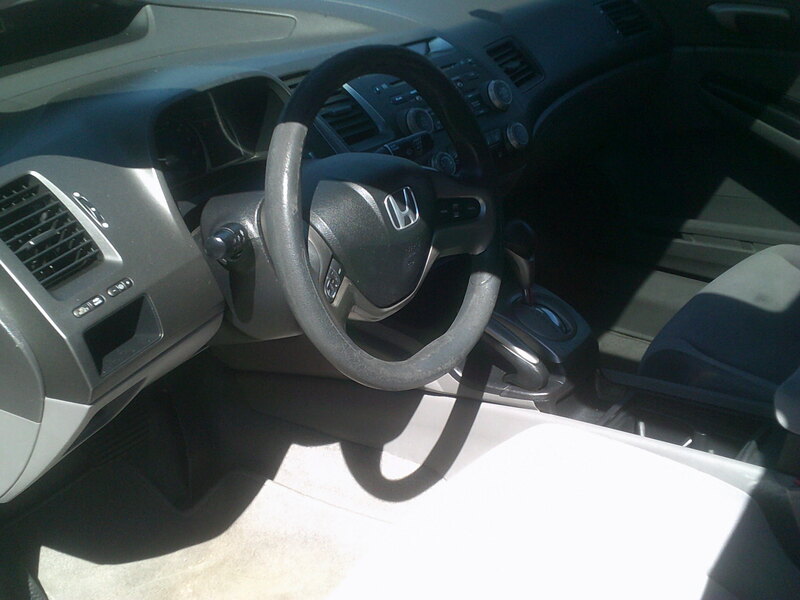 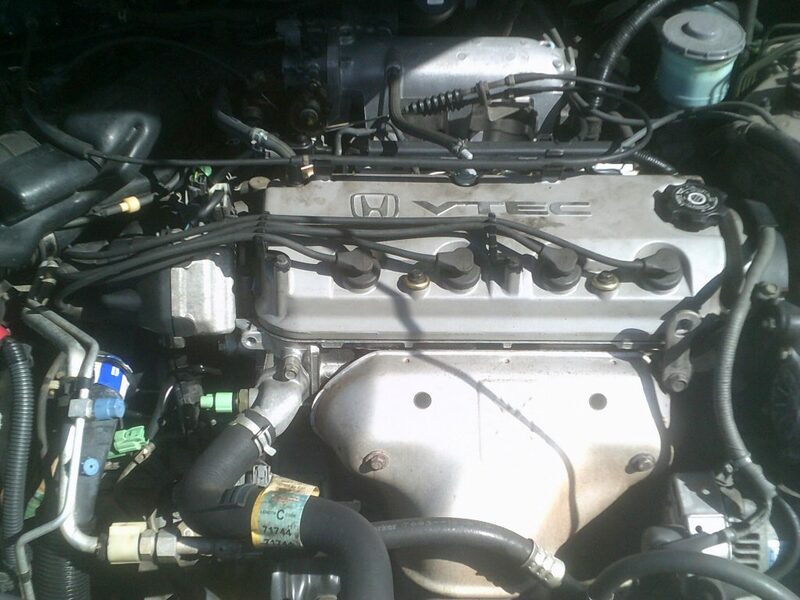 This Accord is priced $700 below the NADA book value. 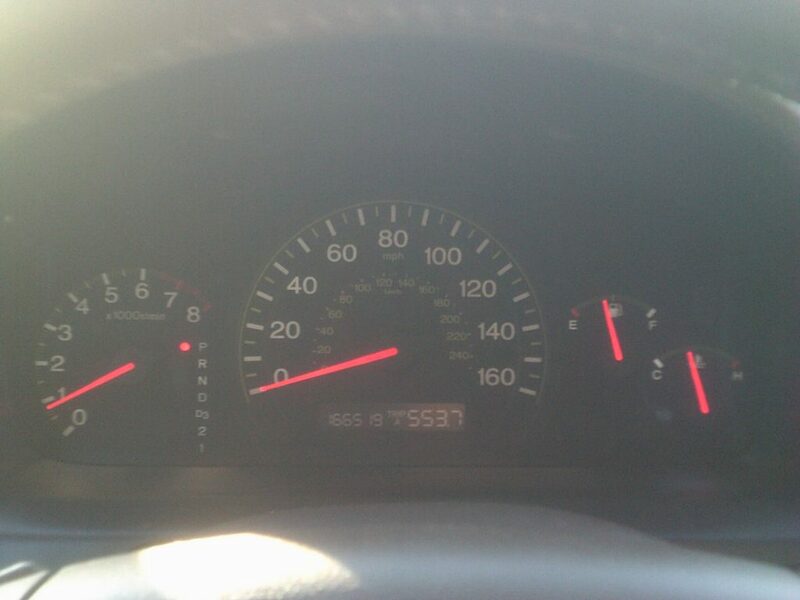 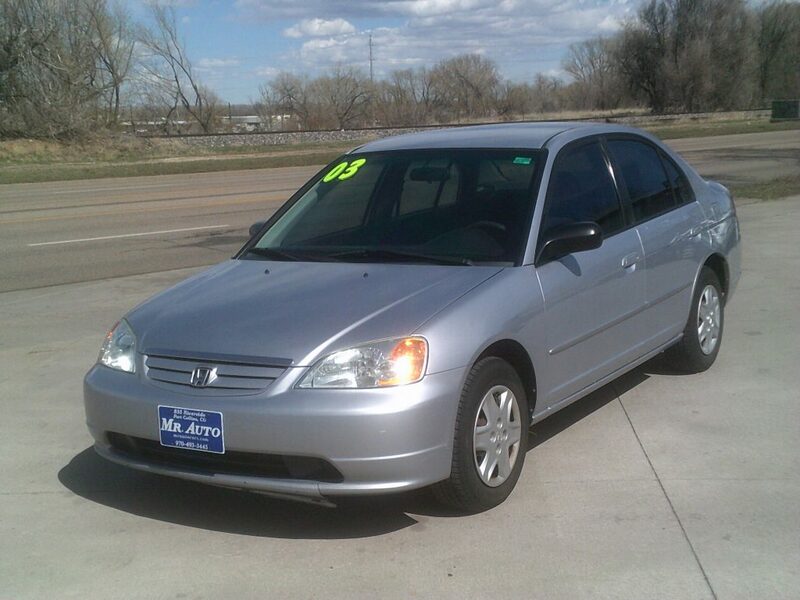 166K, Automatic, AC, Sunroof, CD Player. 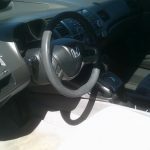 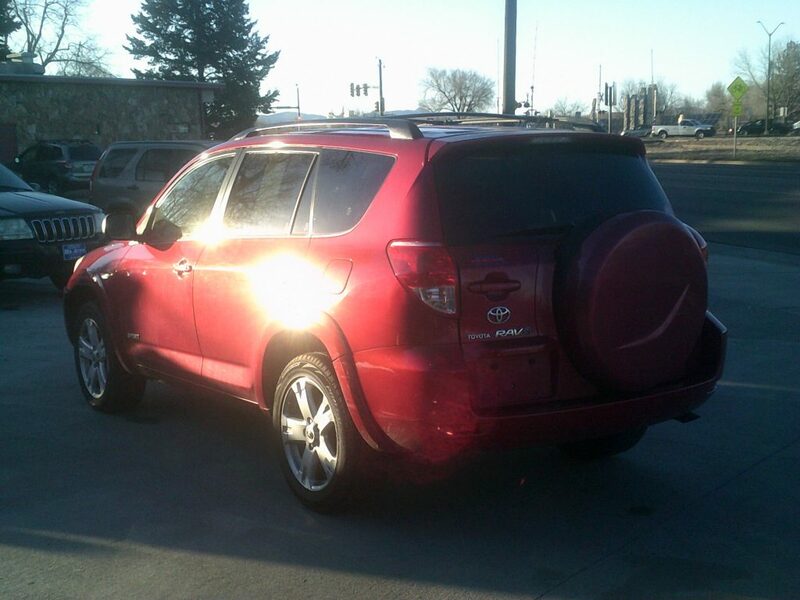 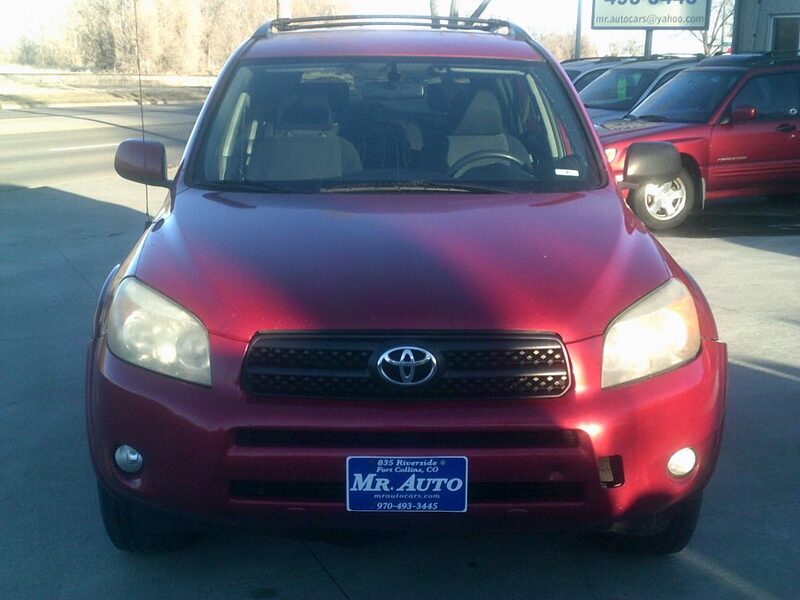 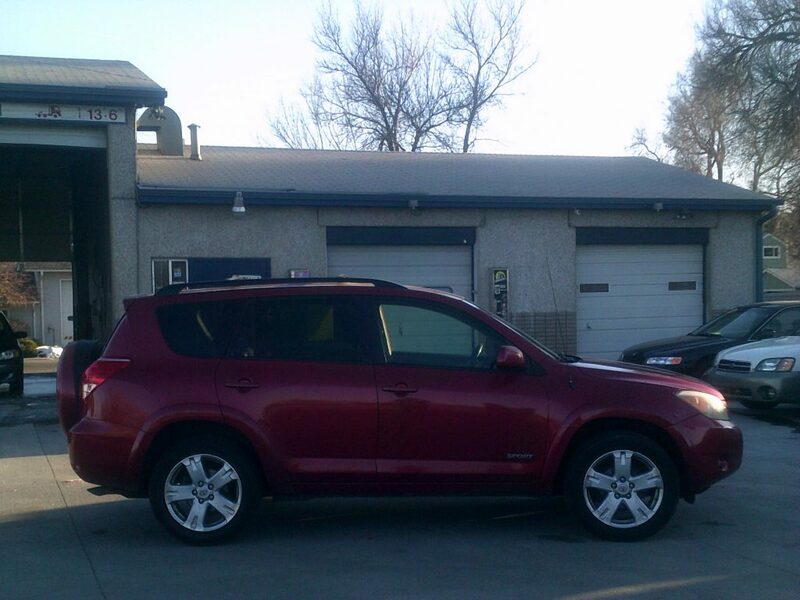 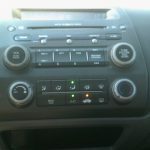 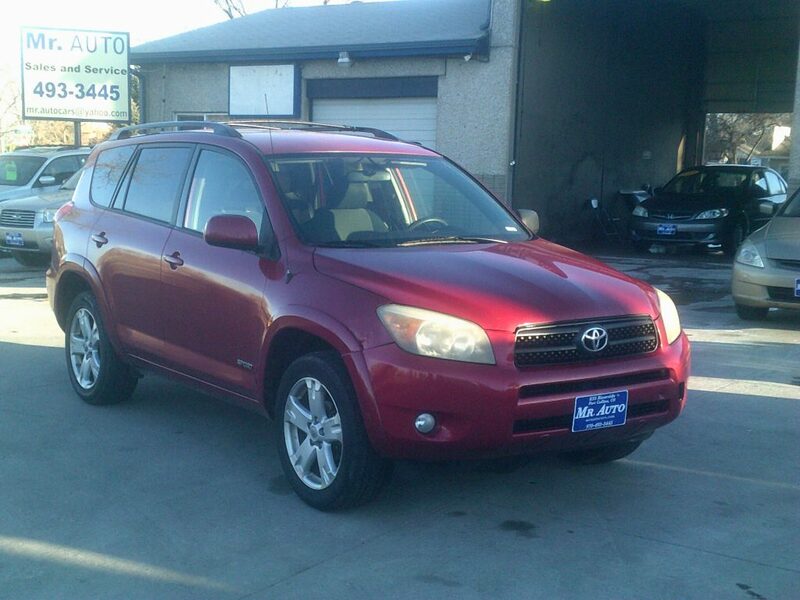 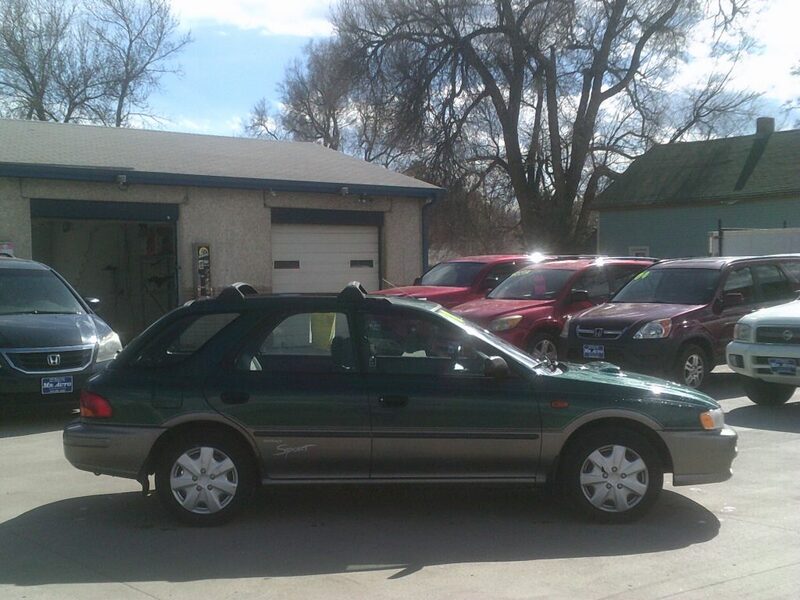 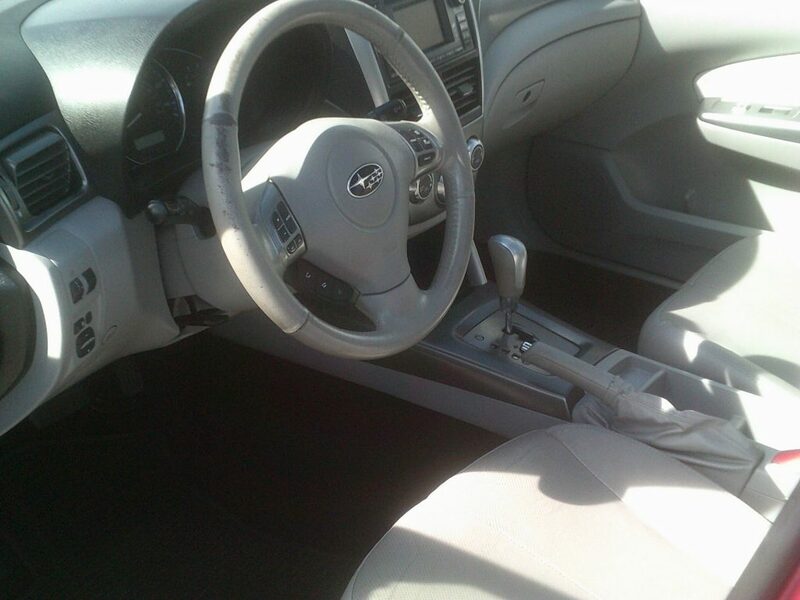 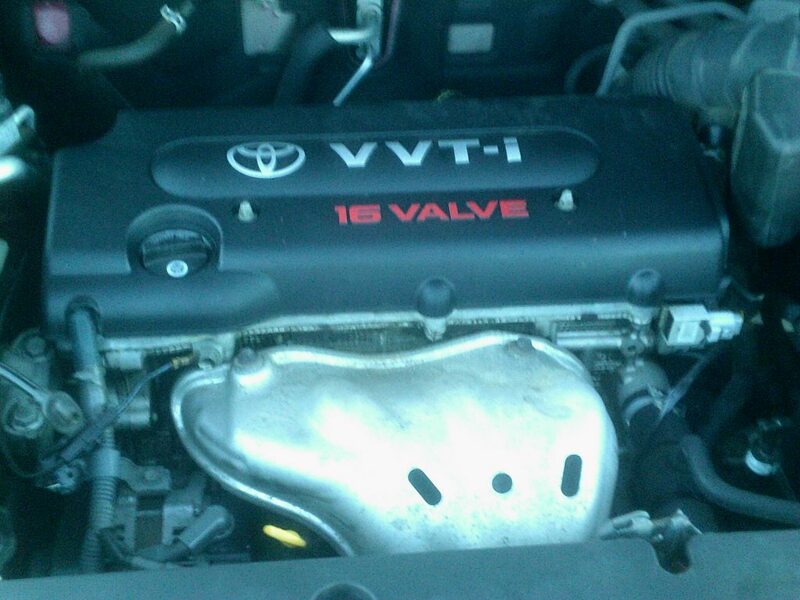 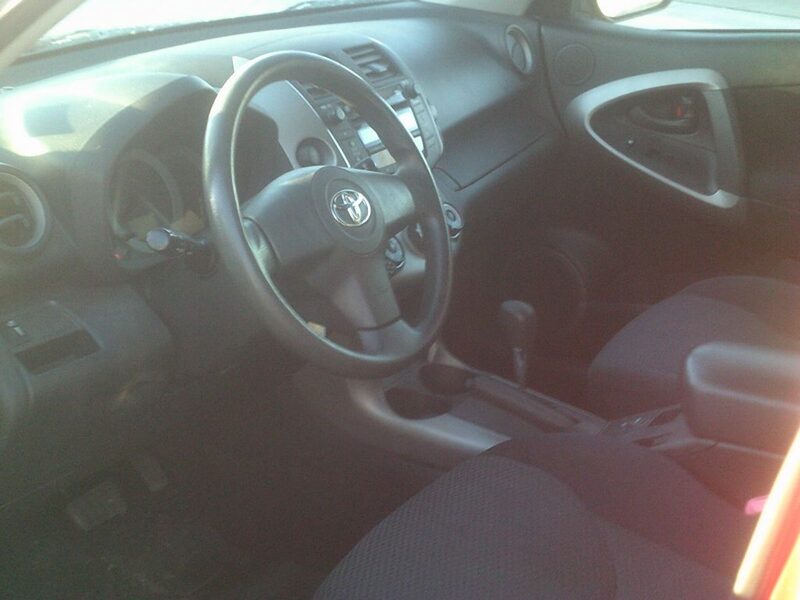 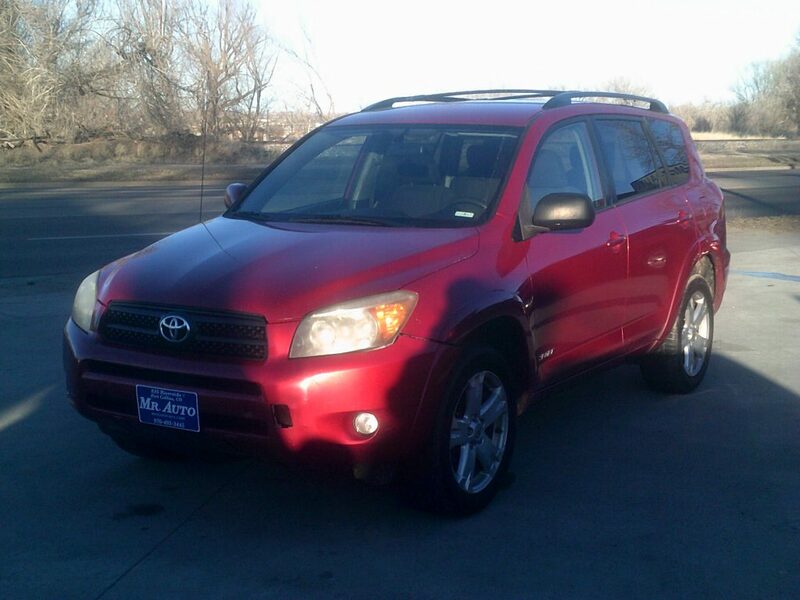 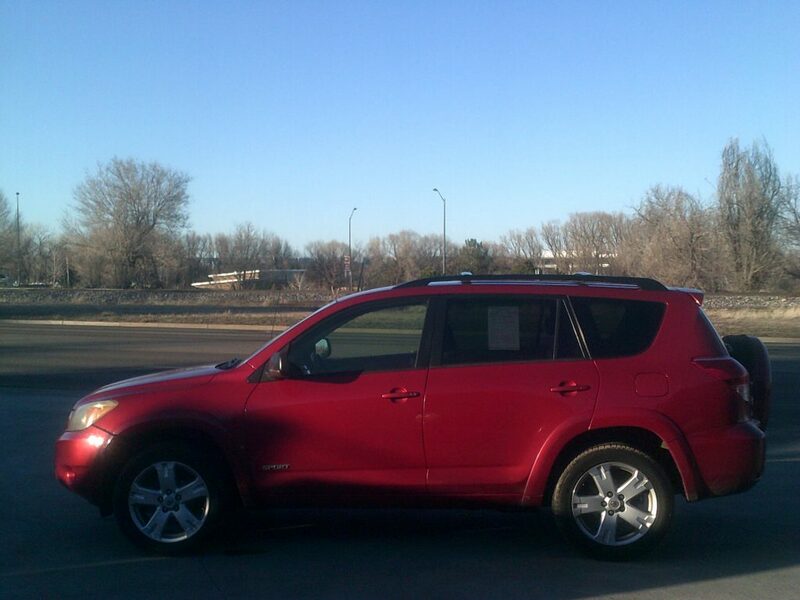 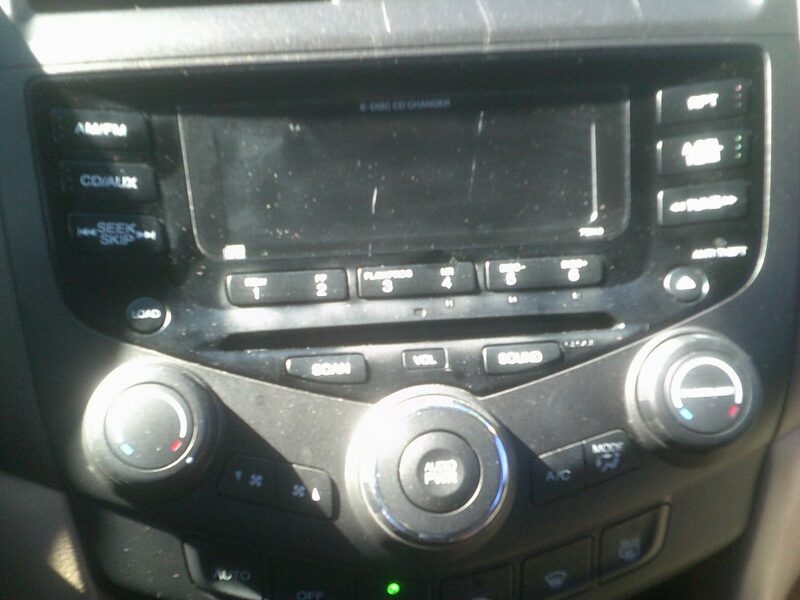 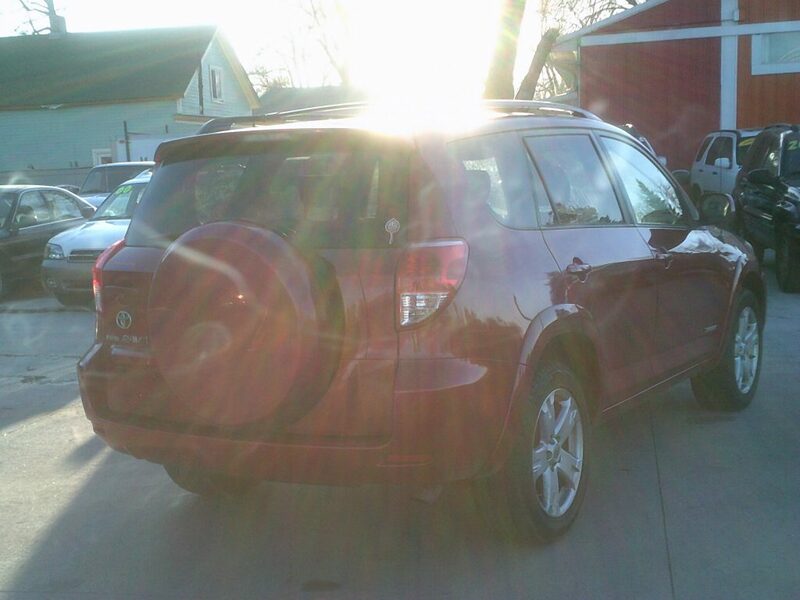 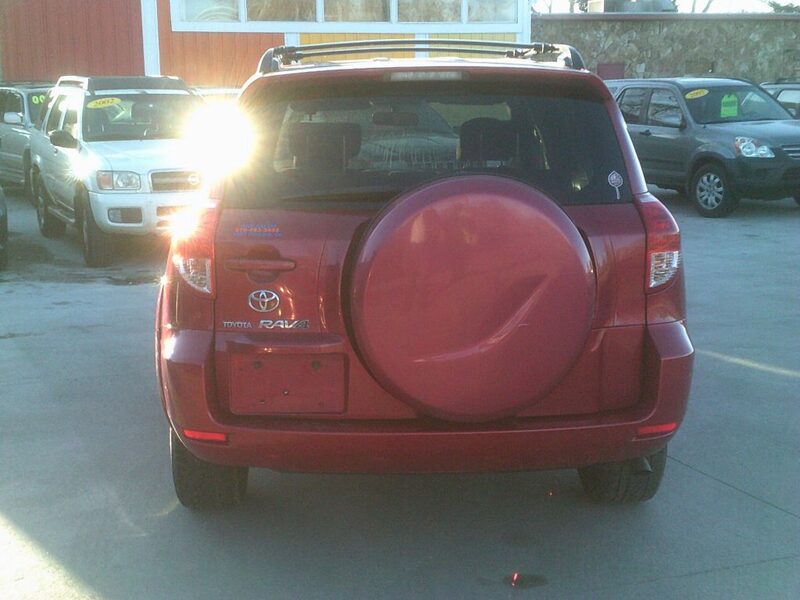 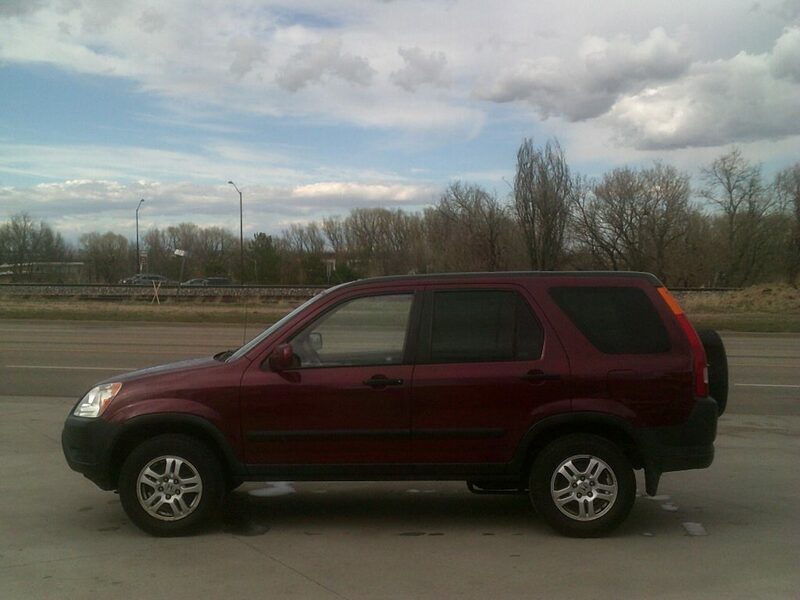 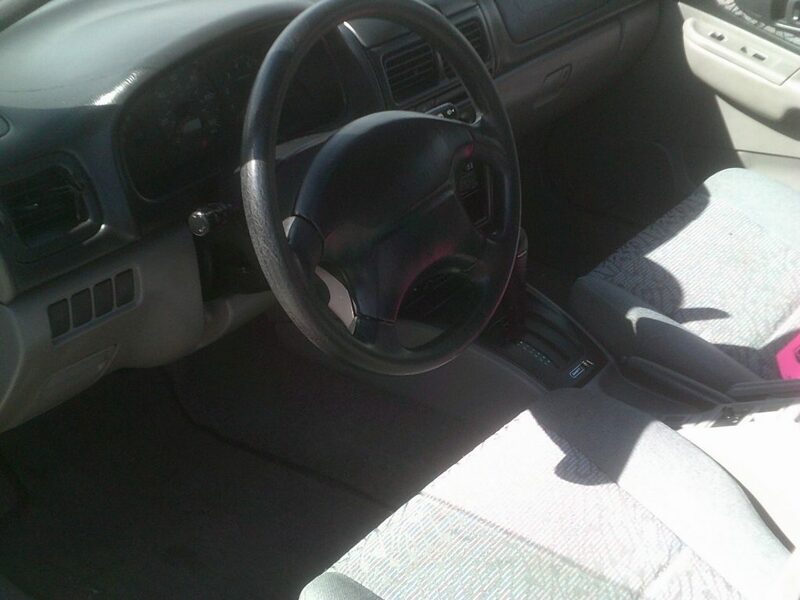 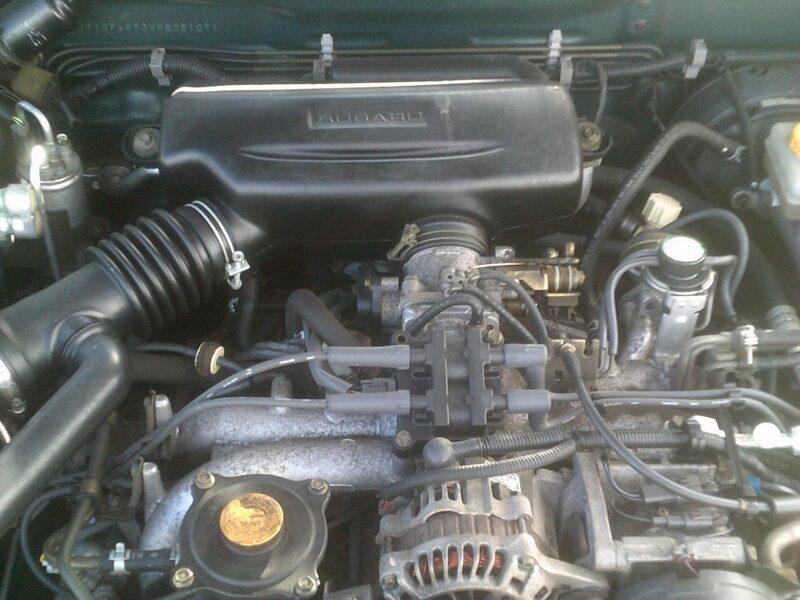 This front wheel drive Rav4 is priced $2400 below the NADA book value. 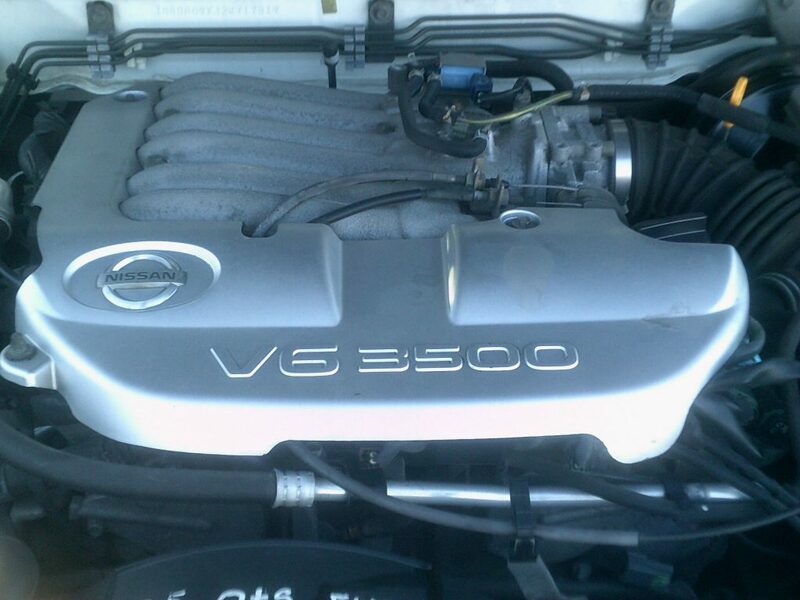 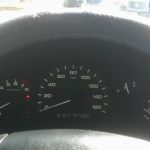 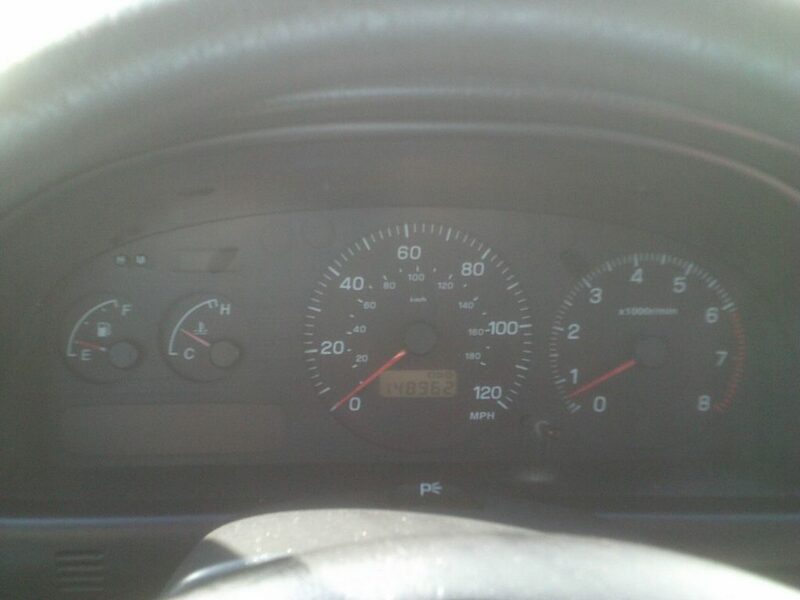 205K, Automatic, AC , CD Player. 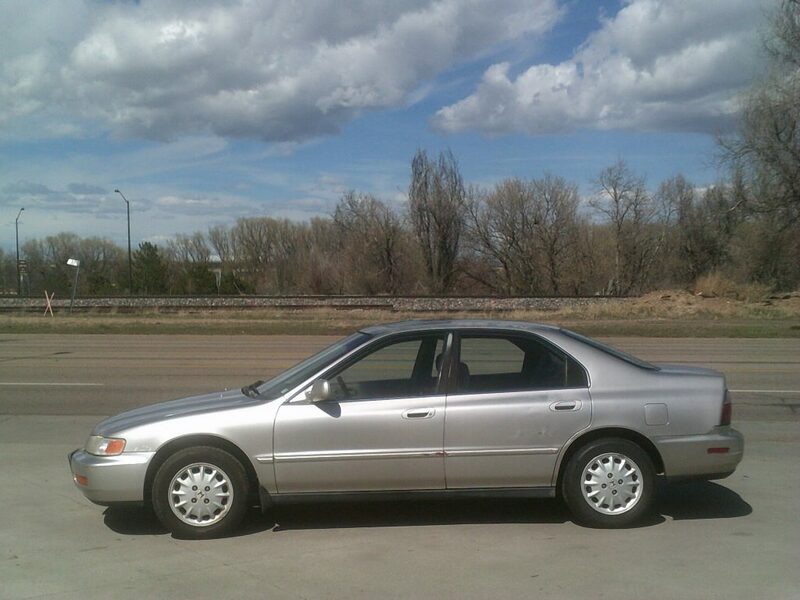 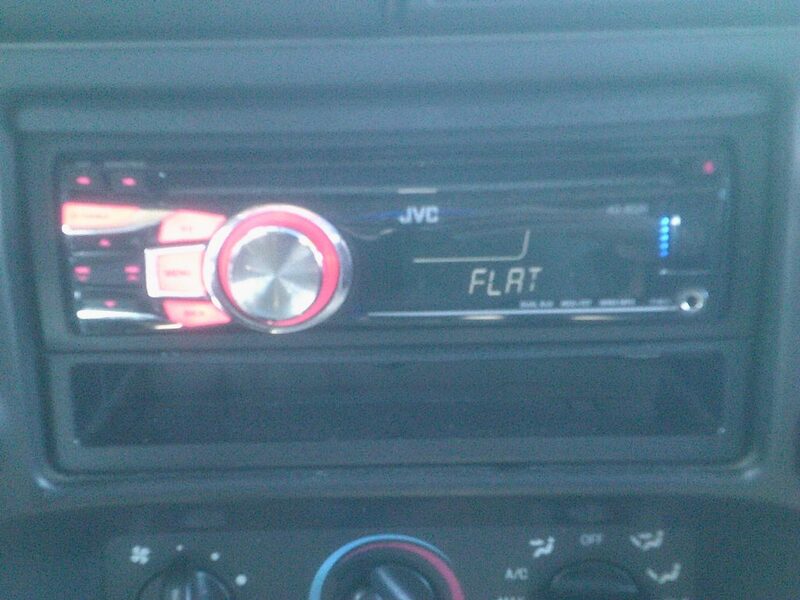 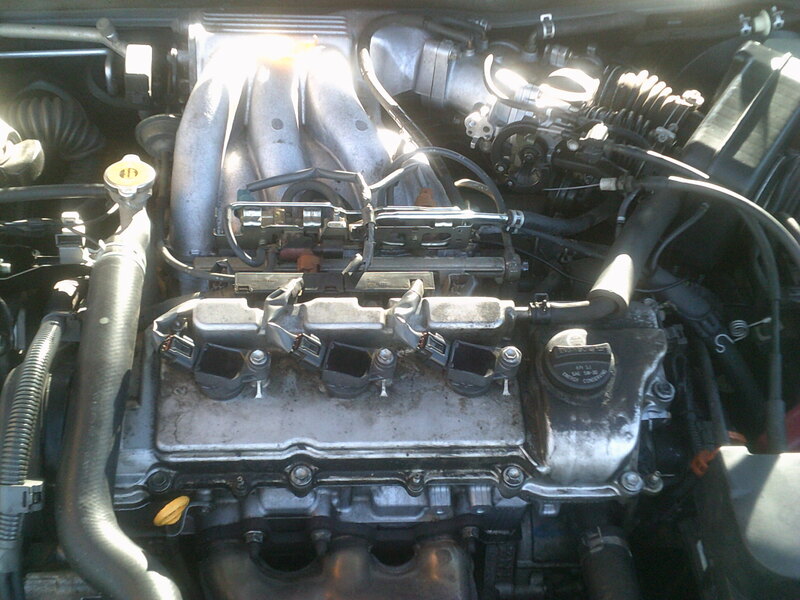 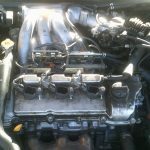 This Accord runs excellent and drives great. 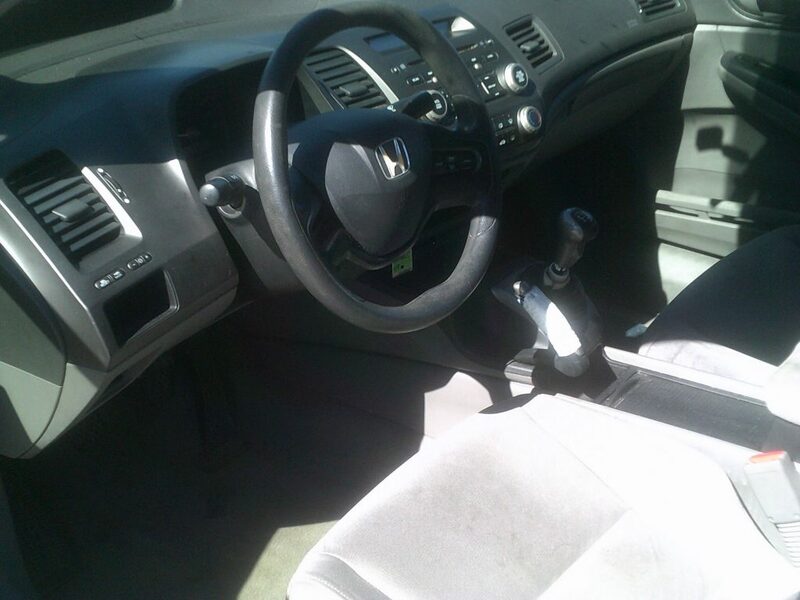 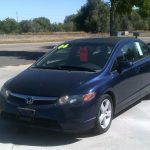 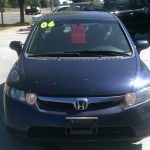 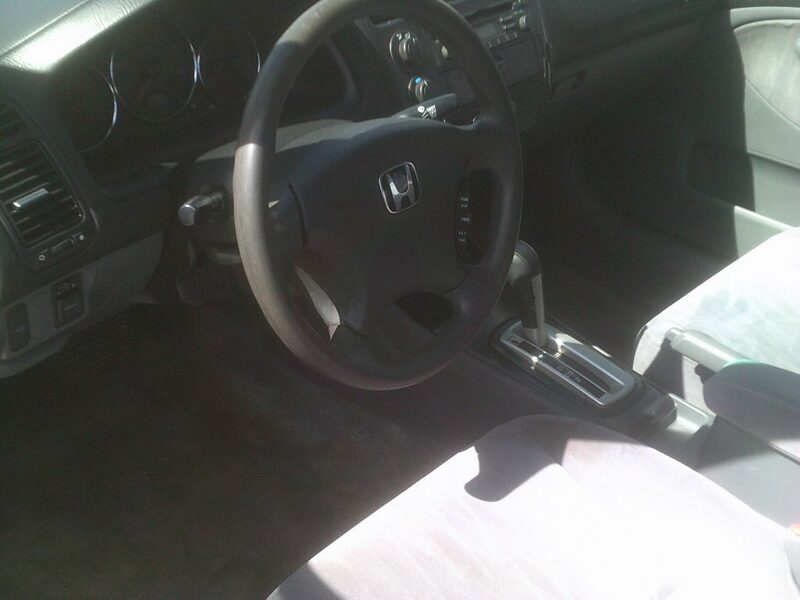 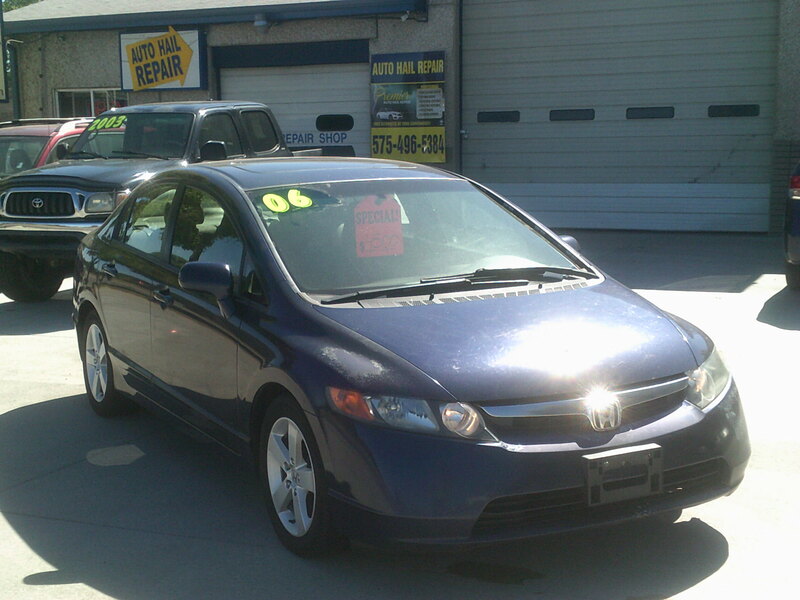 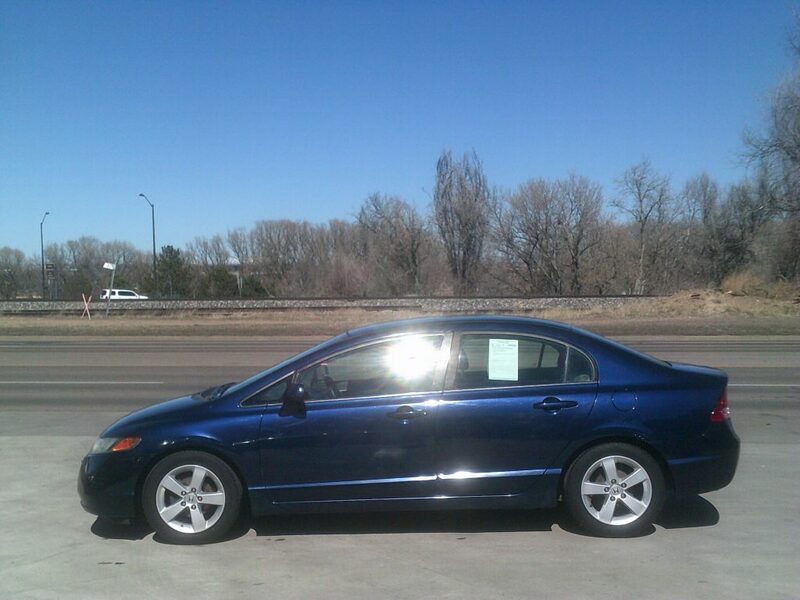 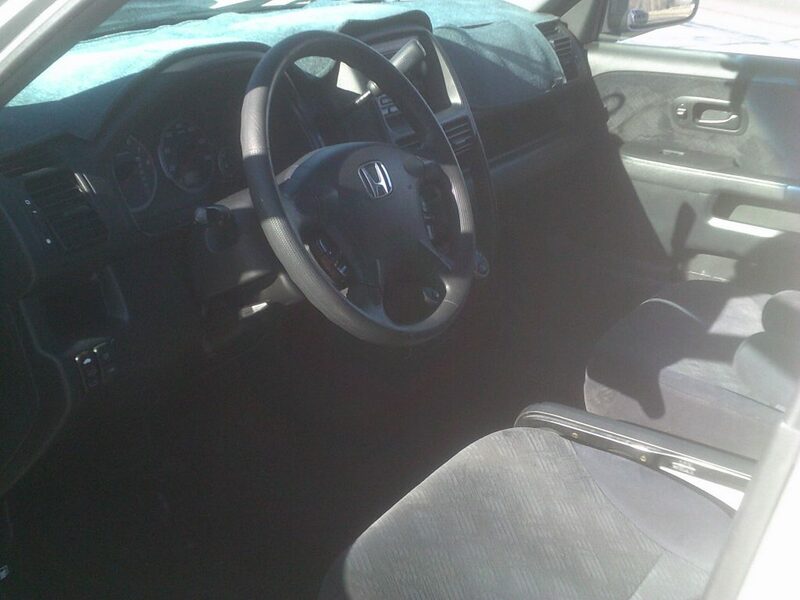 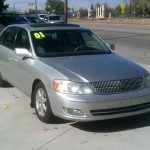 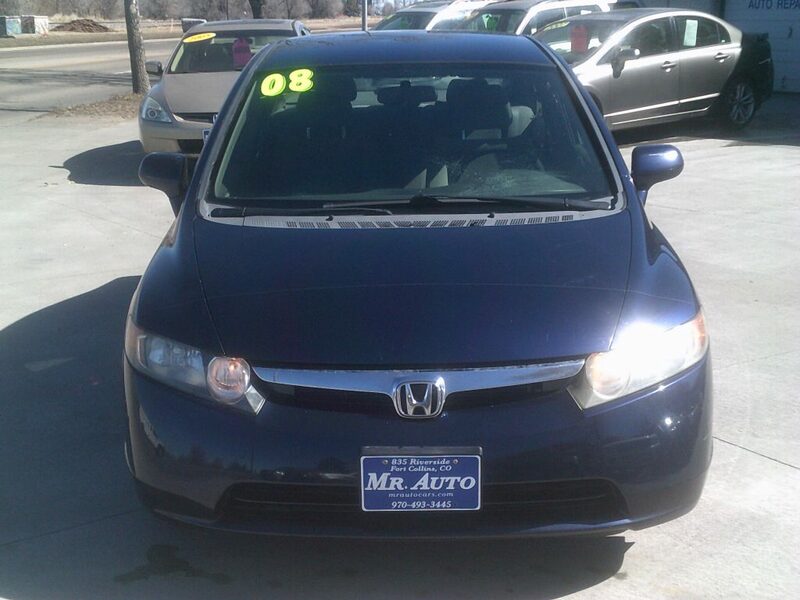 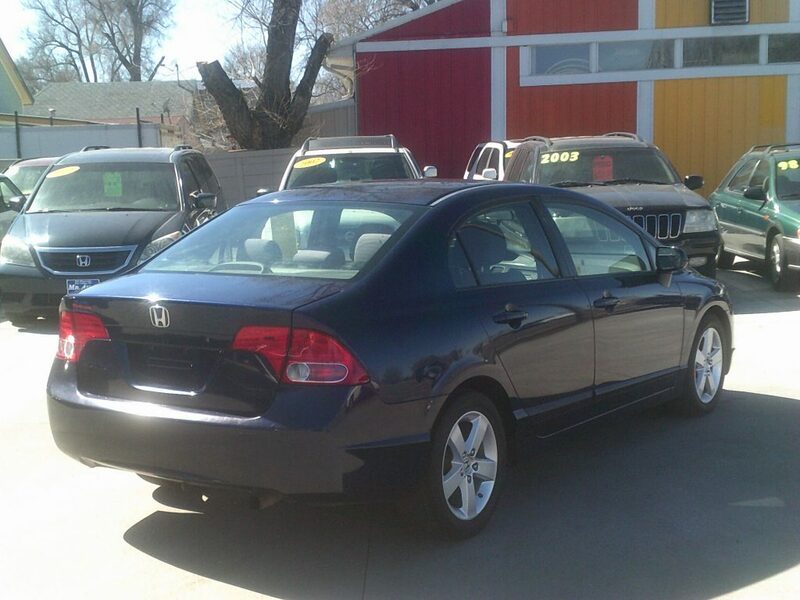 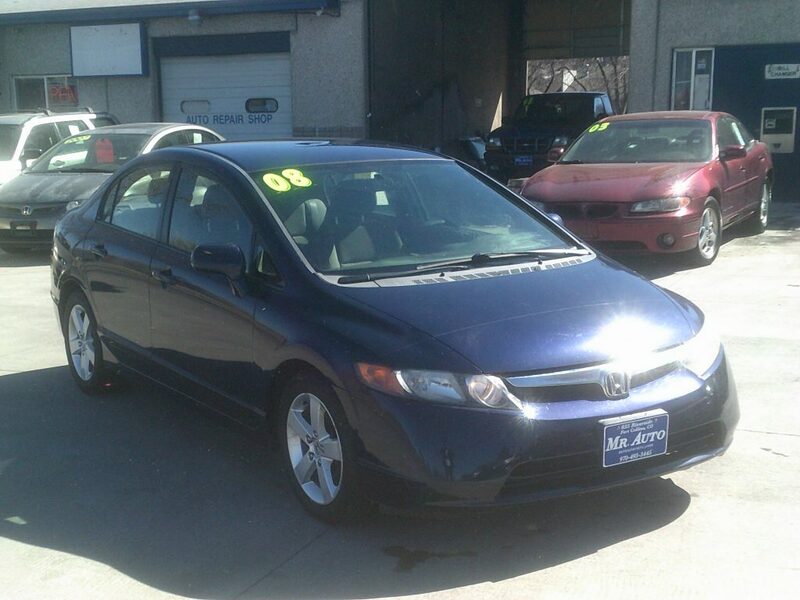 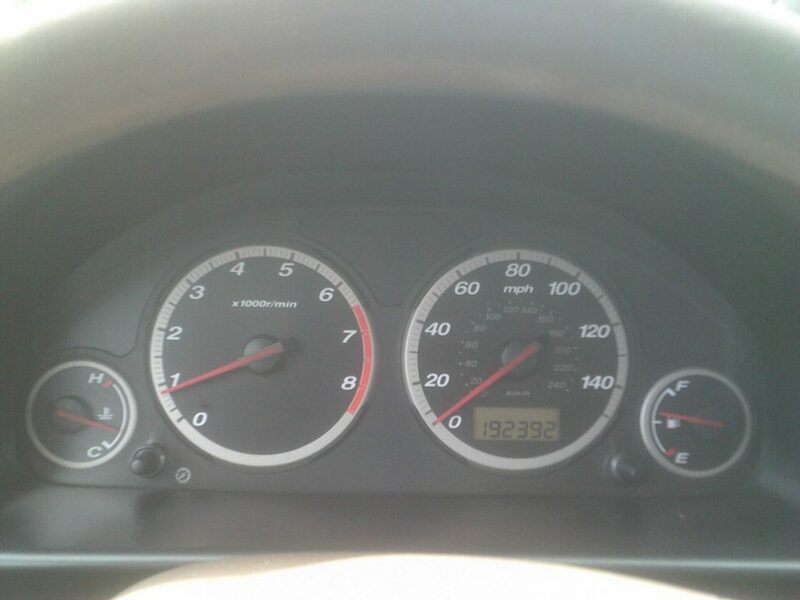 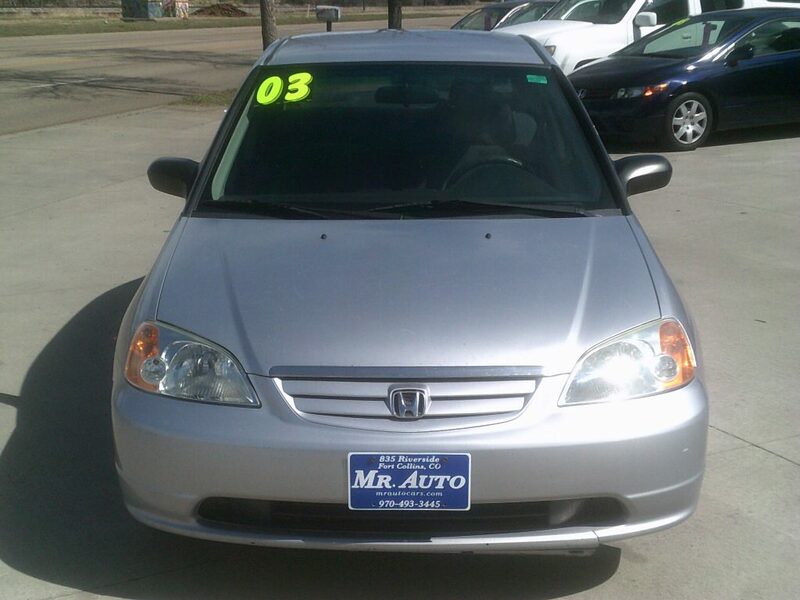 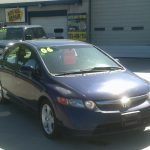 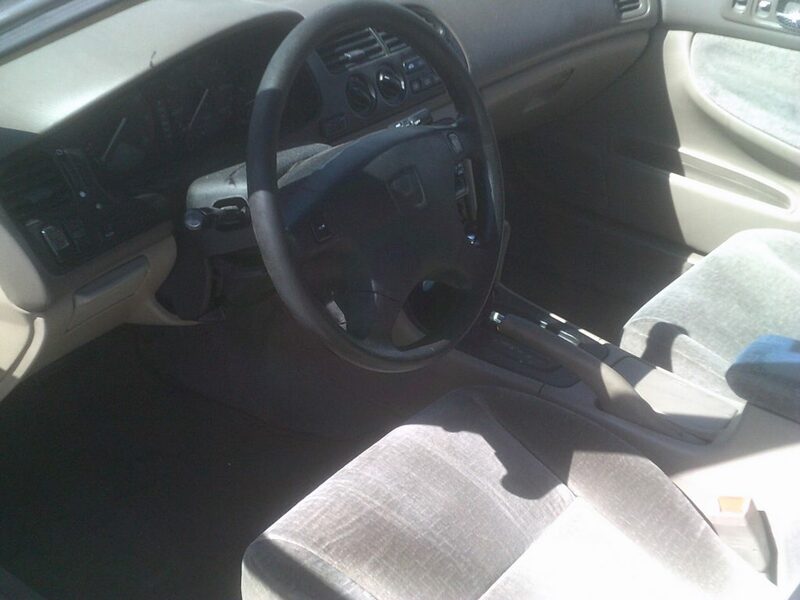 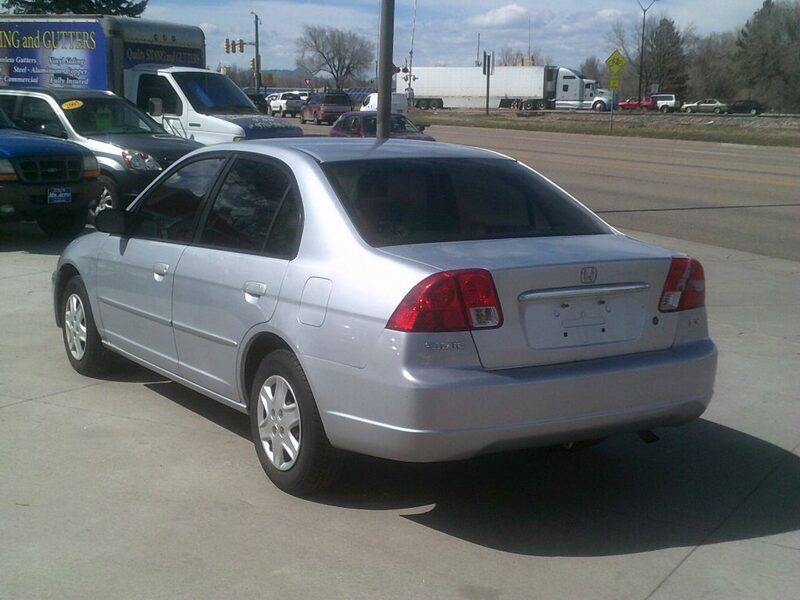 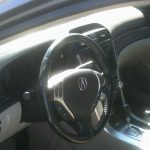 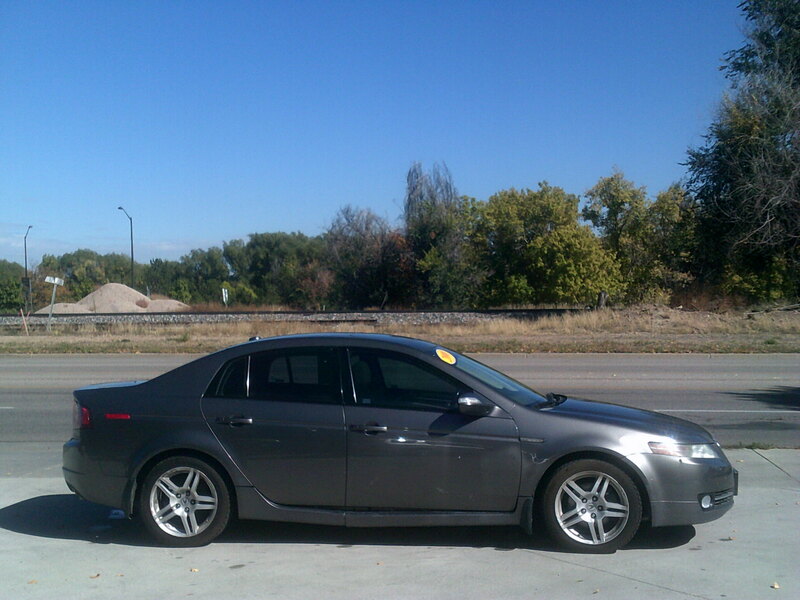 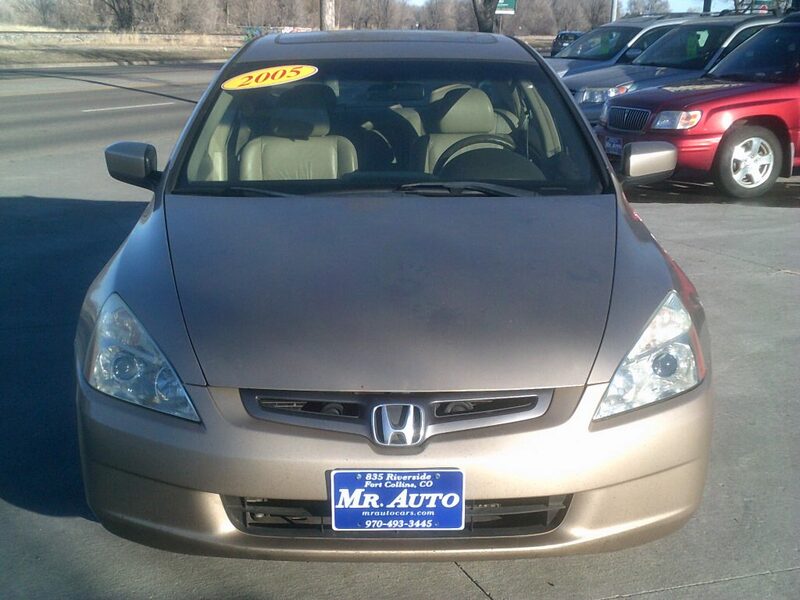 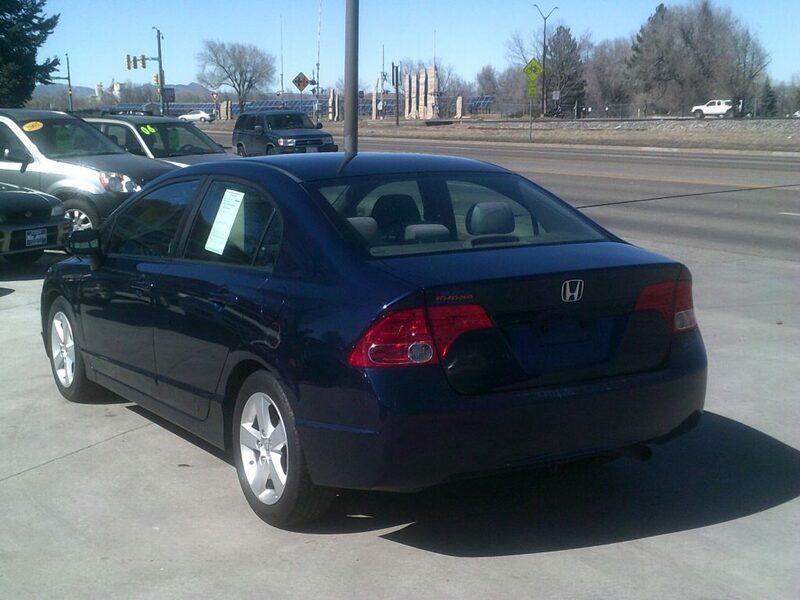 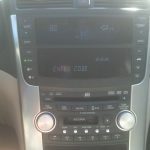 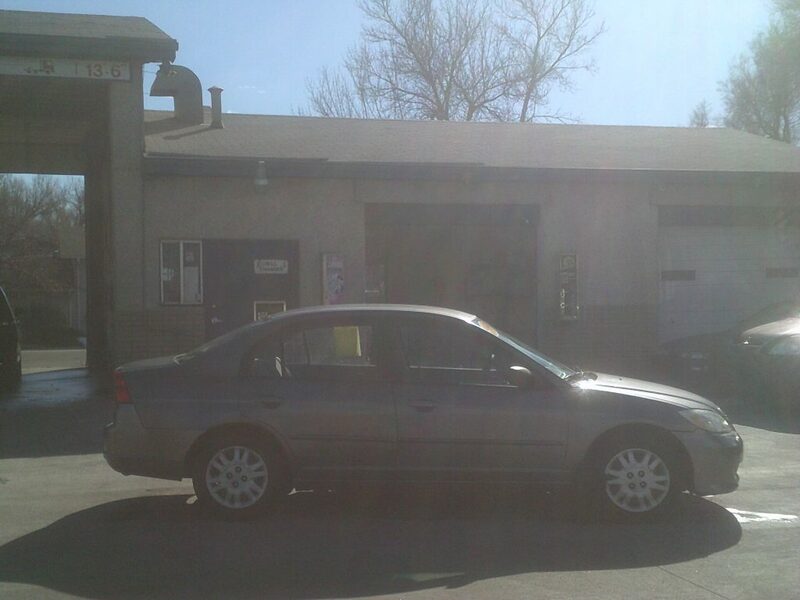 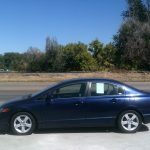 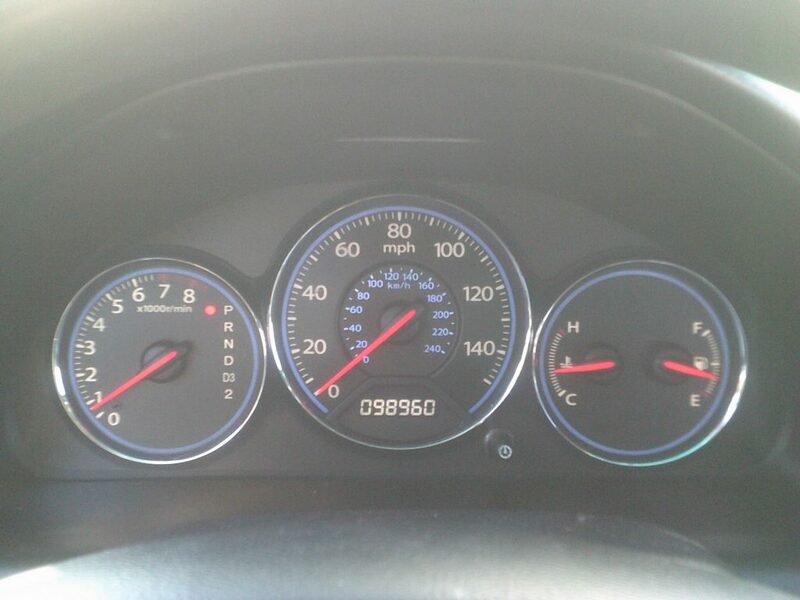 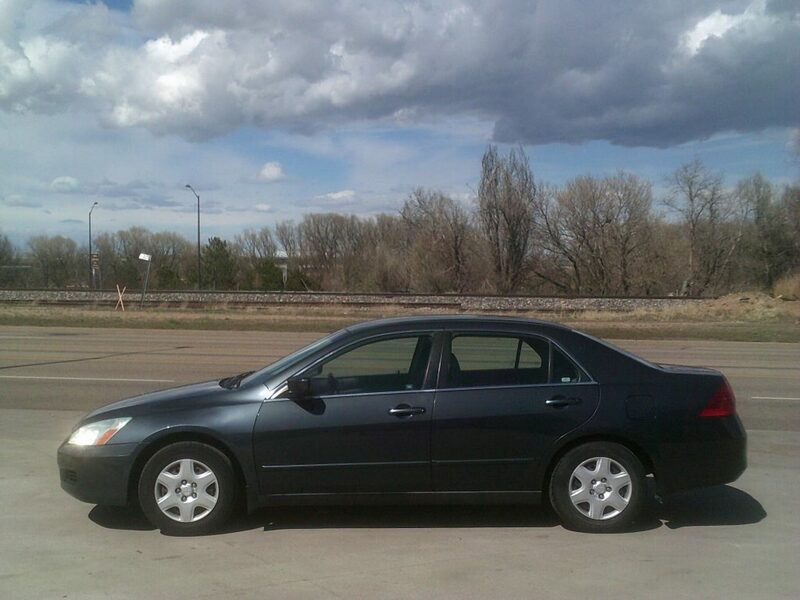 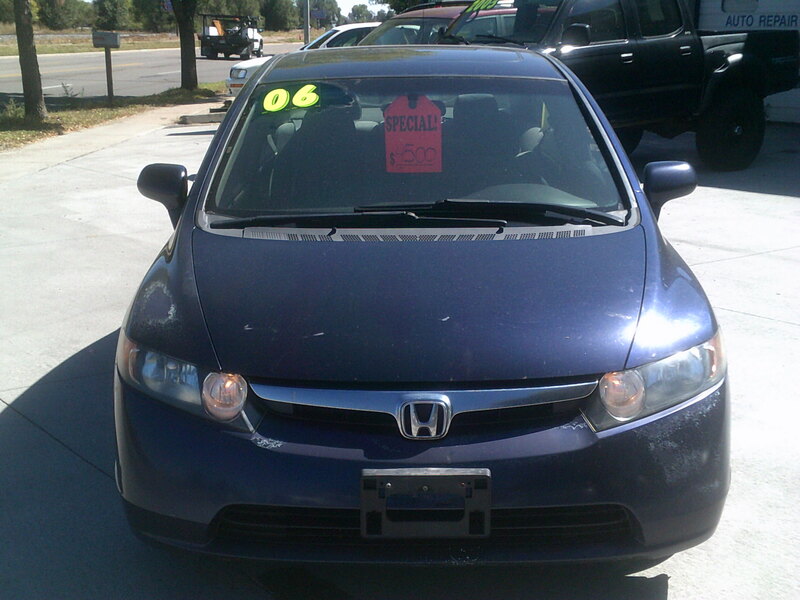 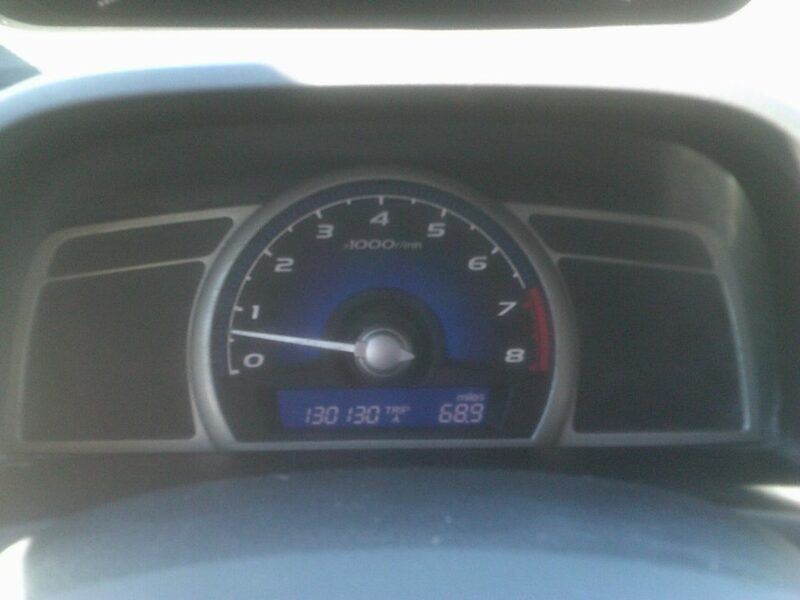 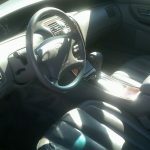 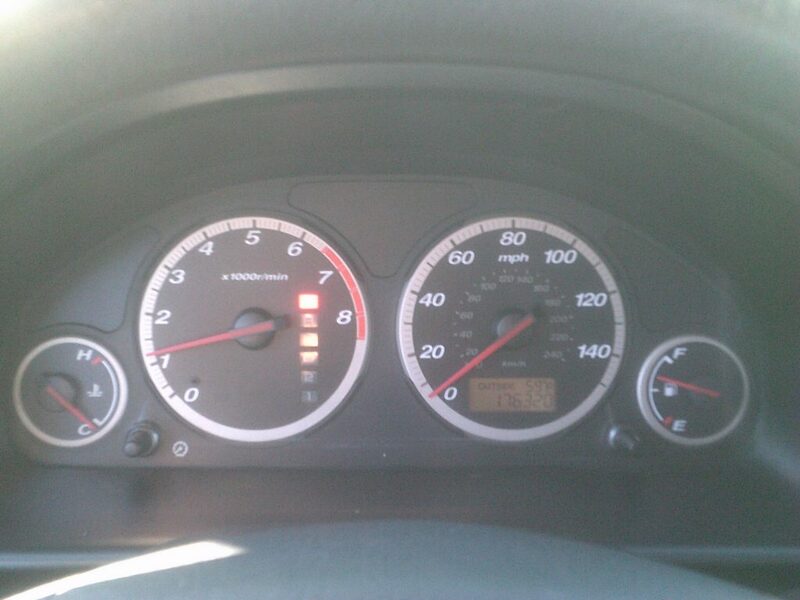 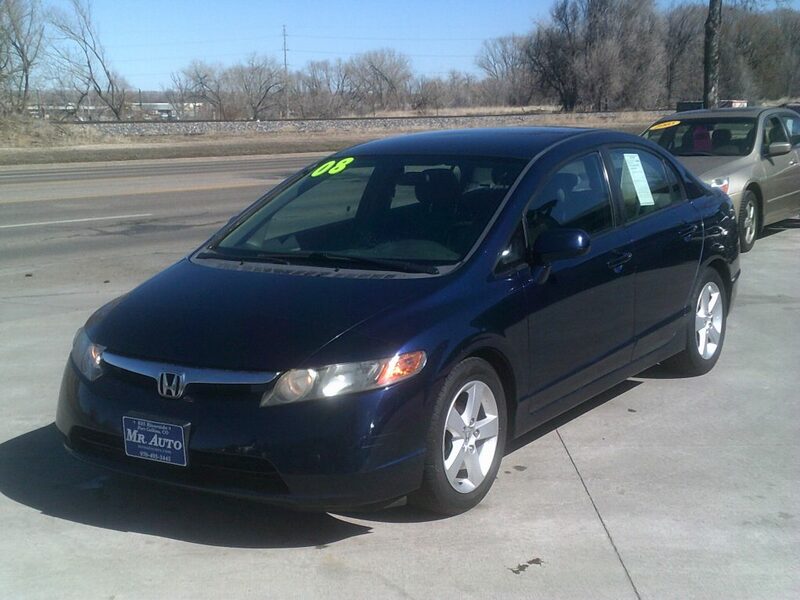 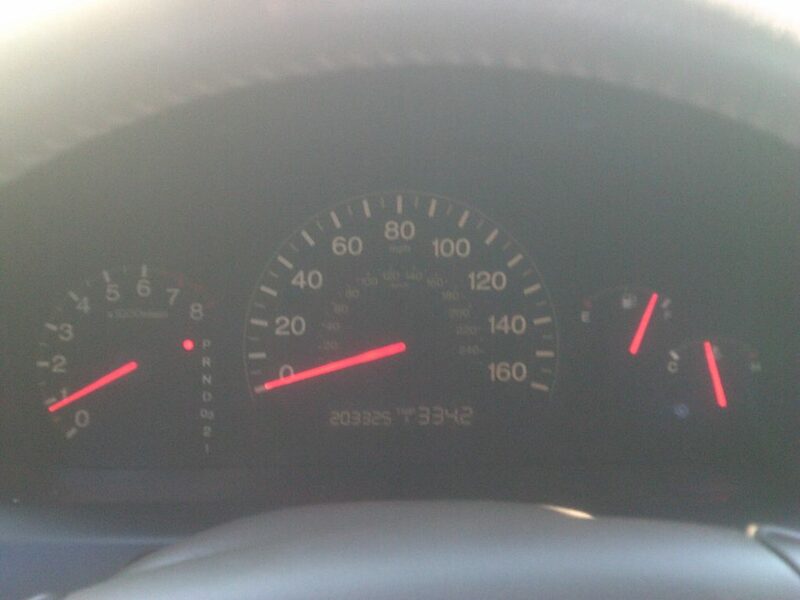 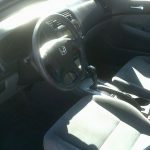 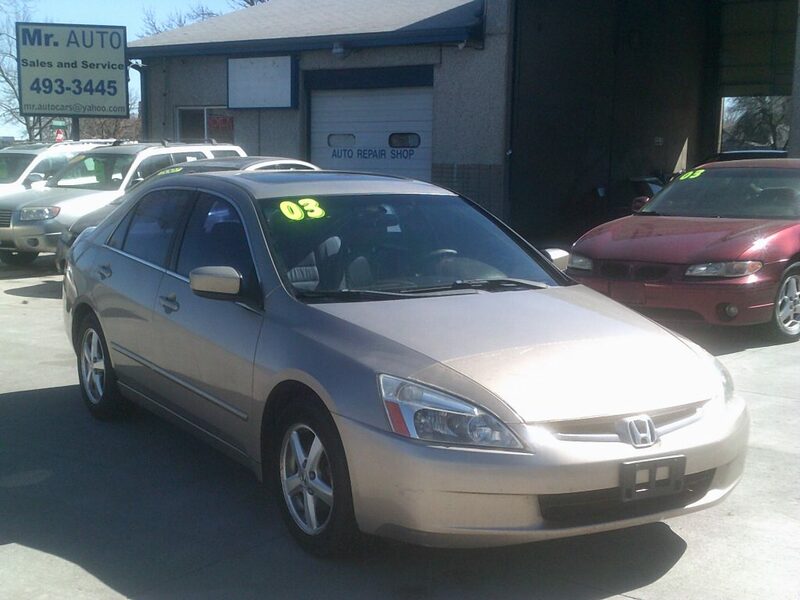 203K, Automatic, AC, CD Player, Sunroof. 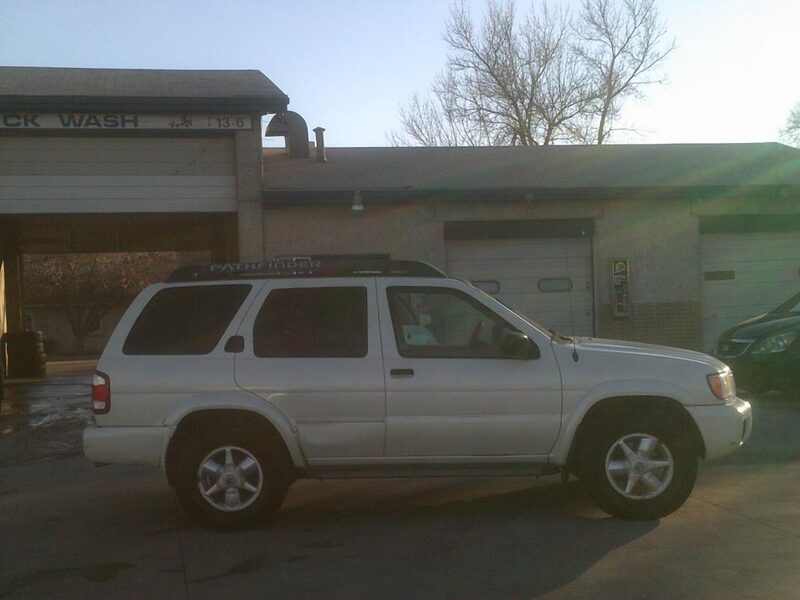 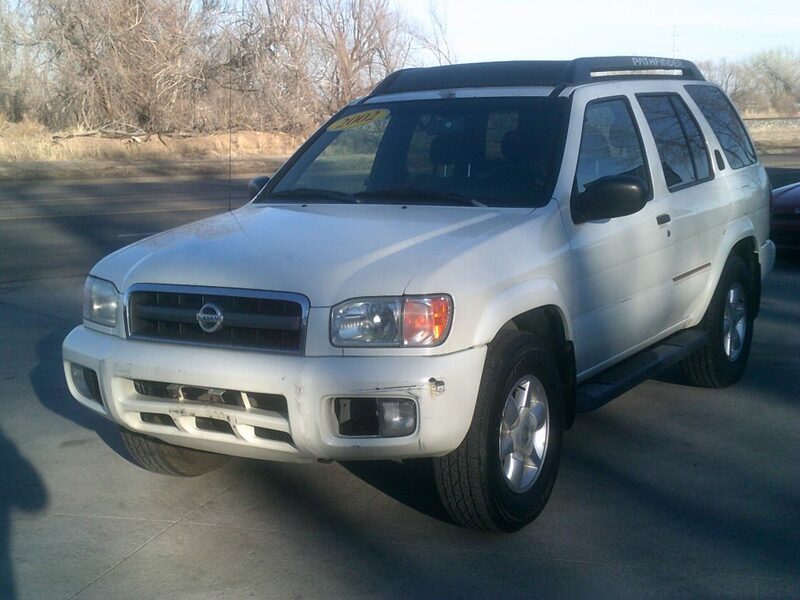 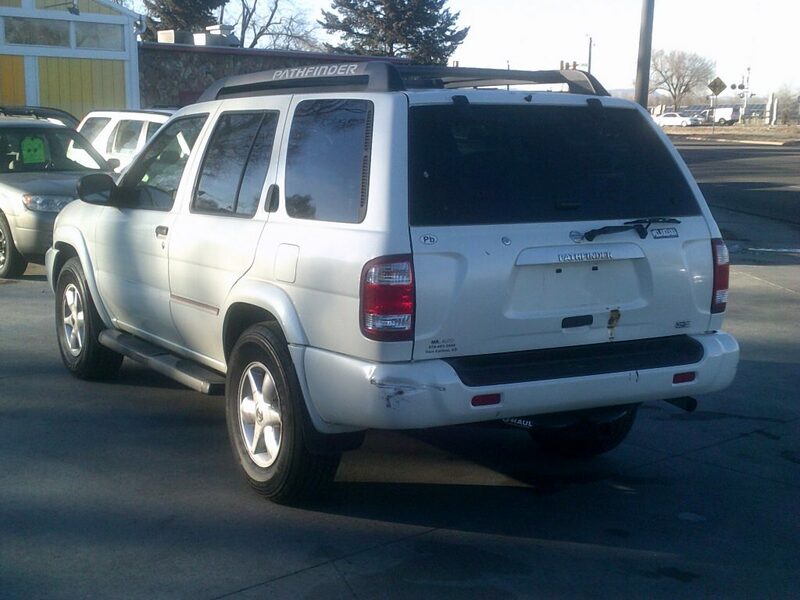 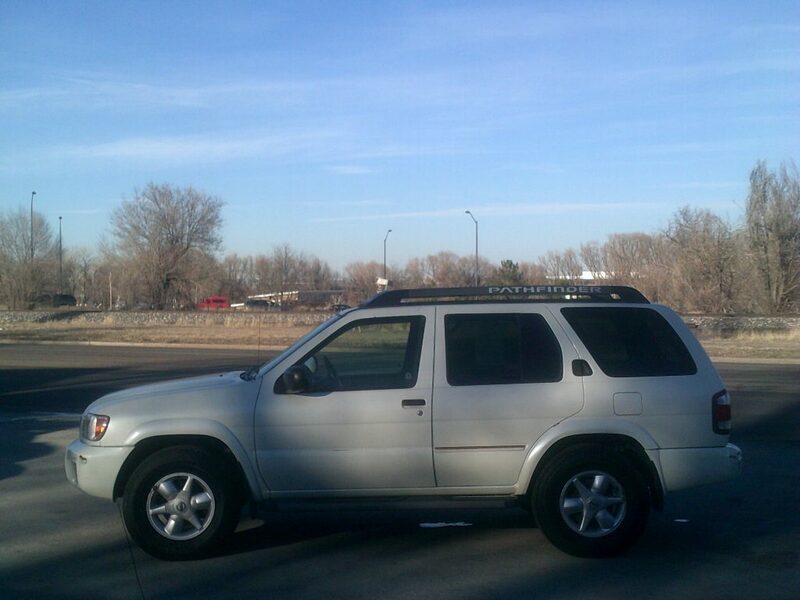 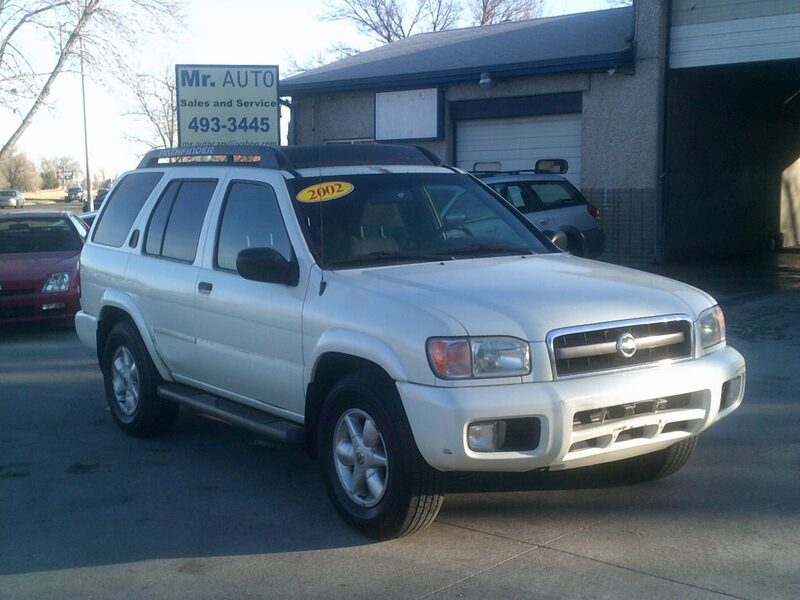 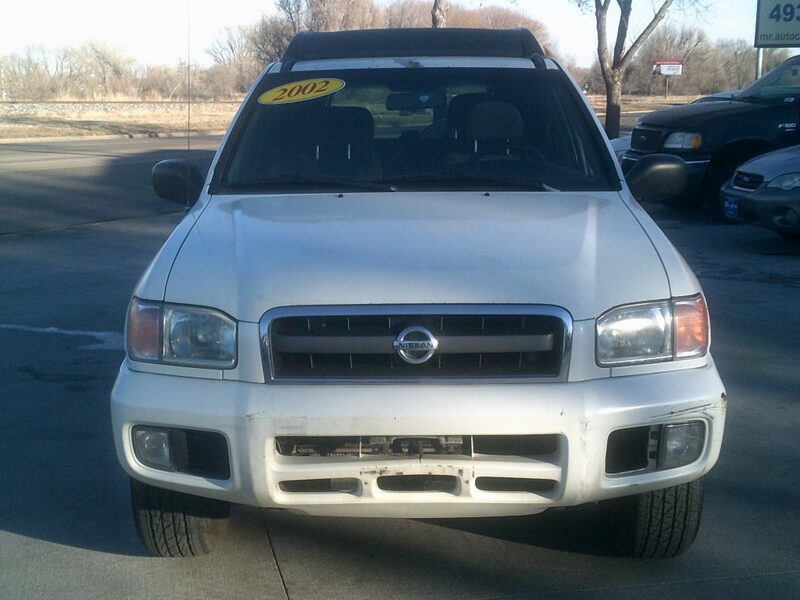 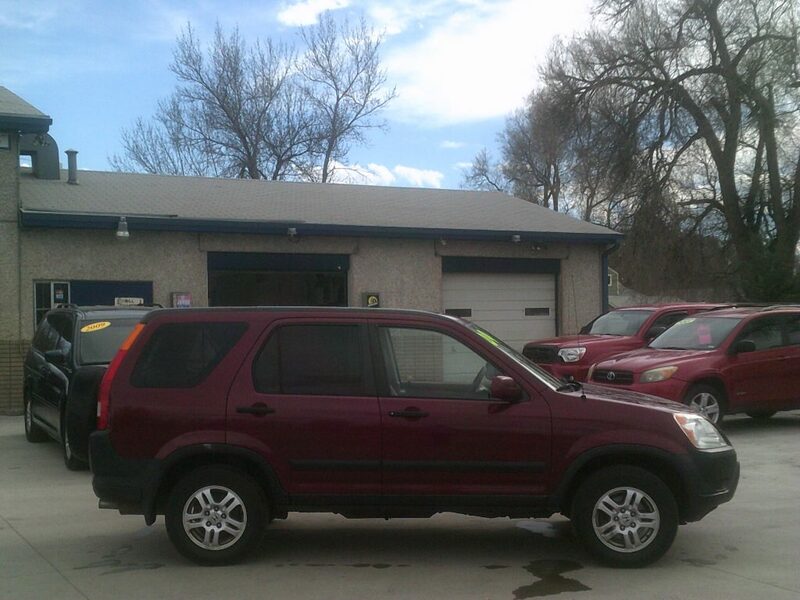 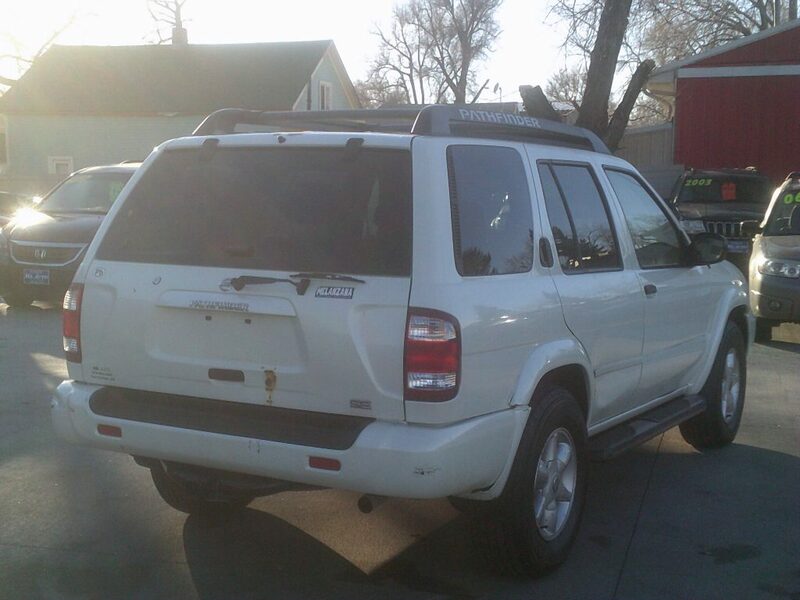 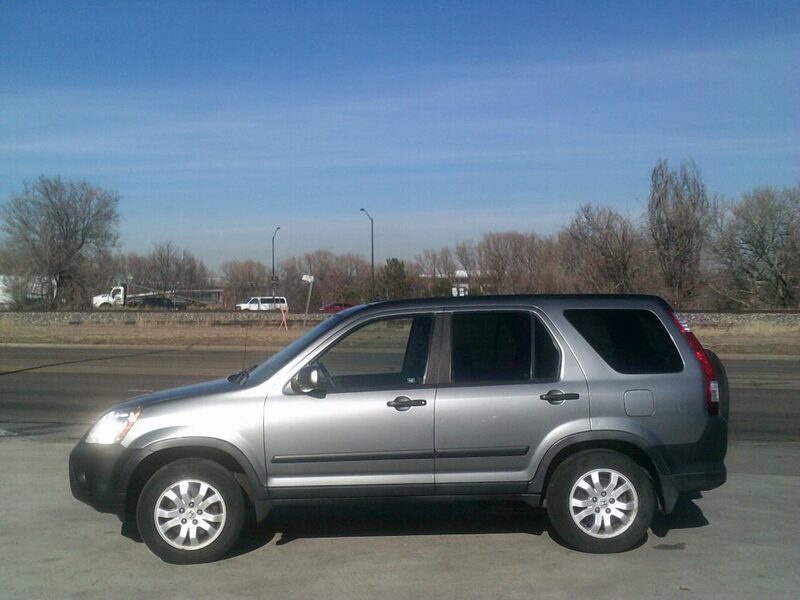 This 4 wheel drive Pathfinder is an excellent vehicle for all of your Colorado winter driving needs. 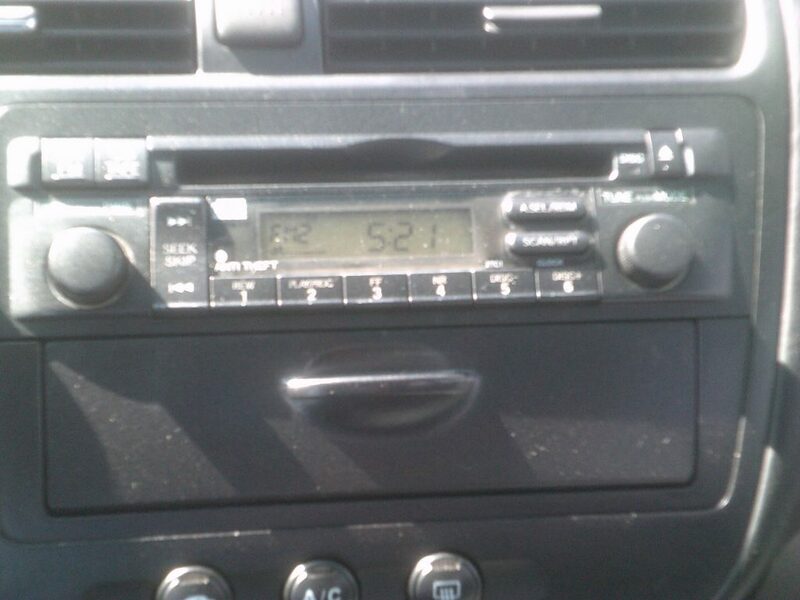 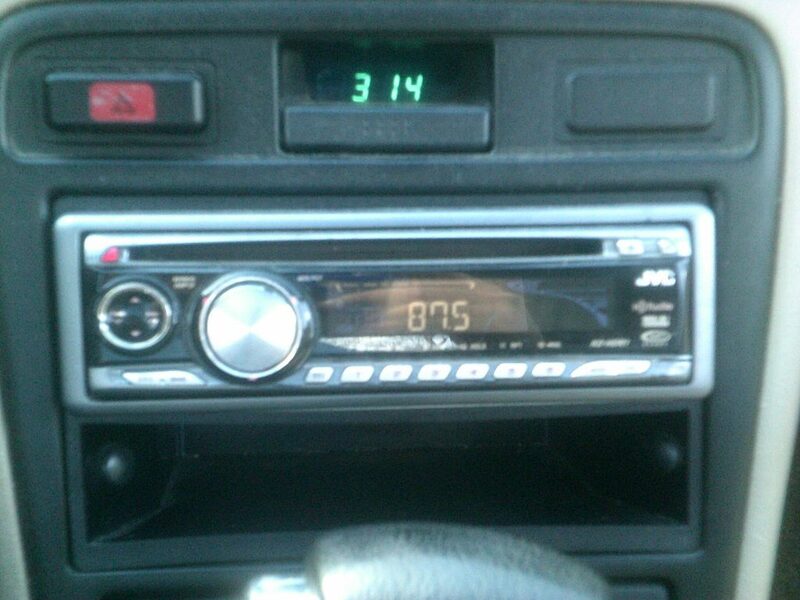 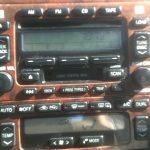 154K, Automatic, AC, CD Player. 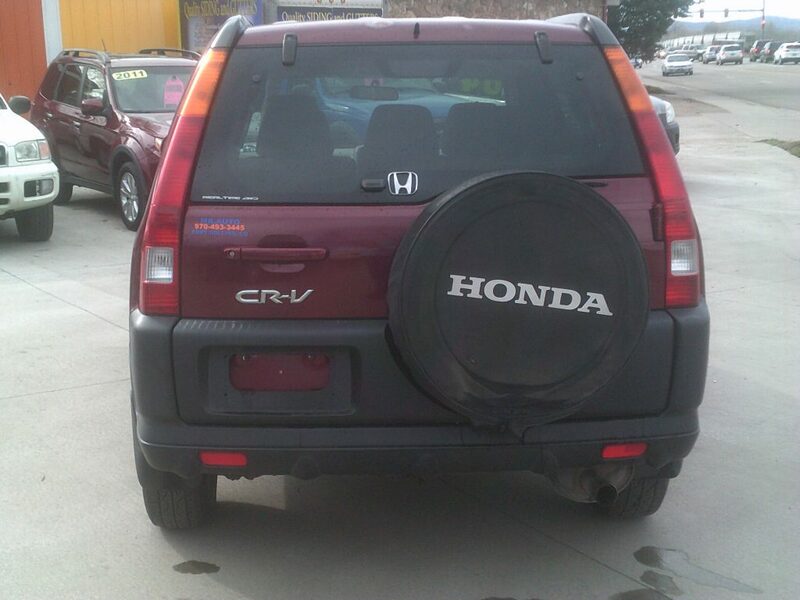 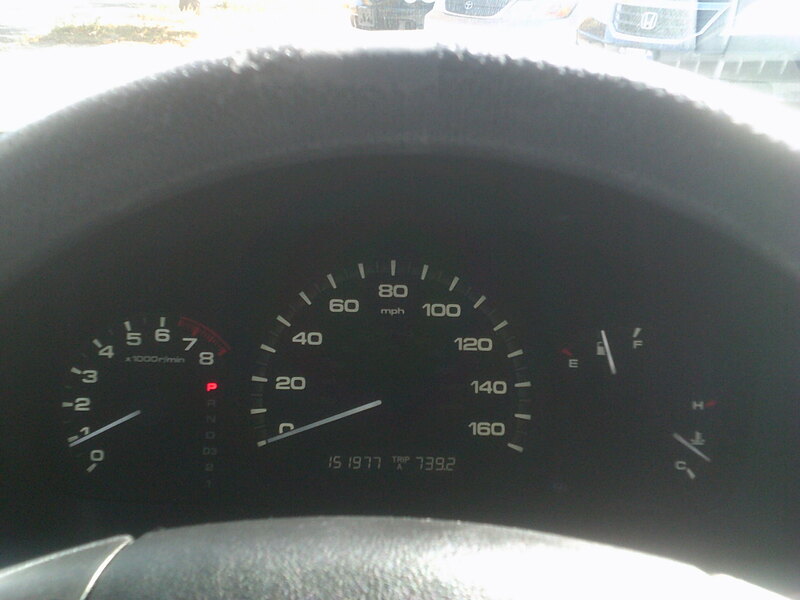 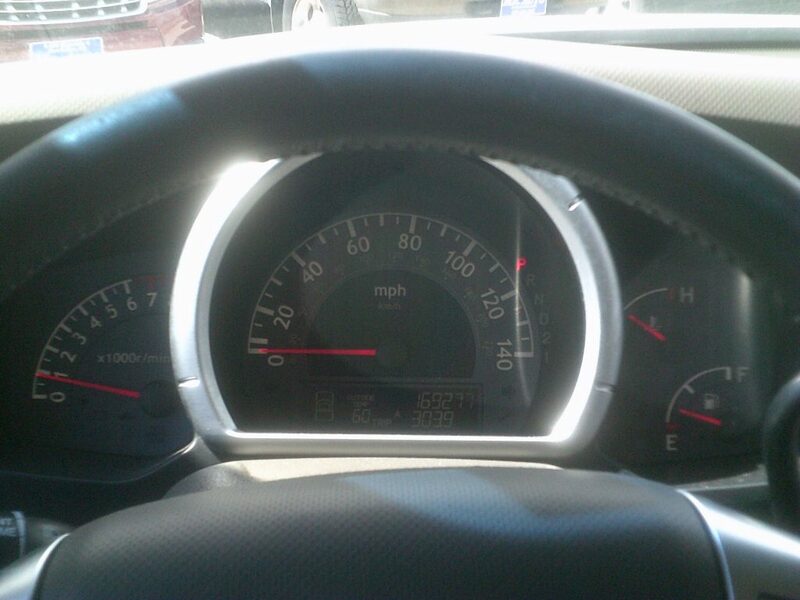 This all wheel drive CRV gets 20 miles per gallon in the city and 25 mpg on the highway. 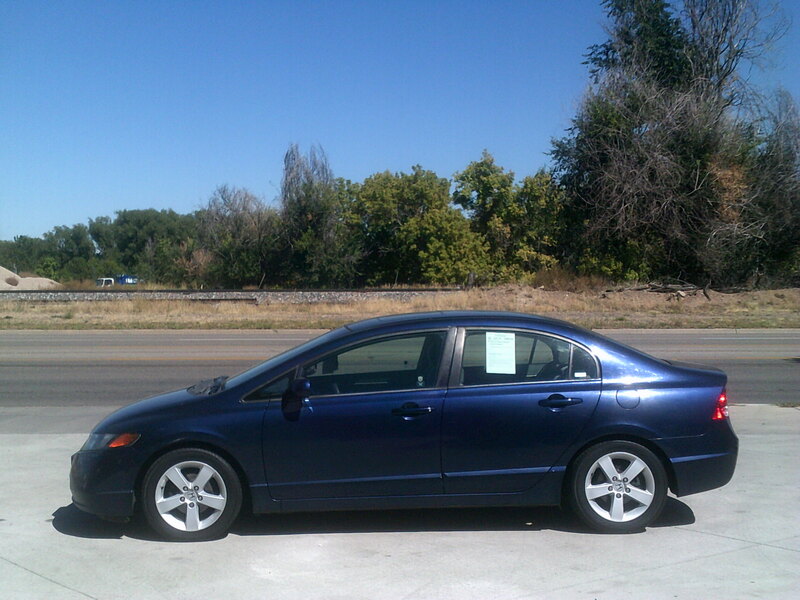 176K, Automatic, AC, CD Player, Sunroof. 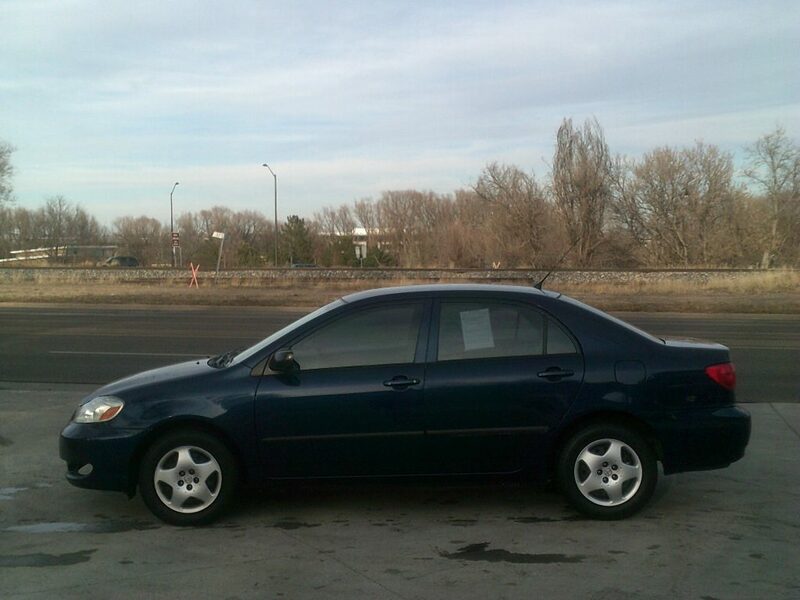 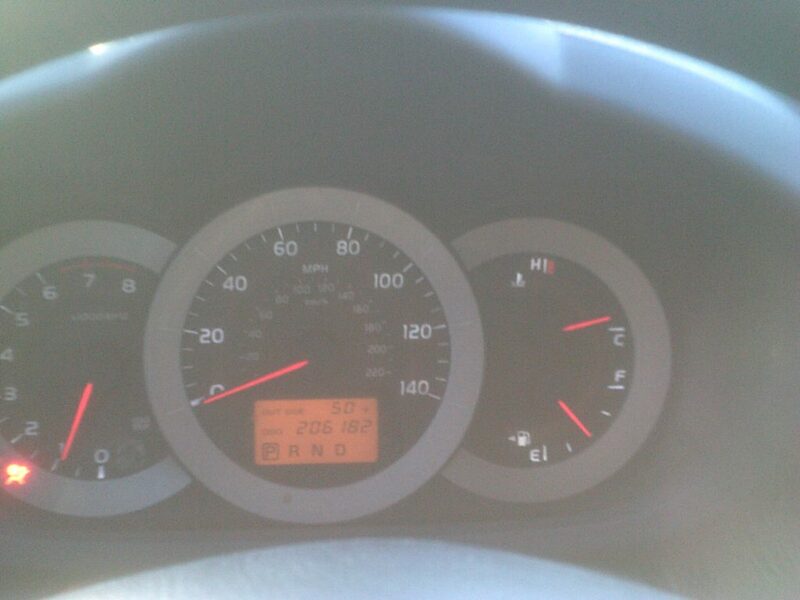 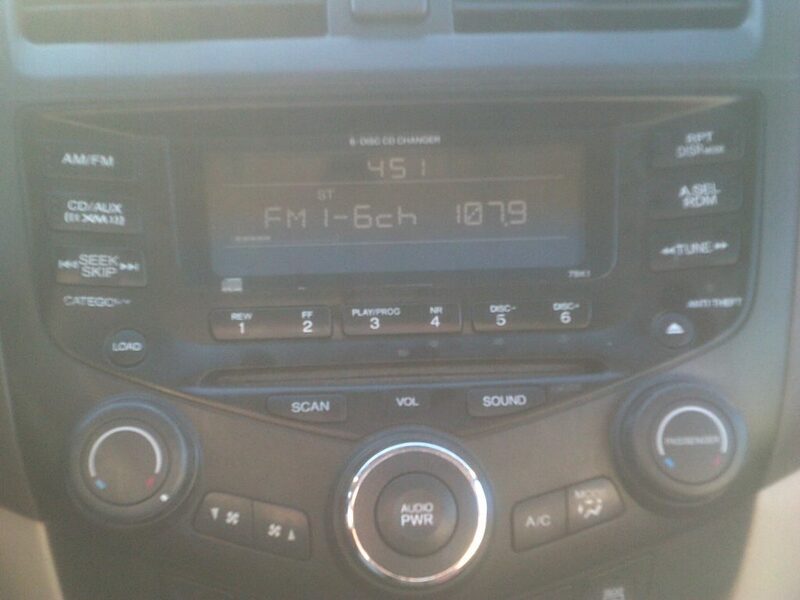 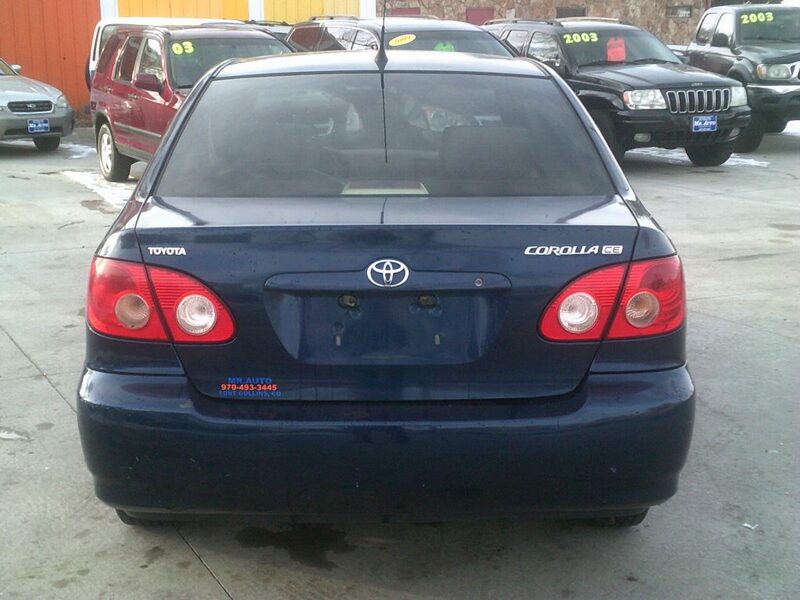 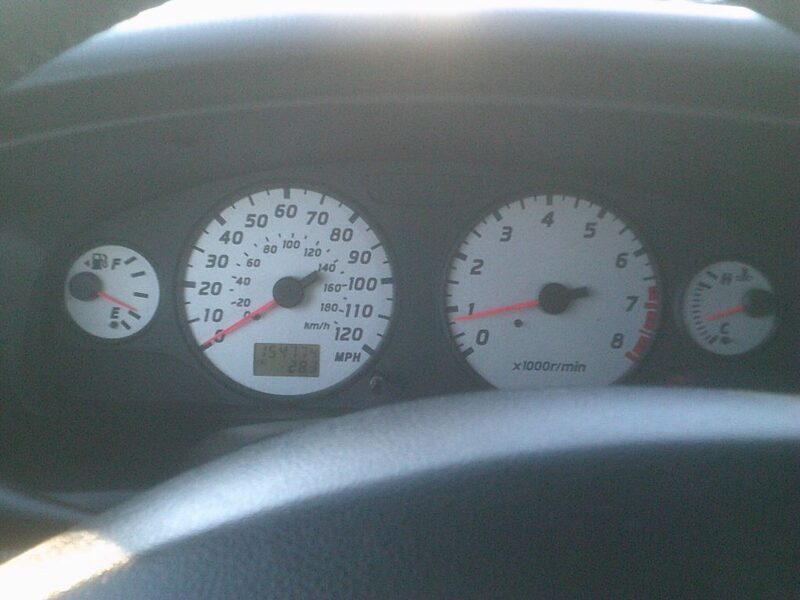 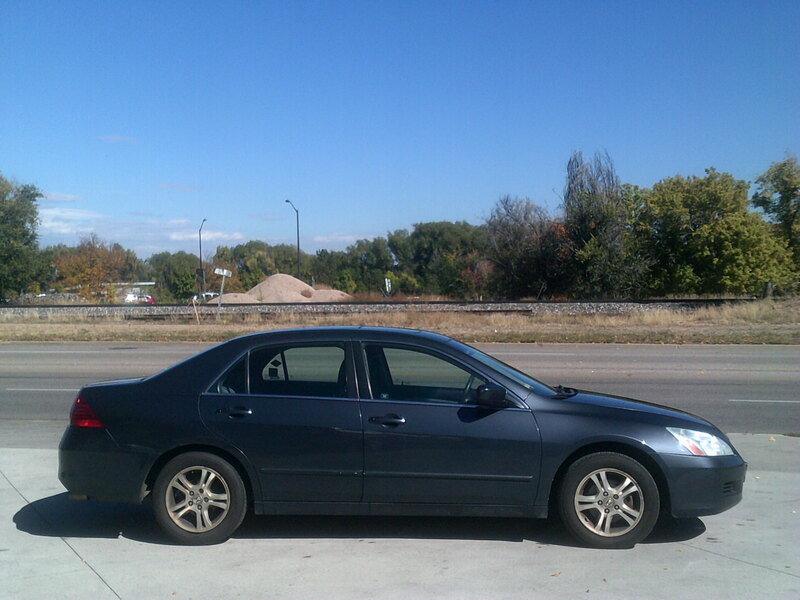 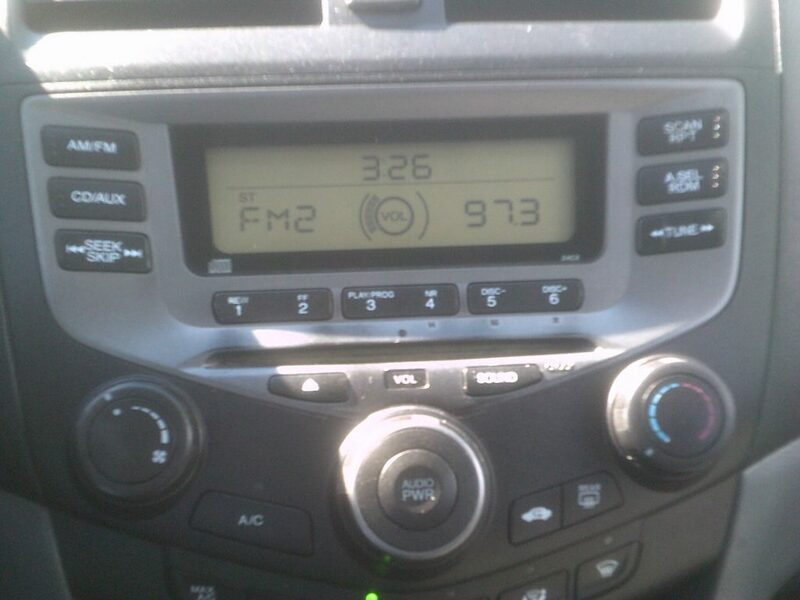 This Corolla gets 26 miles per gallon in the city and 35 mpg on the highway. 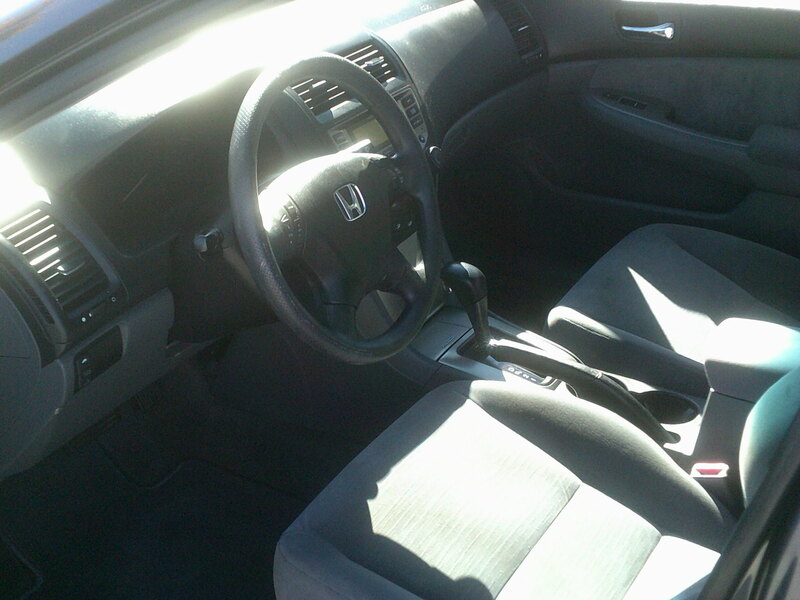 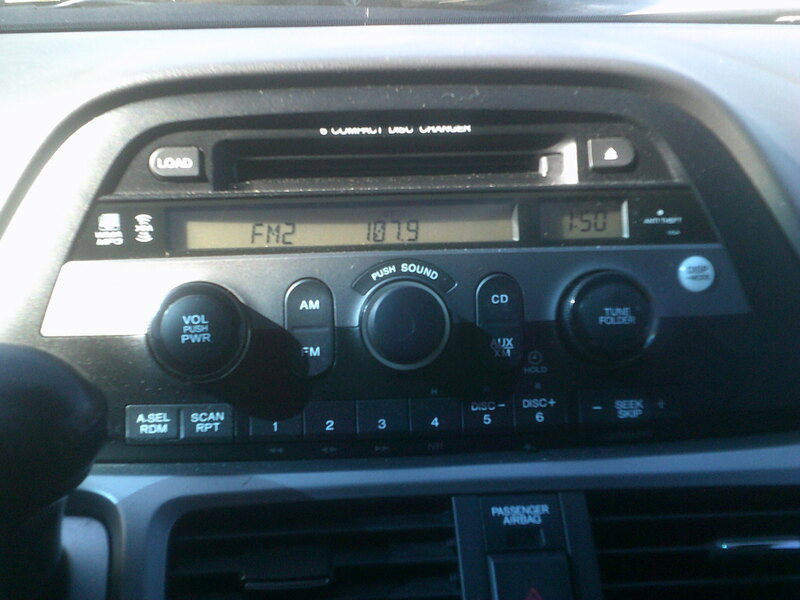 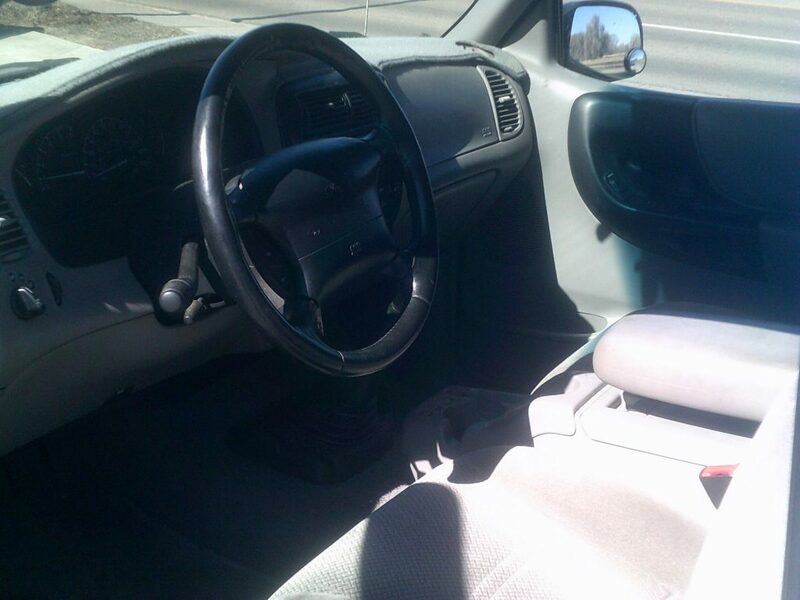 129K, Automatic, AC, CD Player. 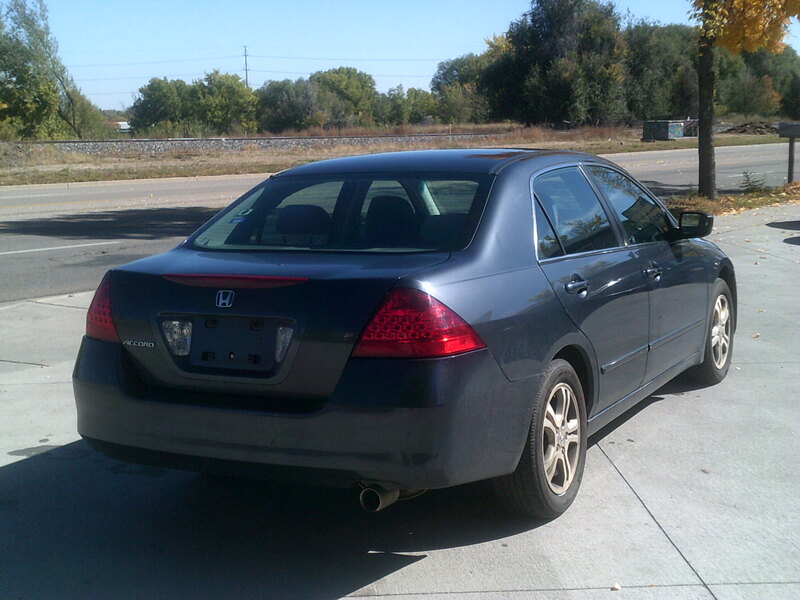 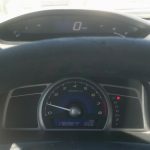 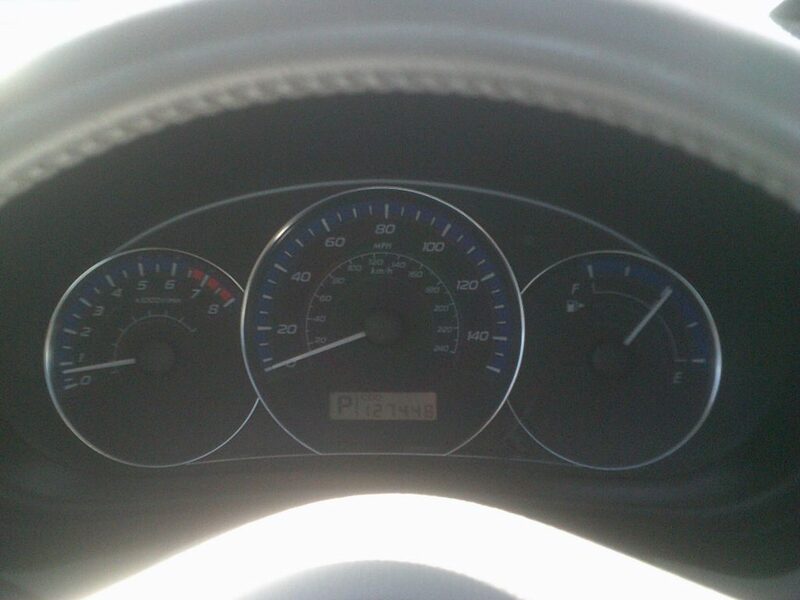 This Accord gets 21 miles per gallon in the city and 31 mpg on the highway. 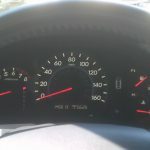 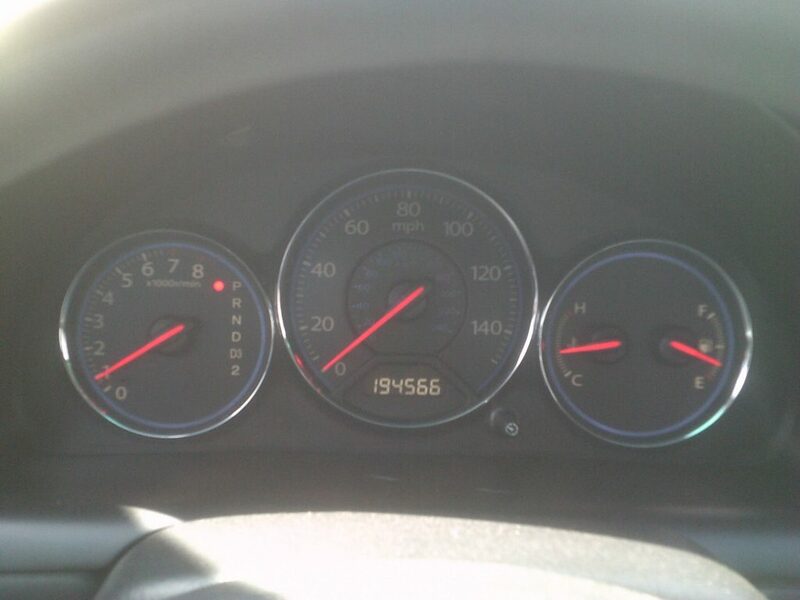 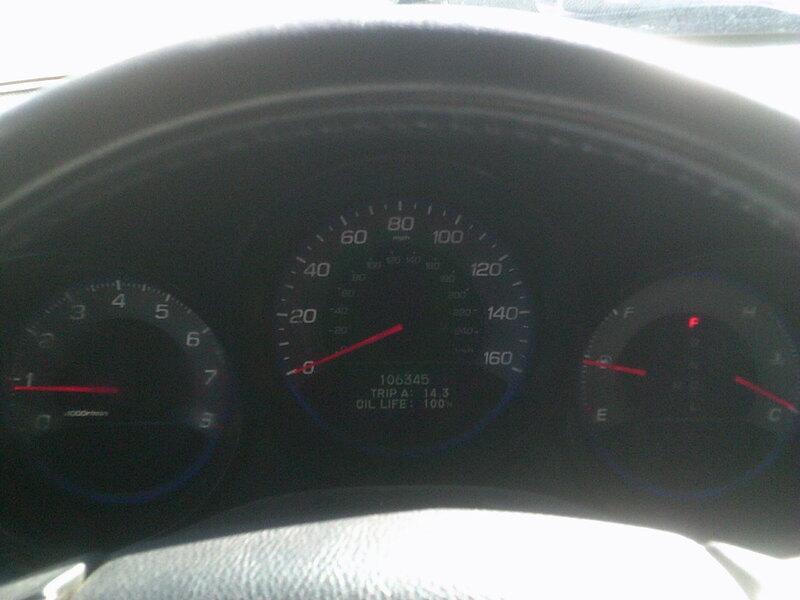 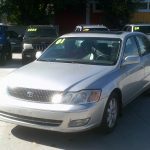 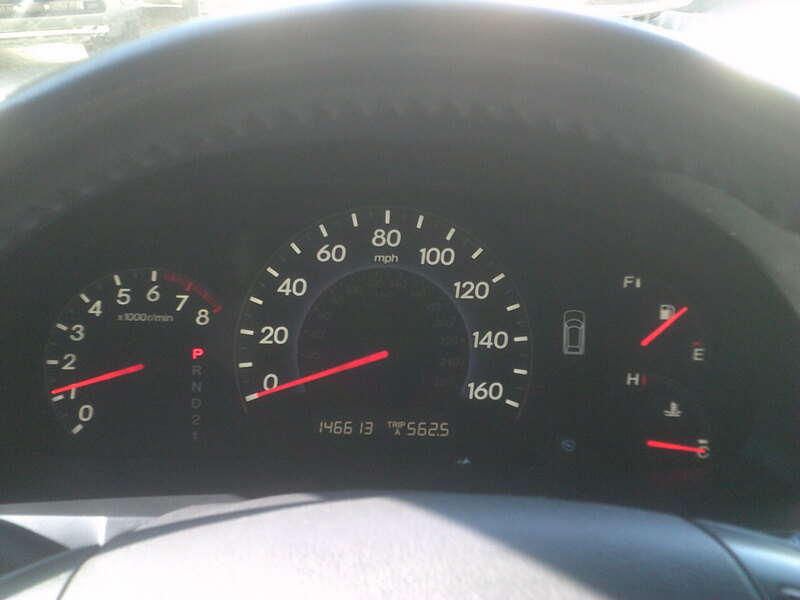 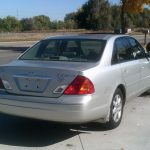 151K, Automatic, AC, Sunroof, CD Changer. 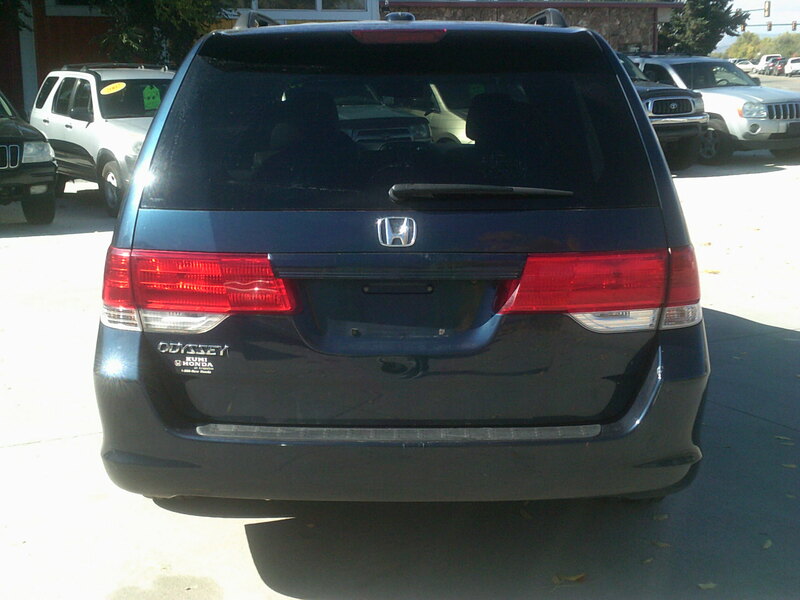 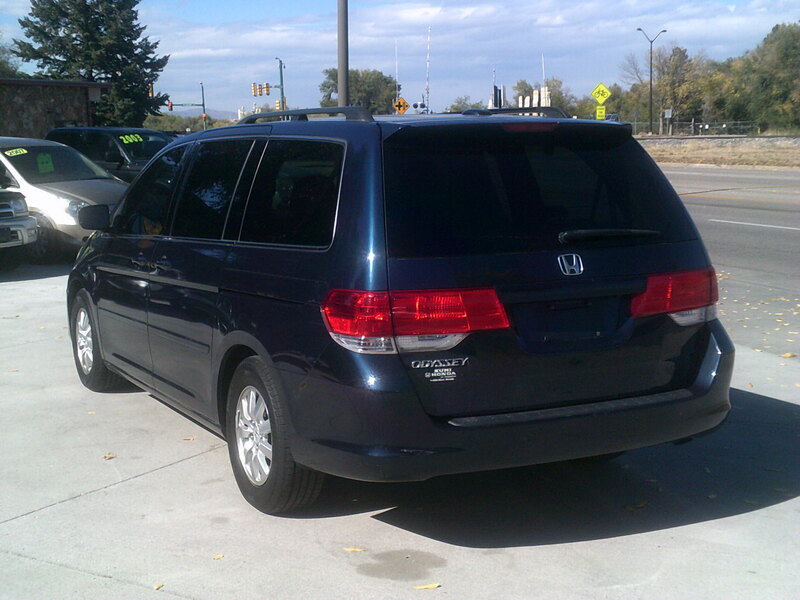 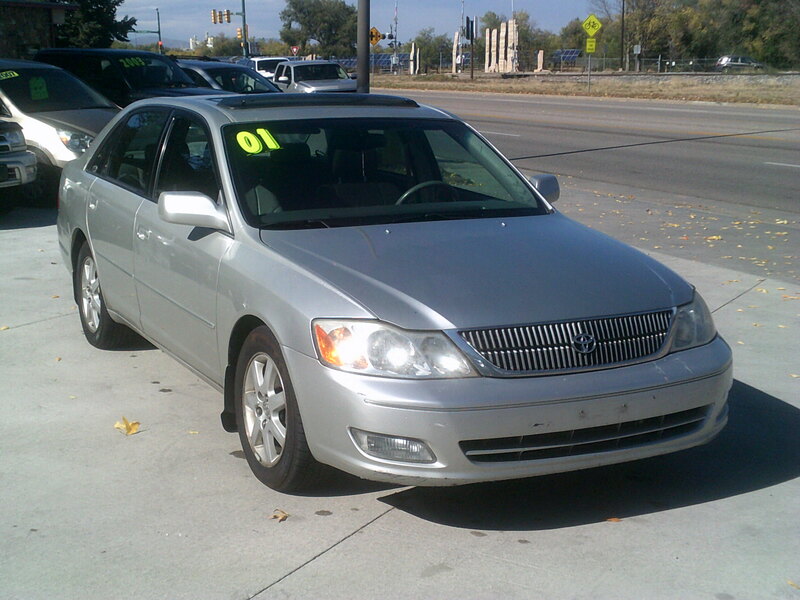 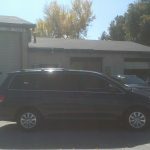 This Odyssey has a really nice and clean leather interior. 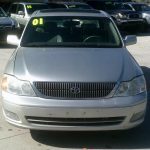 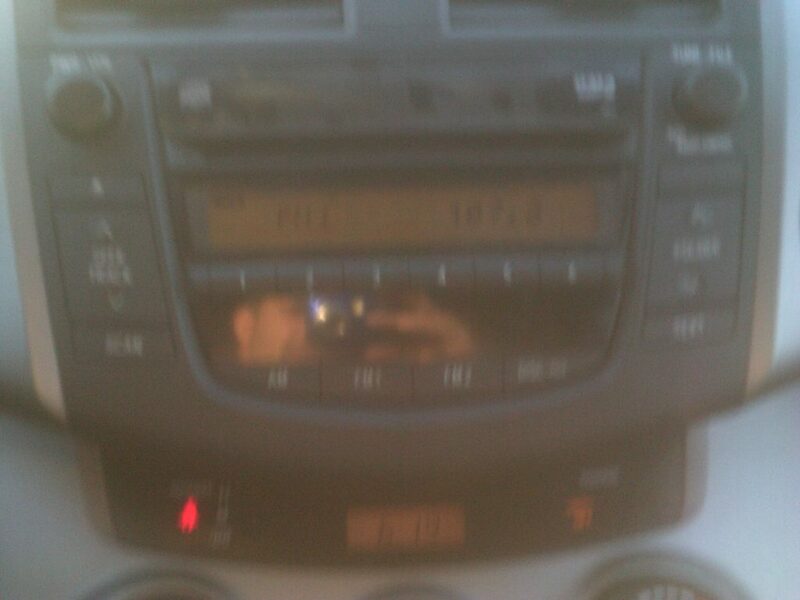 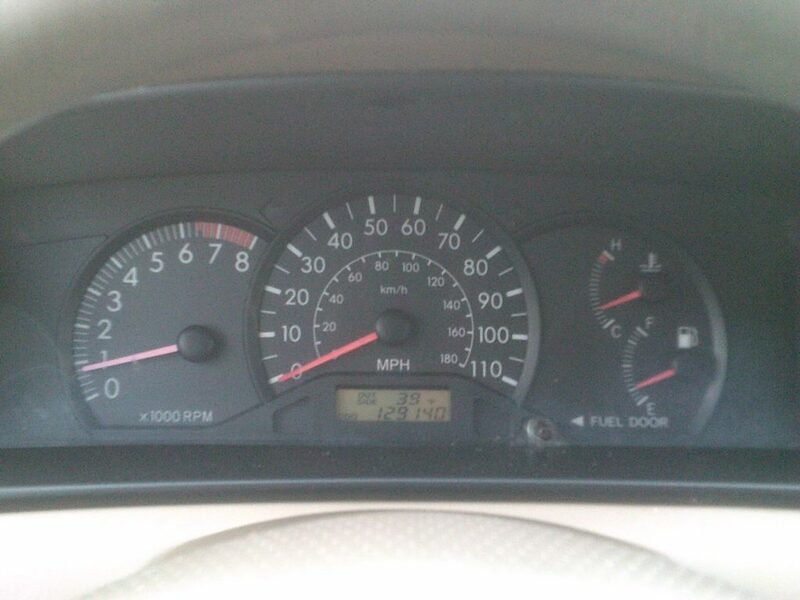 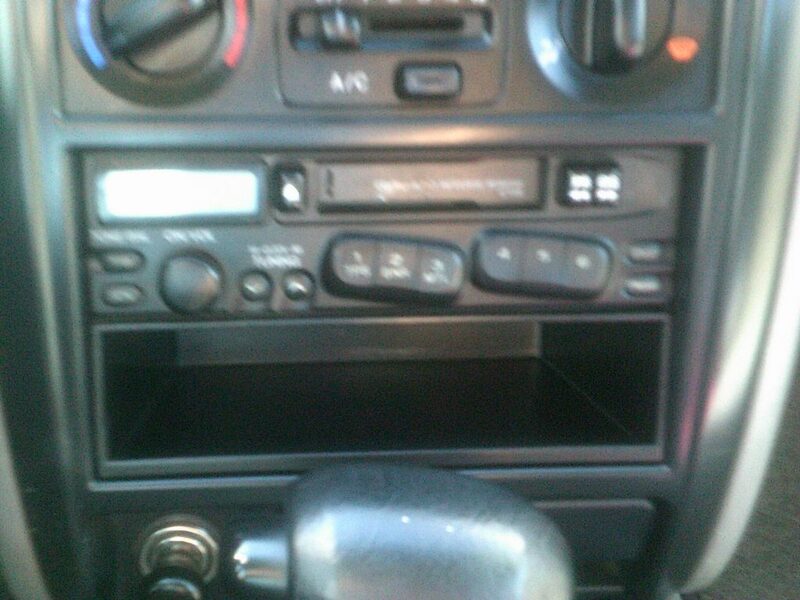 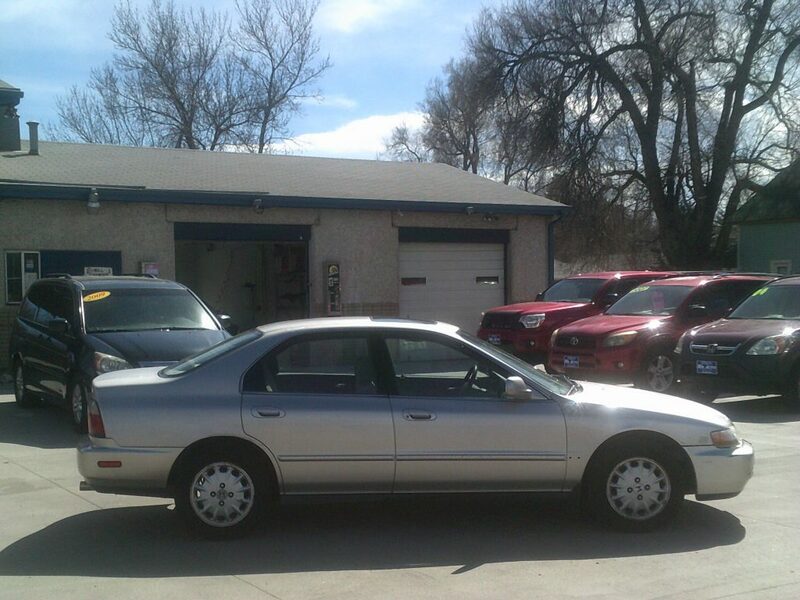 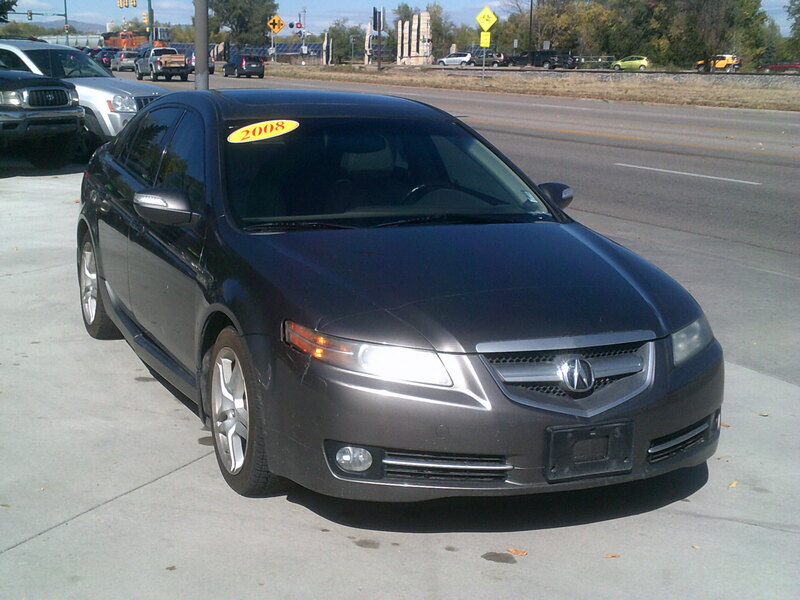 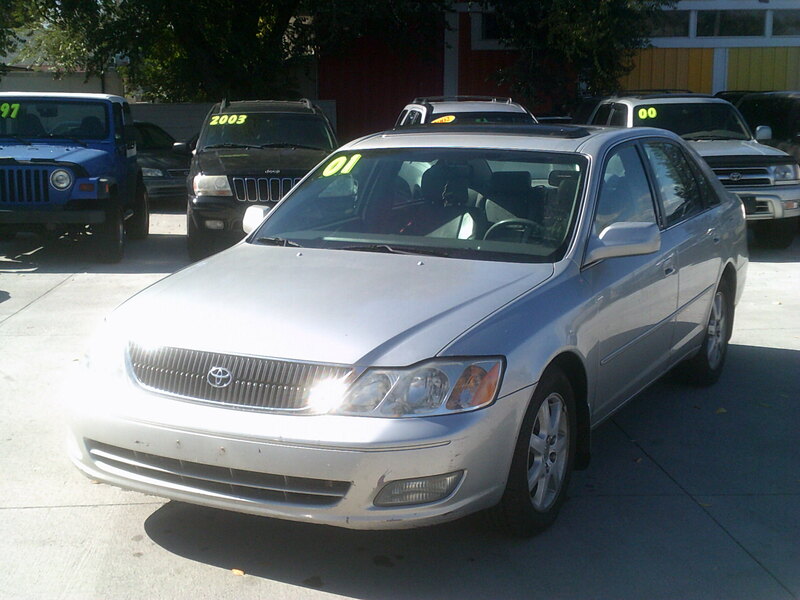 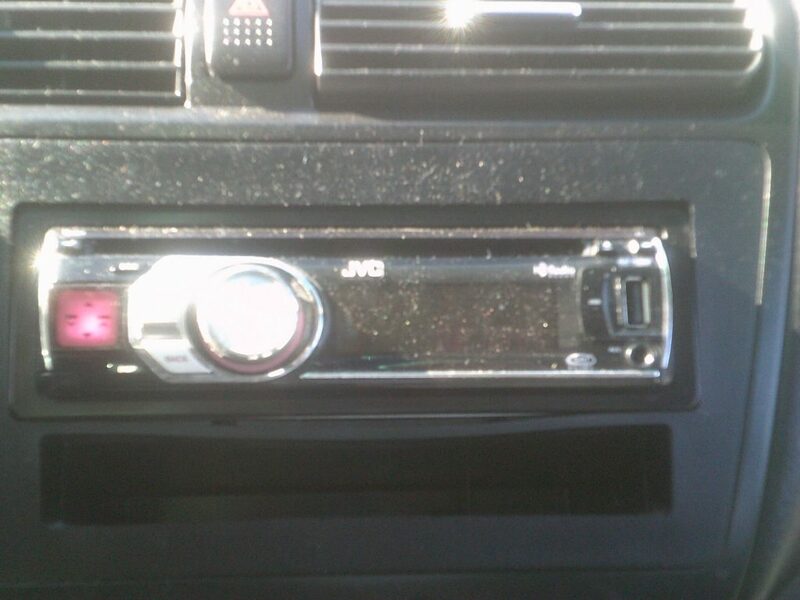 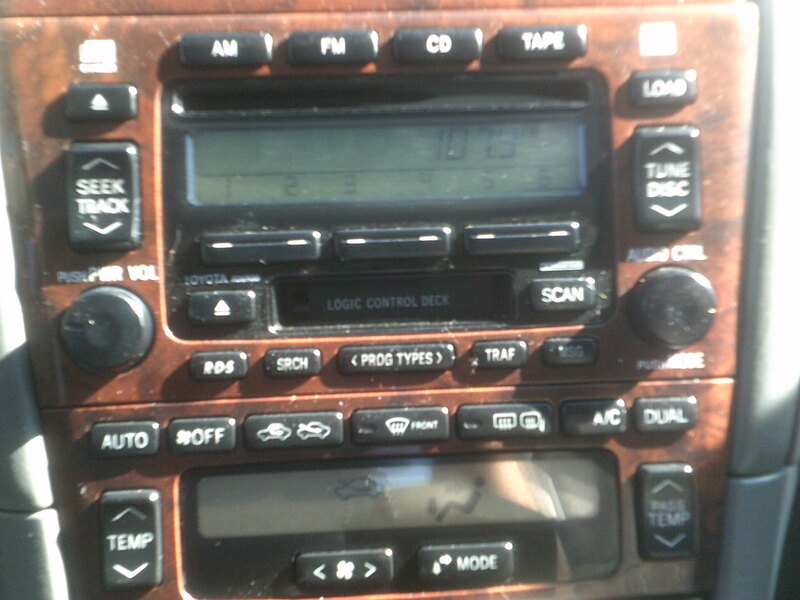 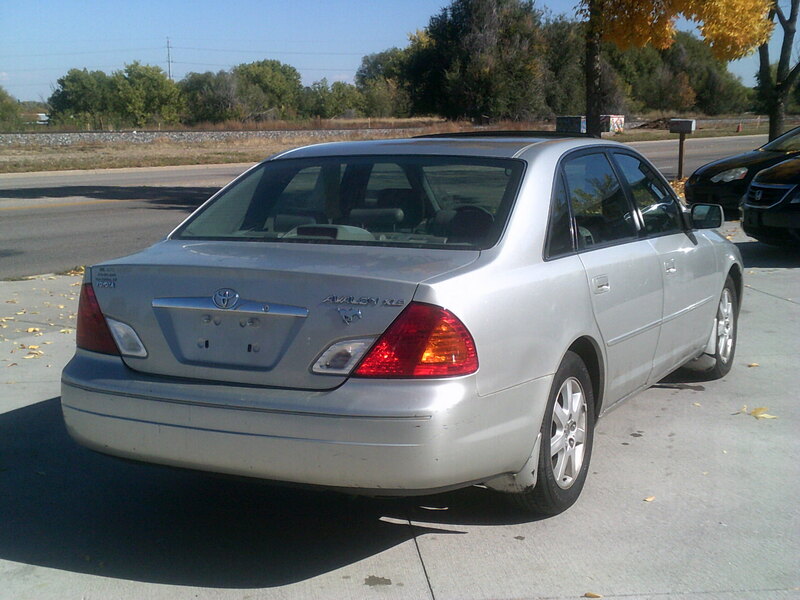 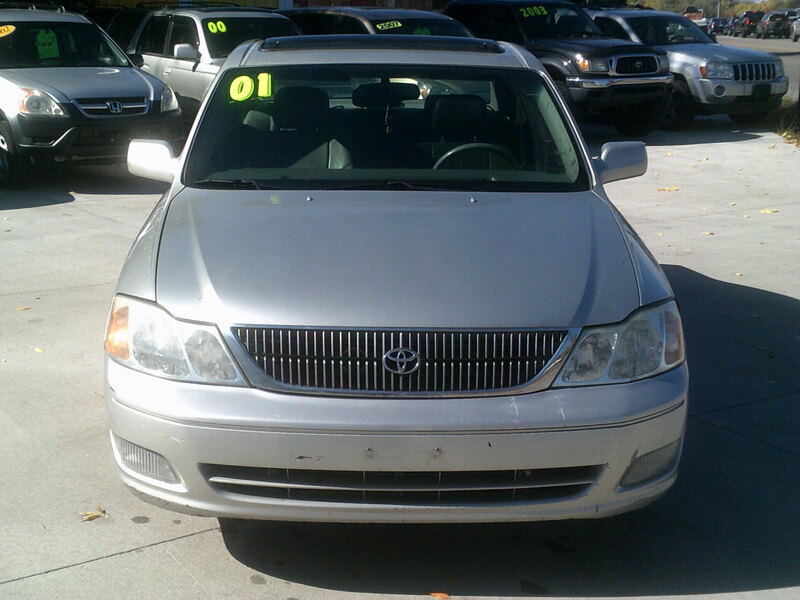 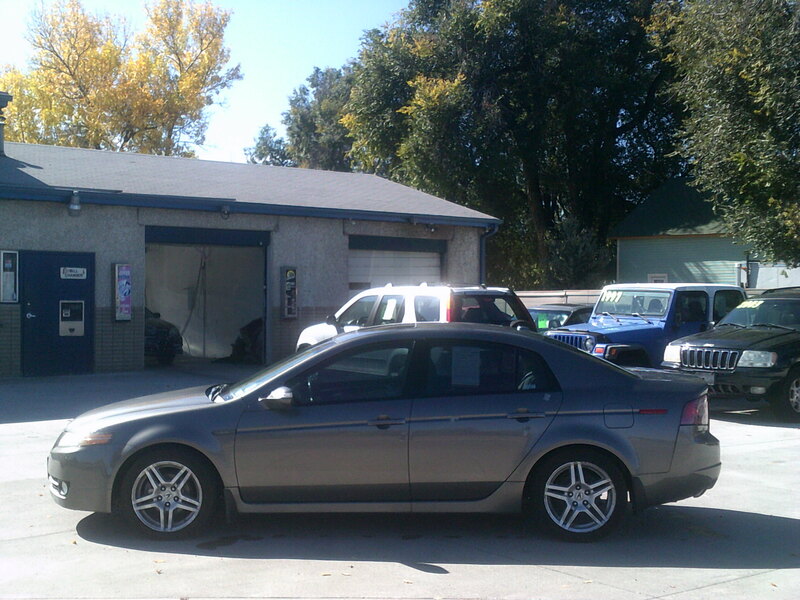 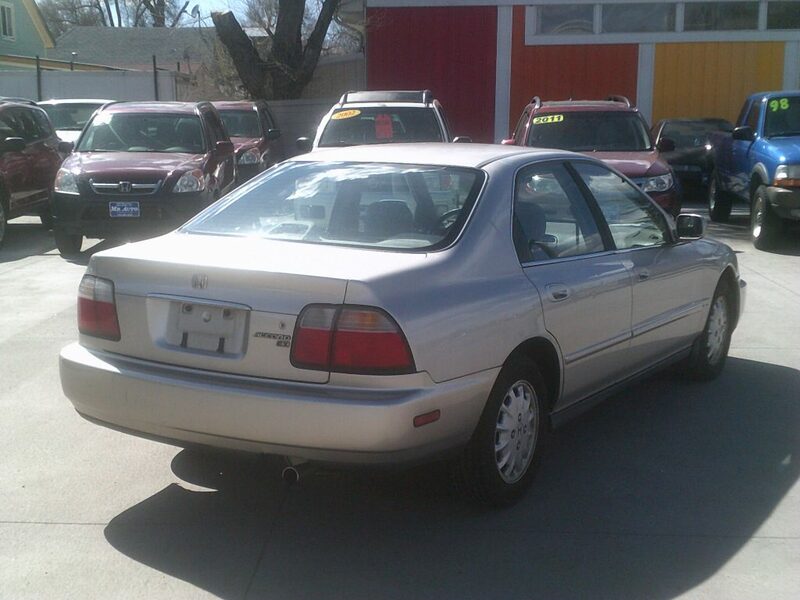 146K, Automatic, AC, Sunroof, Auxiliary Input, CD Changer. 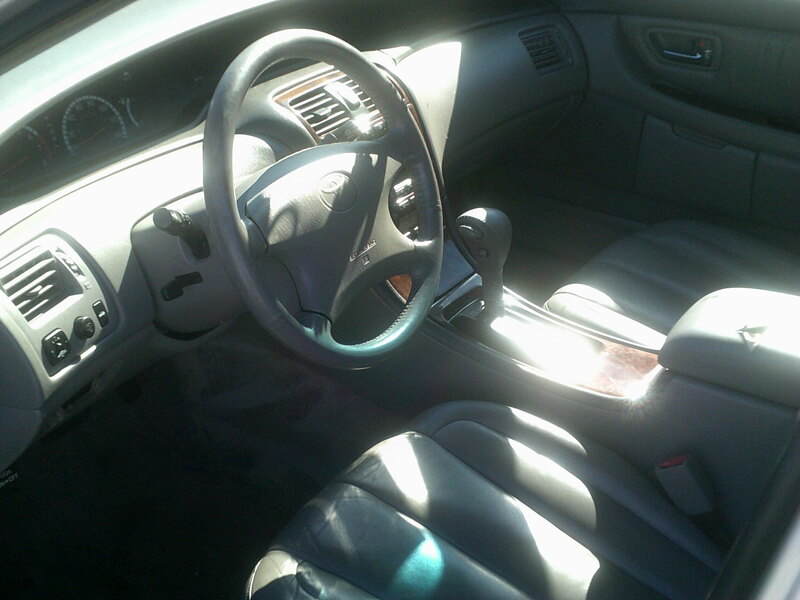 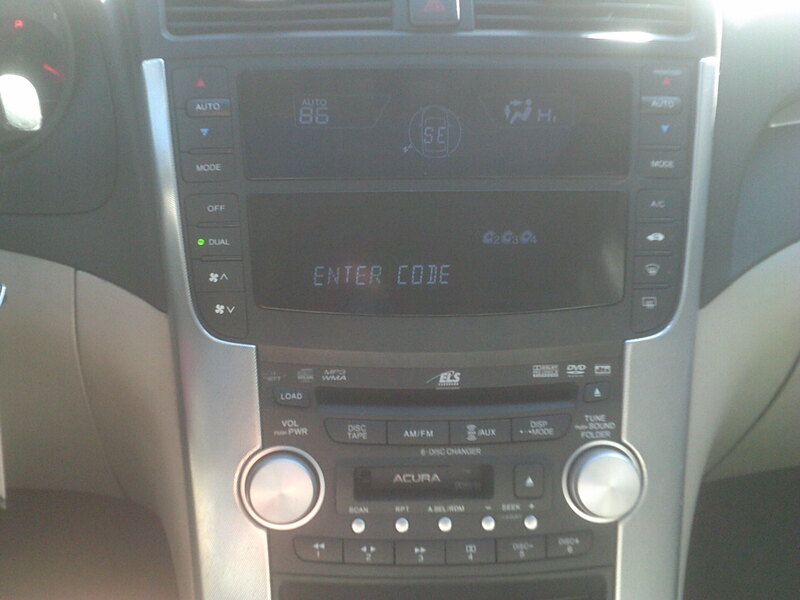 This Avalon has a nice leather interior. 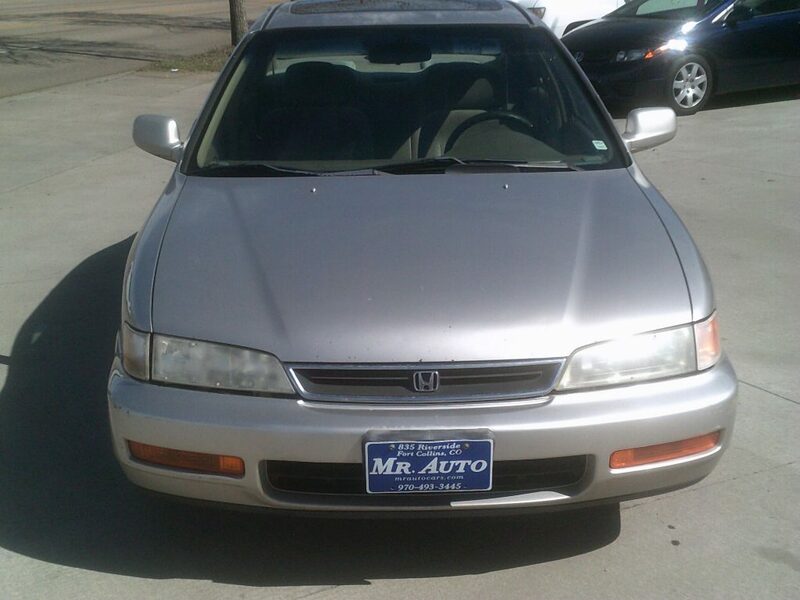 168K, Automatic, AC, Sunroof, CD Player. 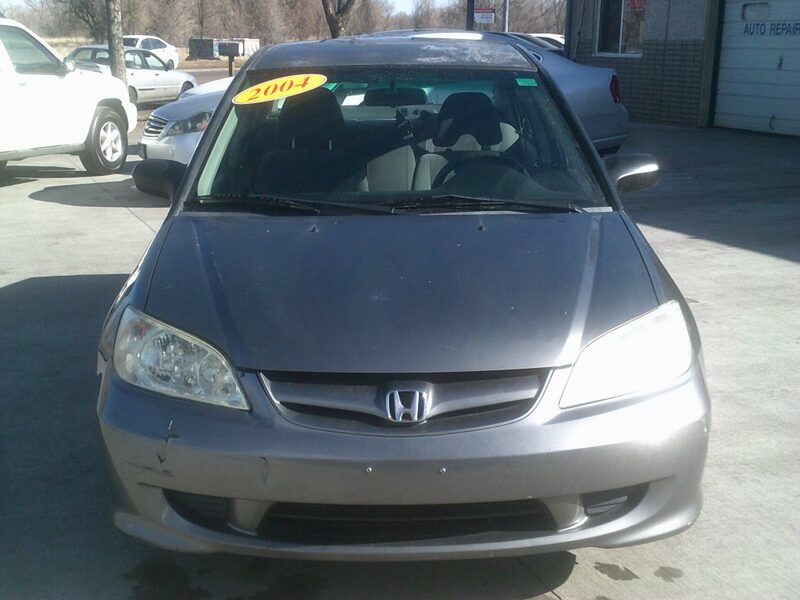 This Civic has a new windshield. 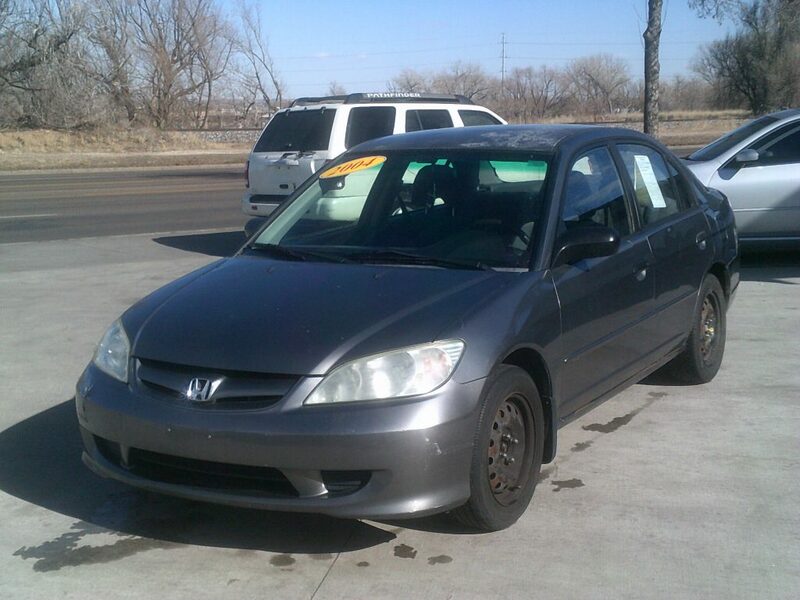 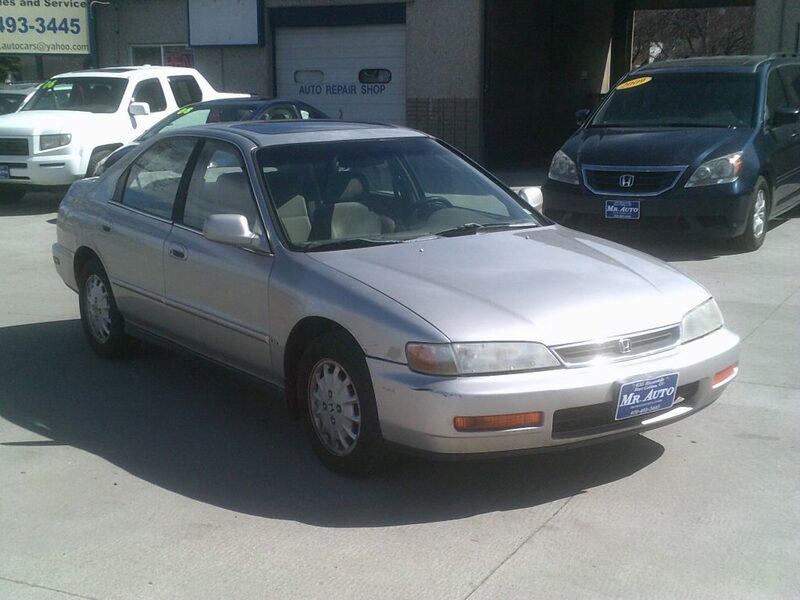 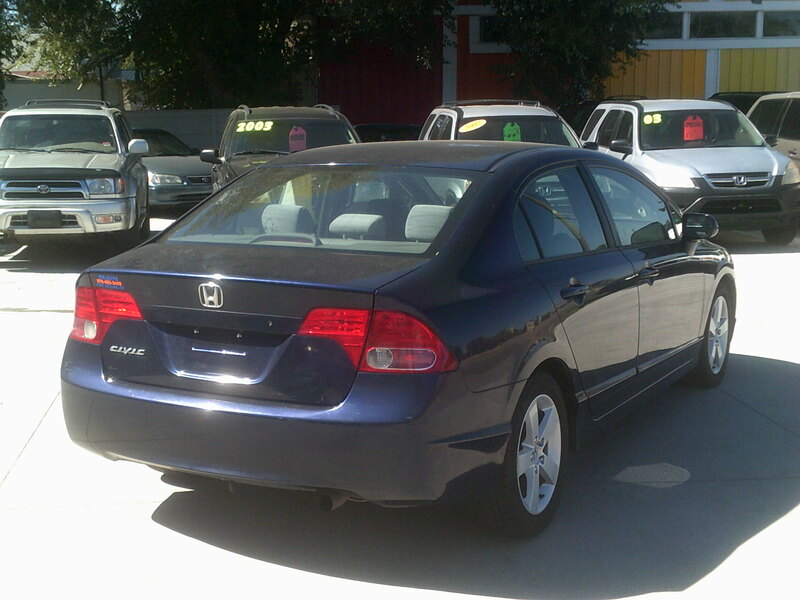 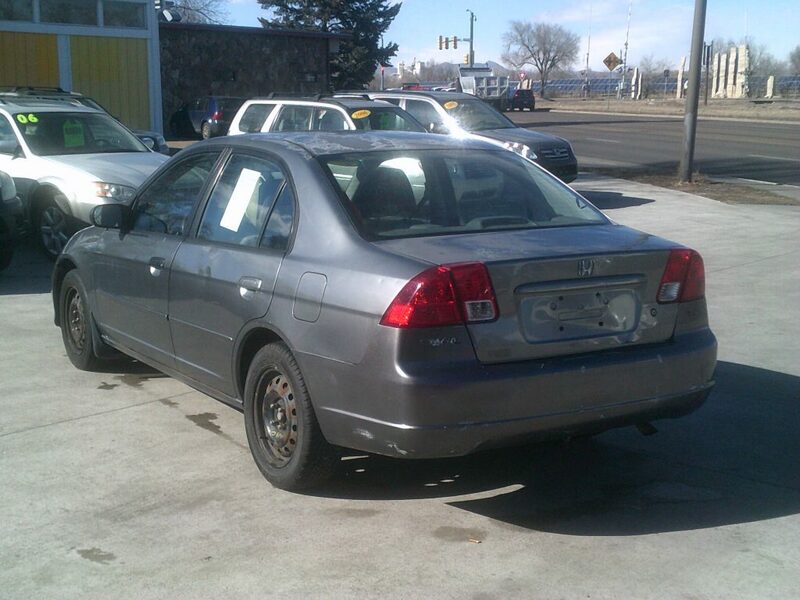 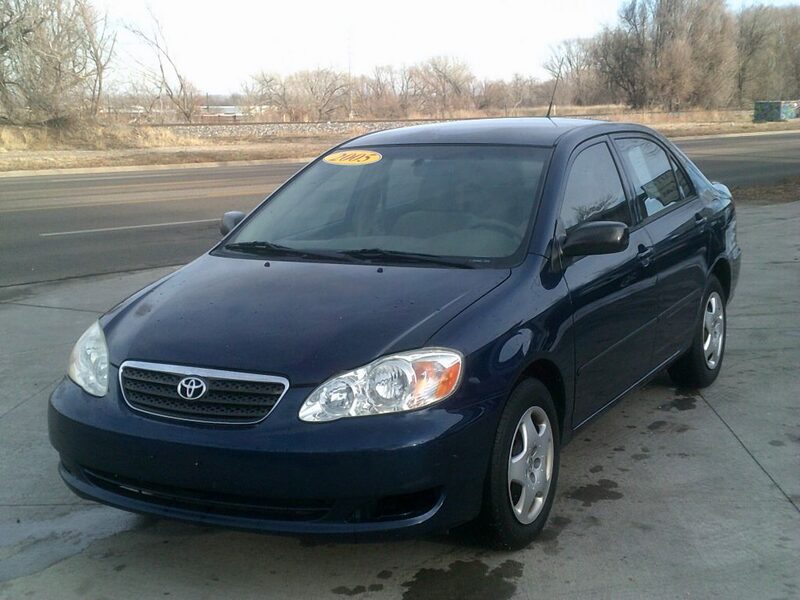 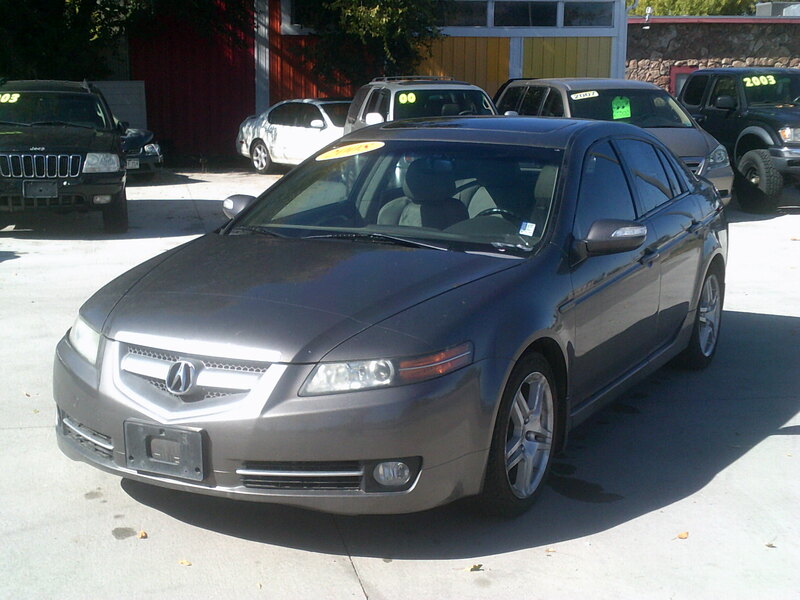 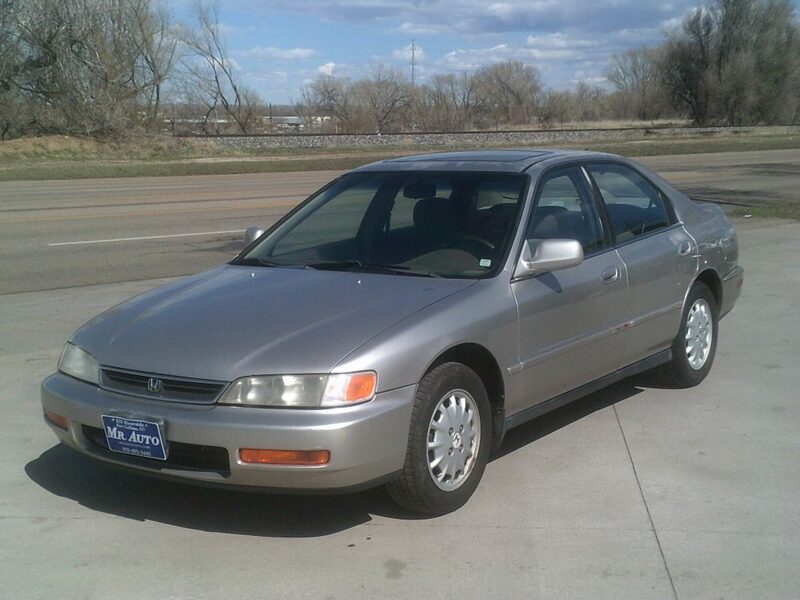 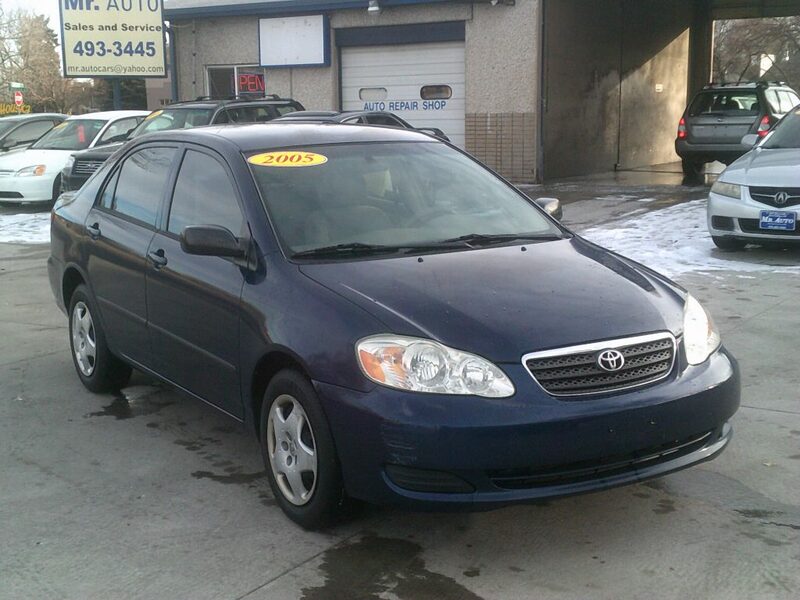 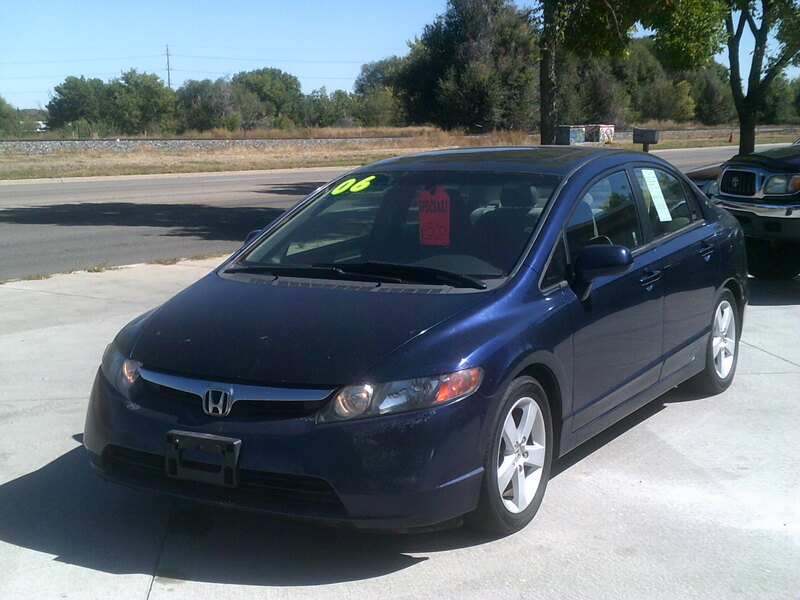 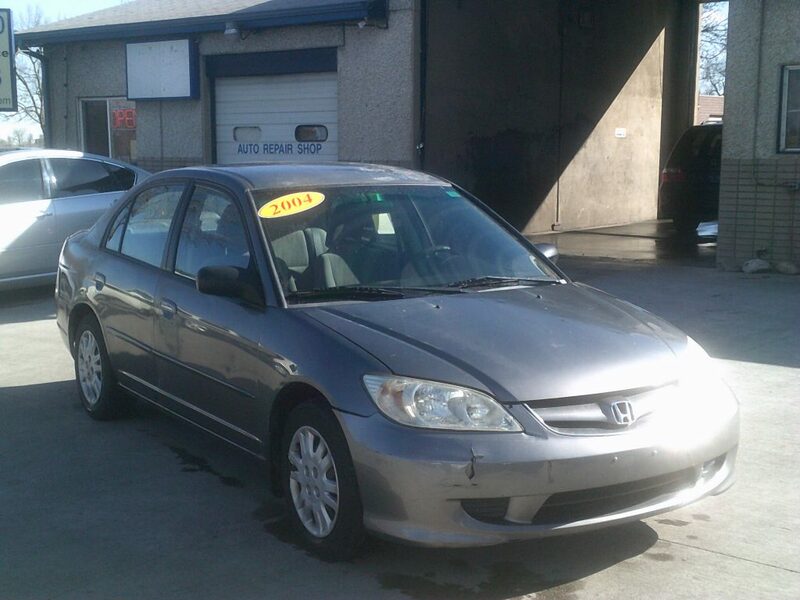 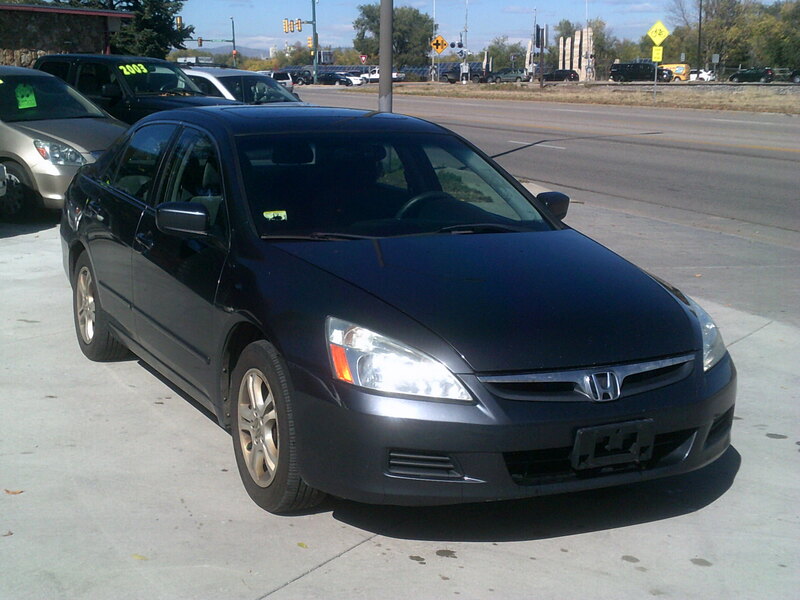 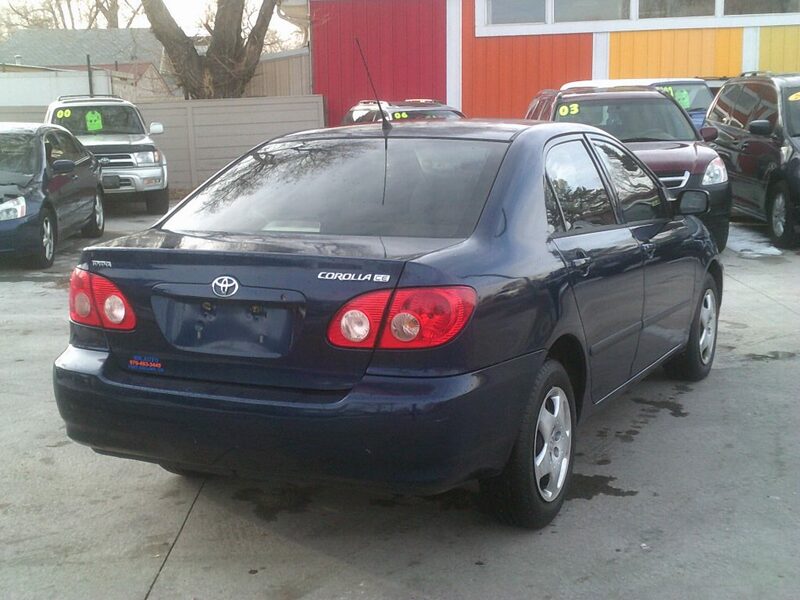 178K, Automatic, AC, Sunroof, Auxiliary Input, CD Player.